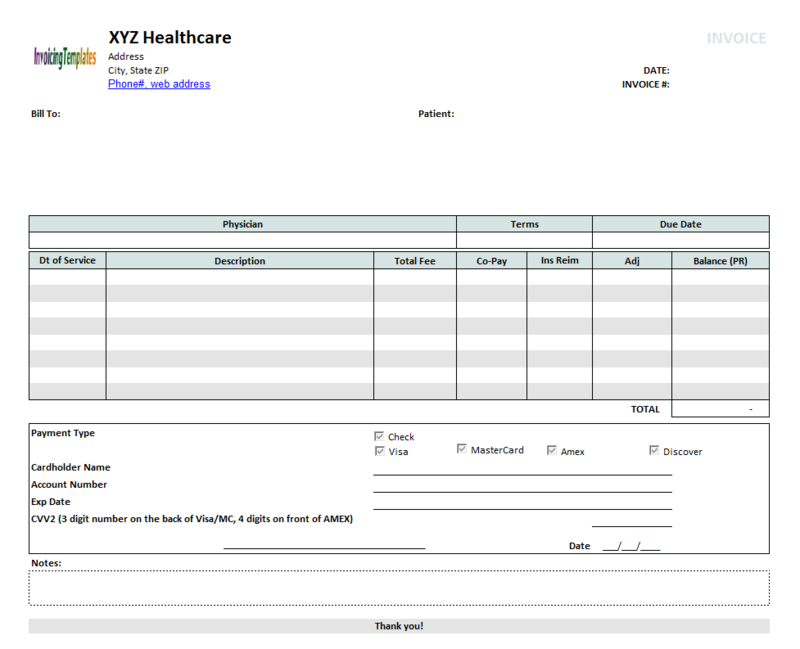 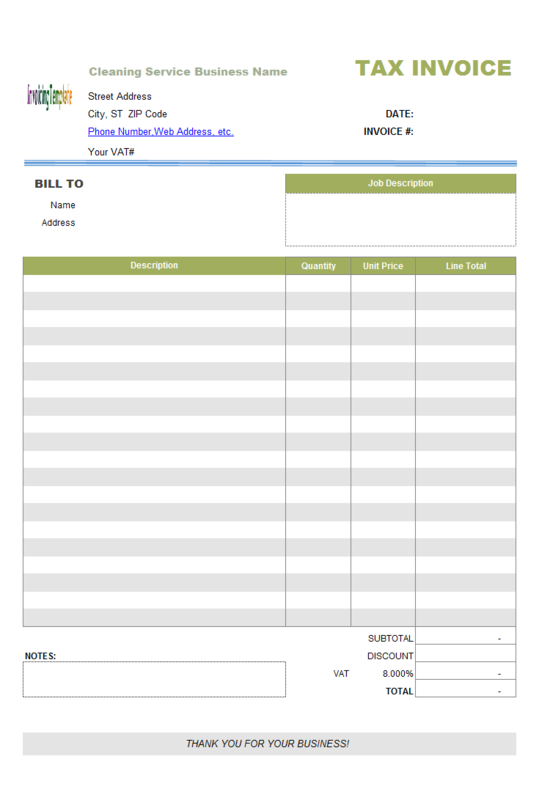 Free Billing formats for service rendered / work done in MS Excel (".xls" and ".xlsx") and PDF format, including bill forms for hours and rate, project, freelancer, contractor etc. 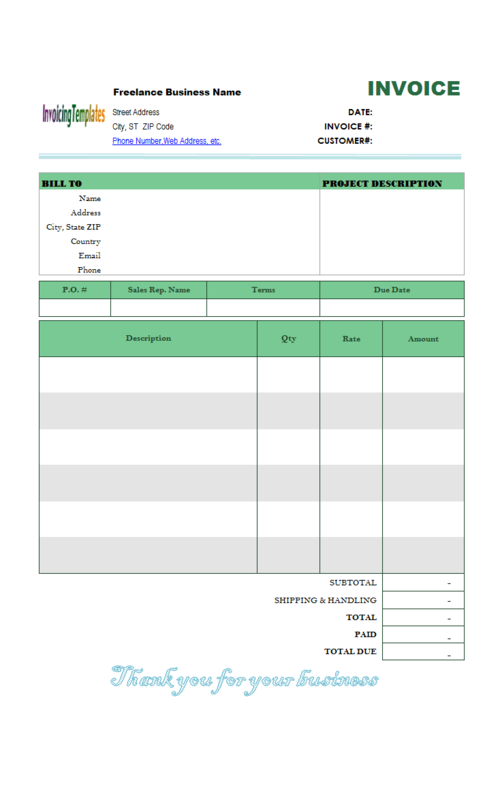 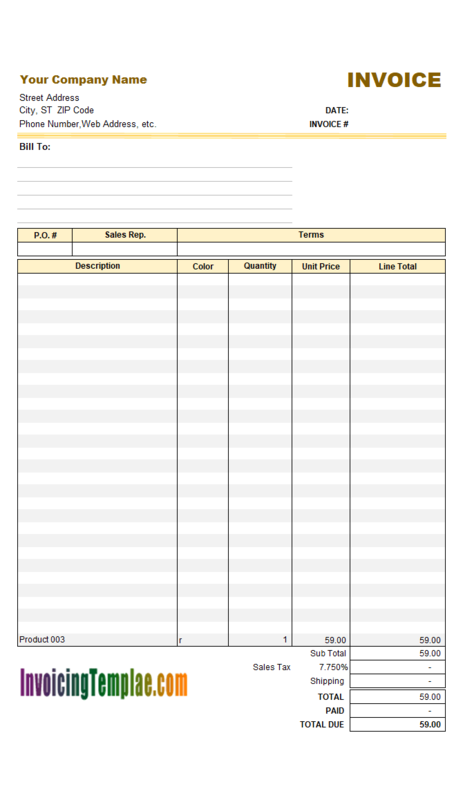 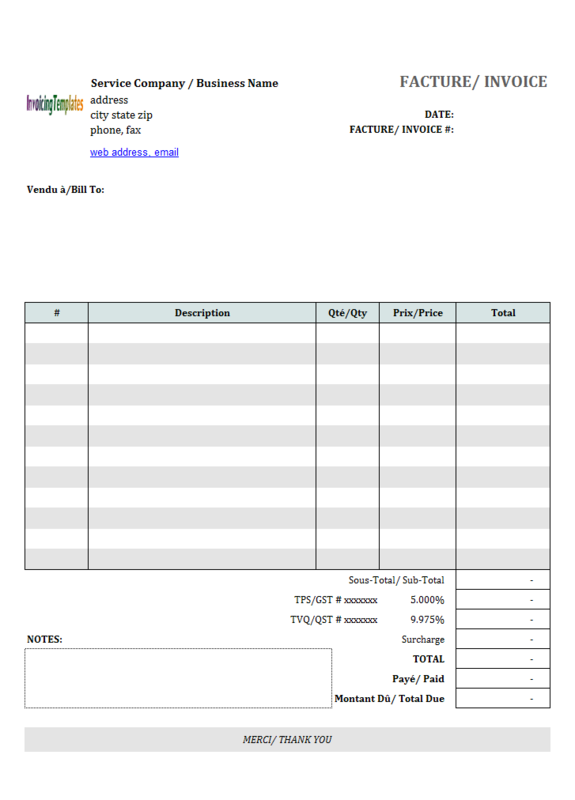 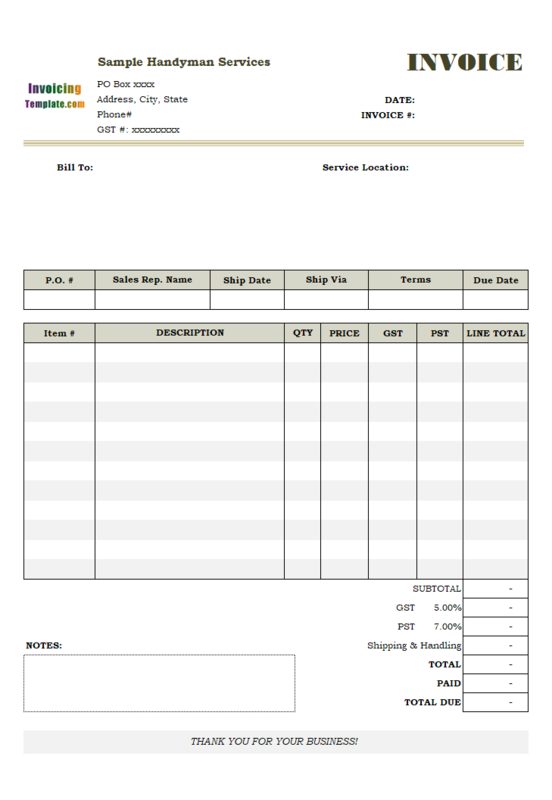 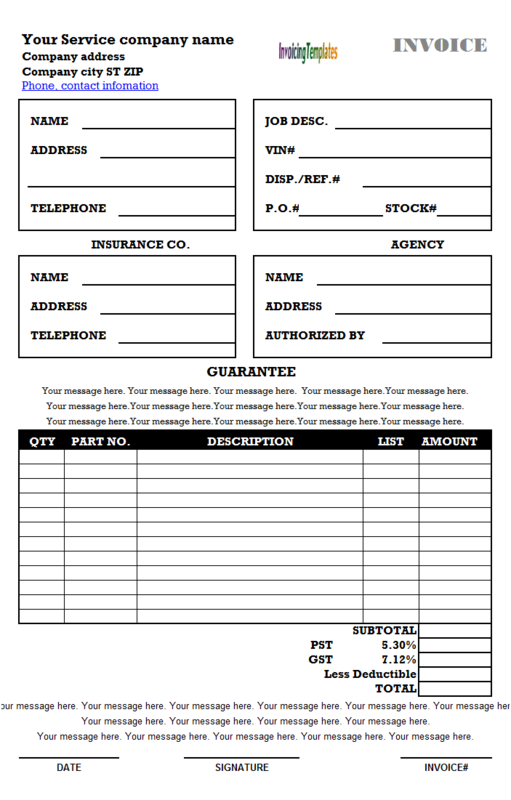 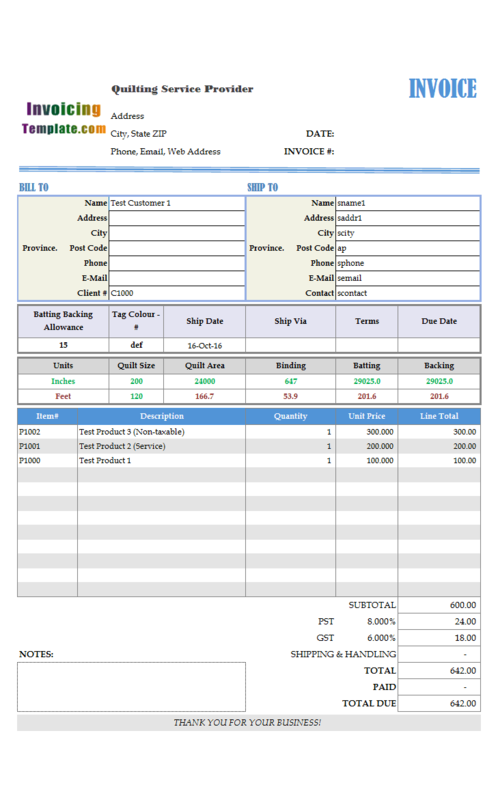 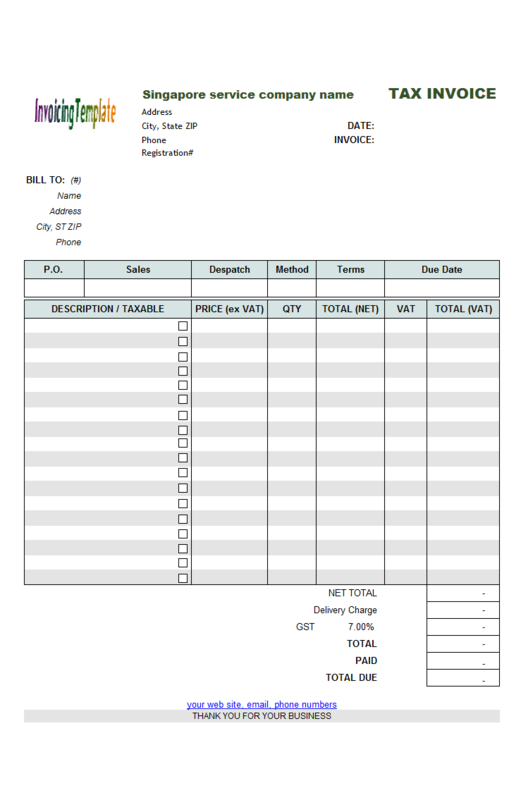 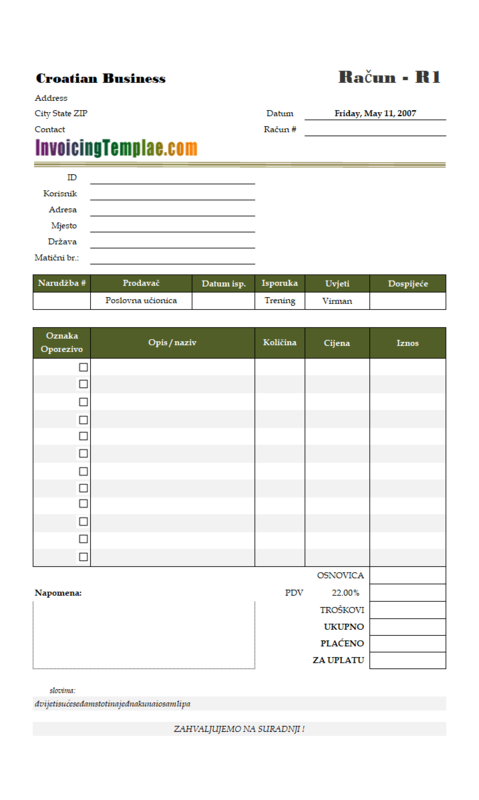 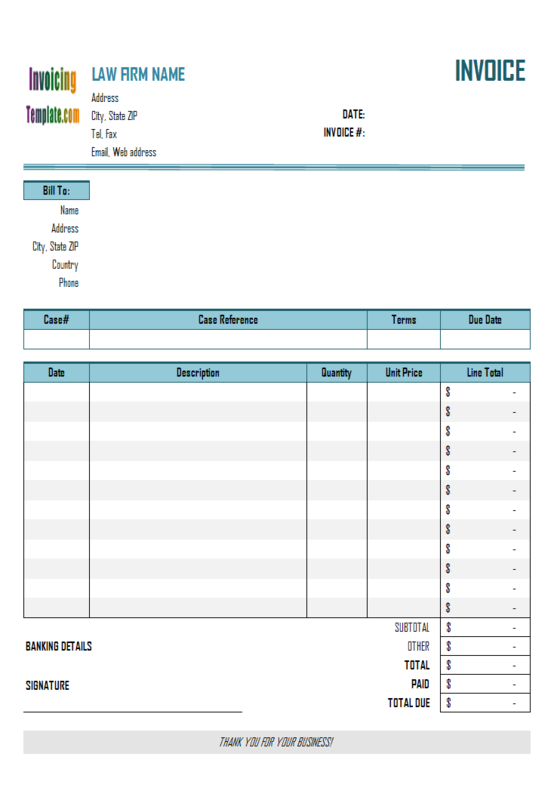 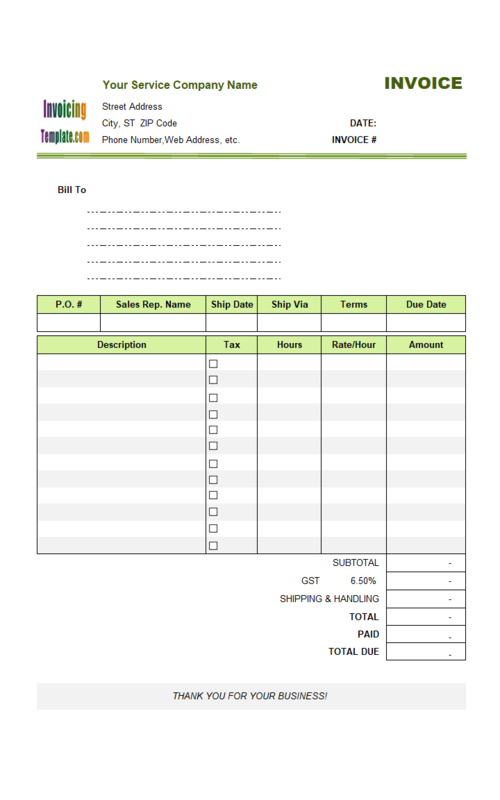 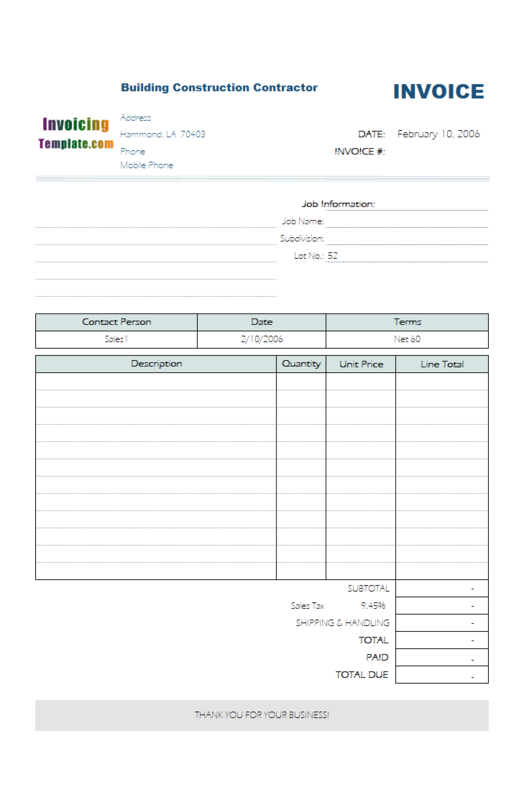 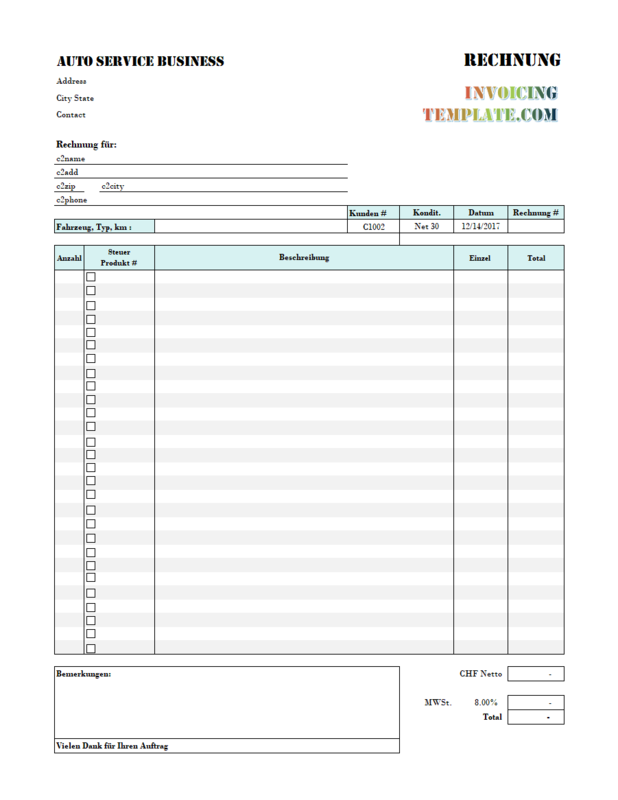 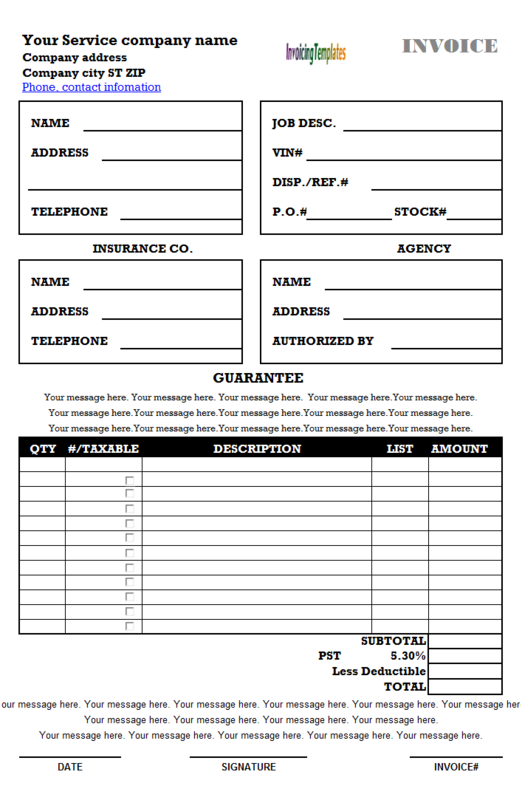 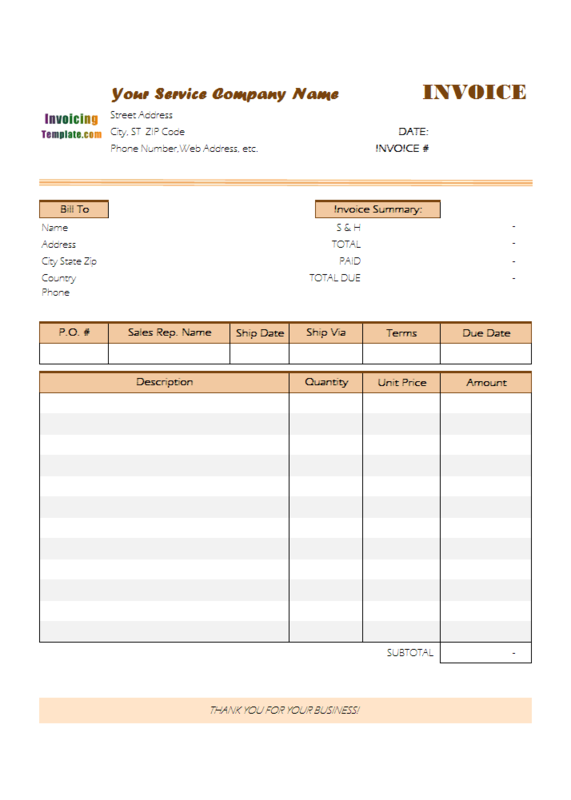 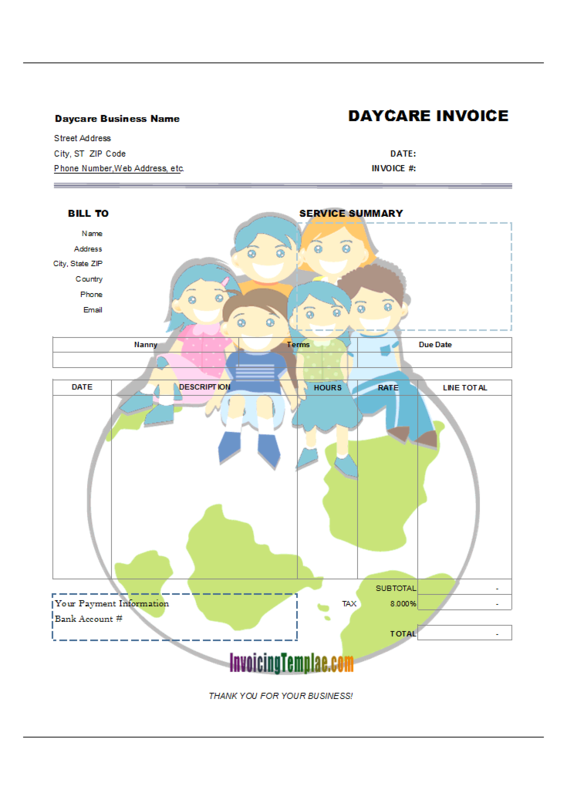 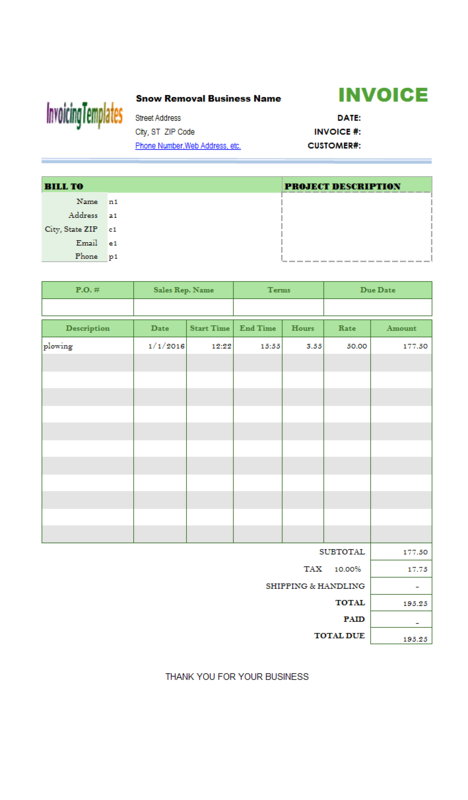 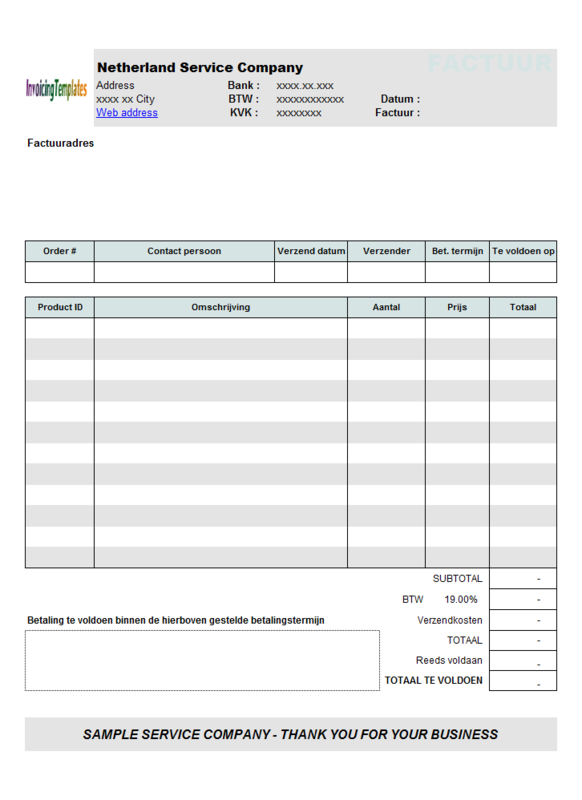 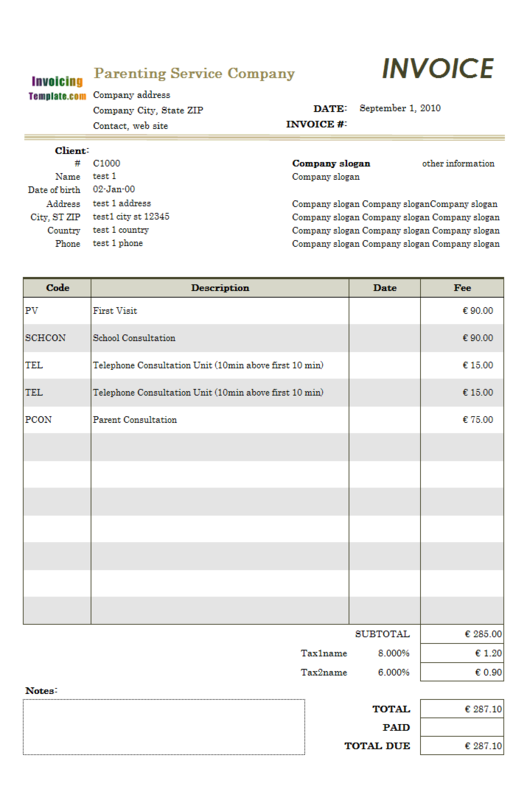 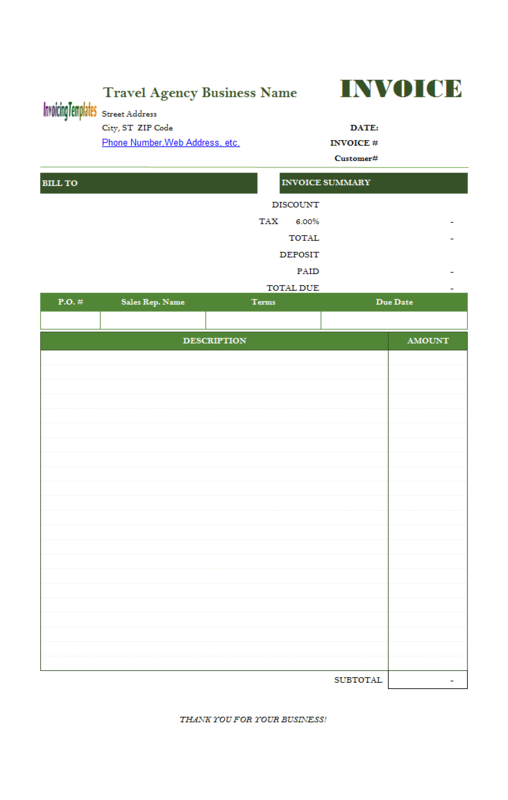 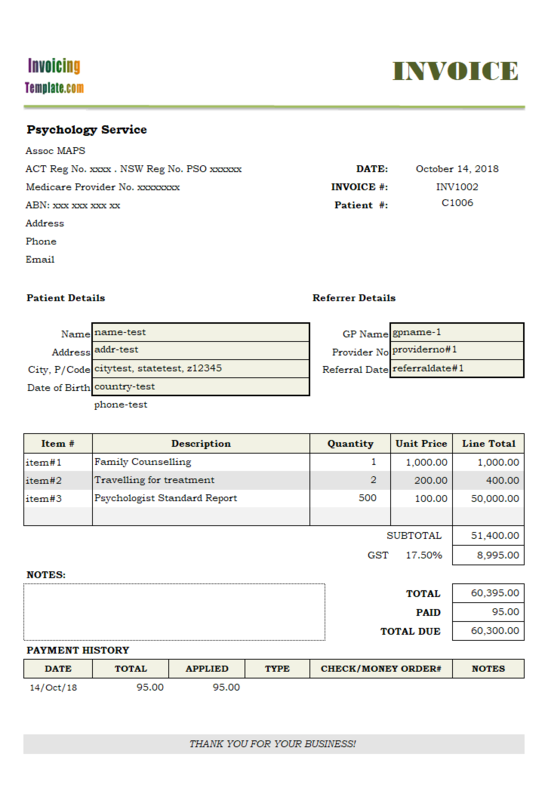 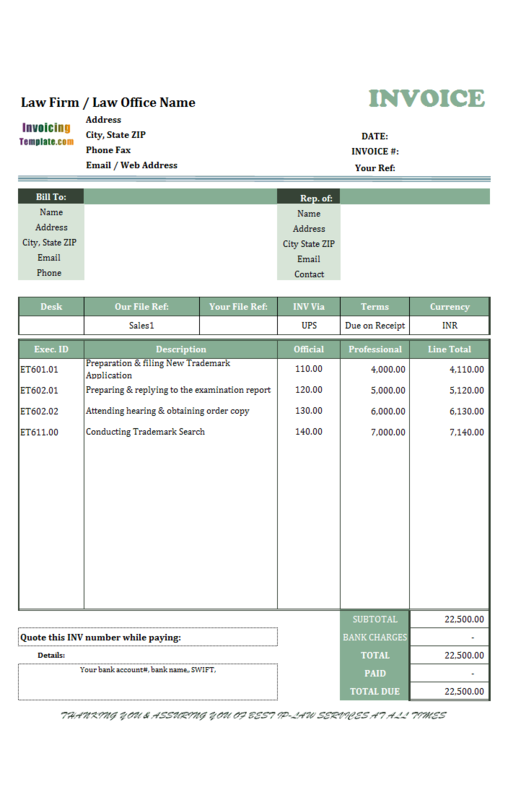 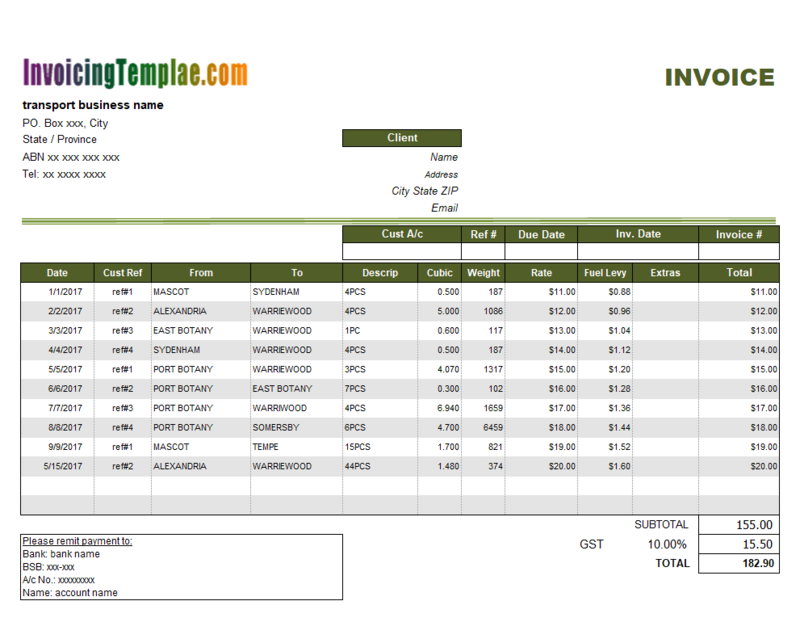 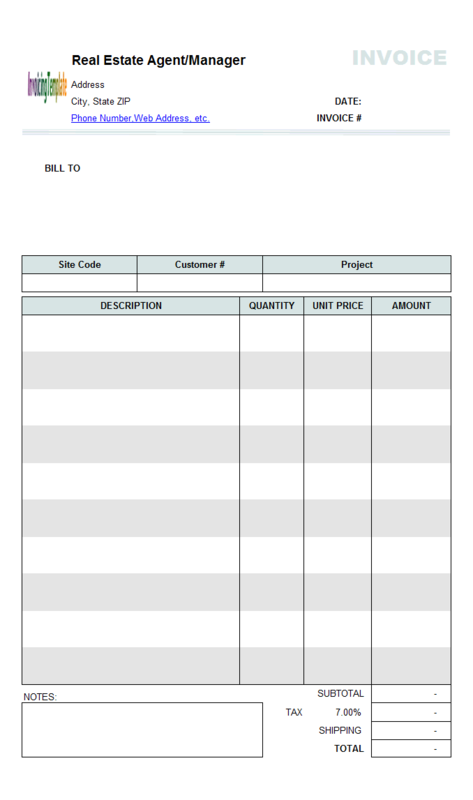 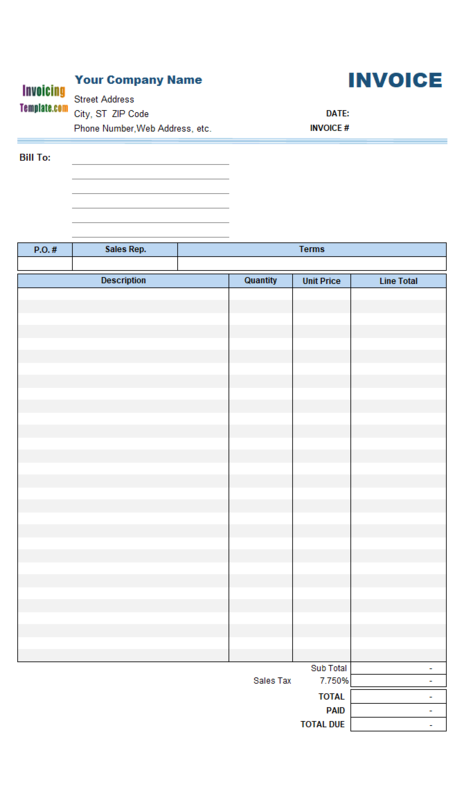 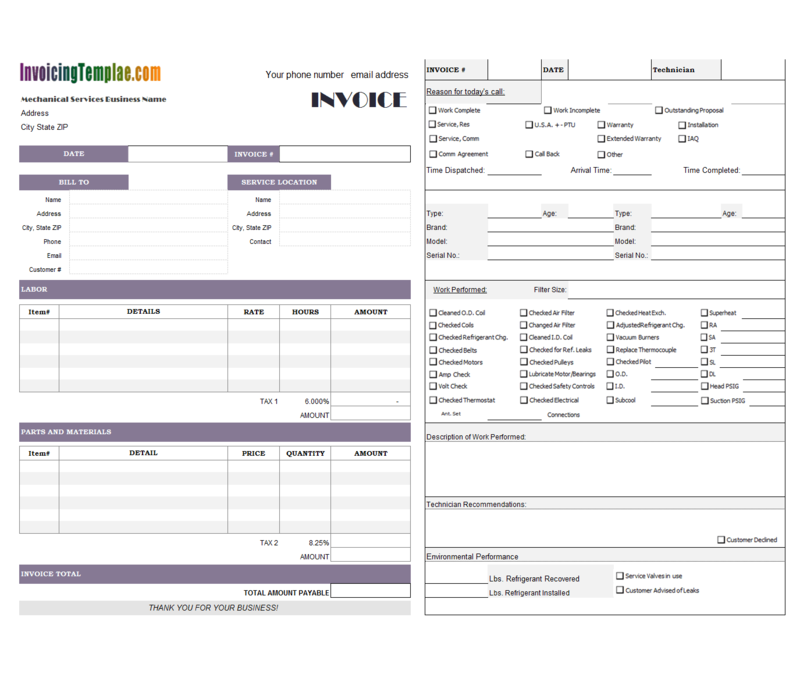 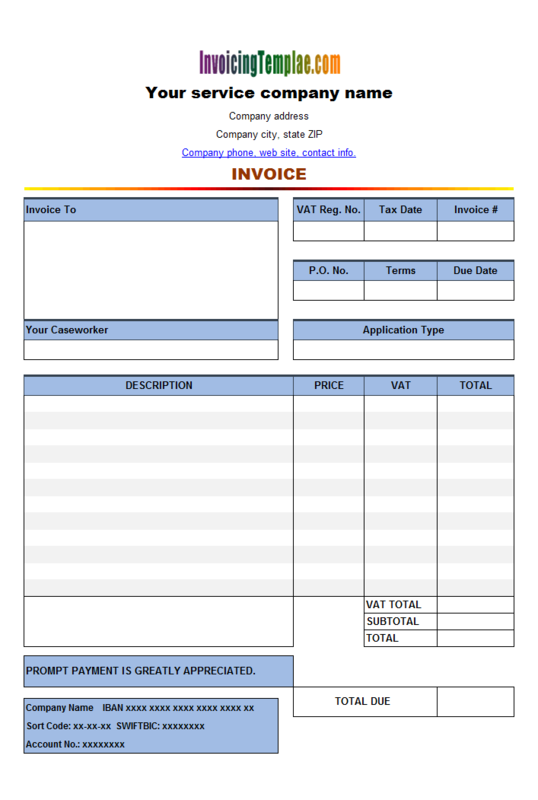 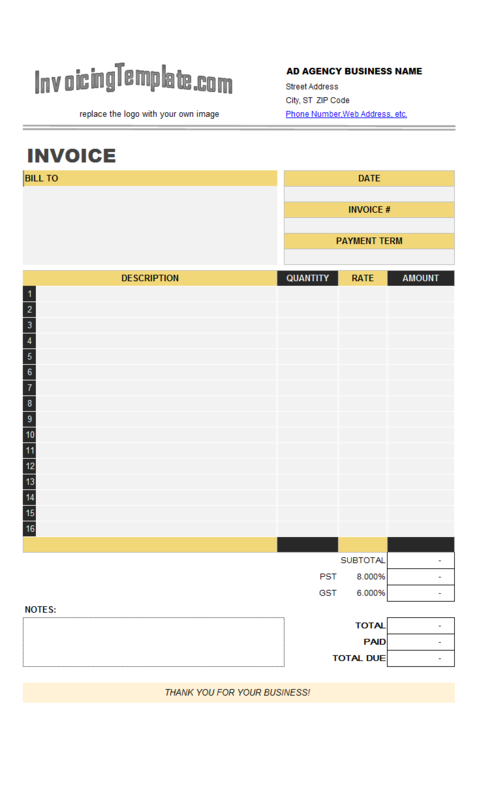 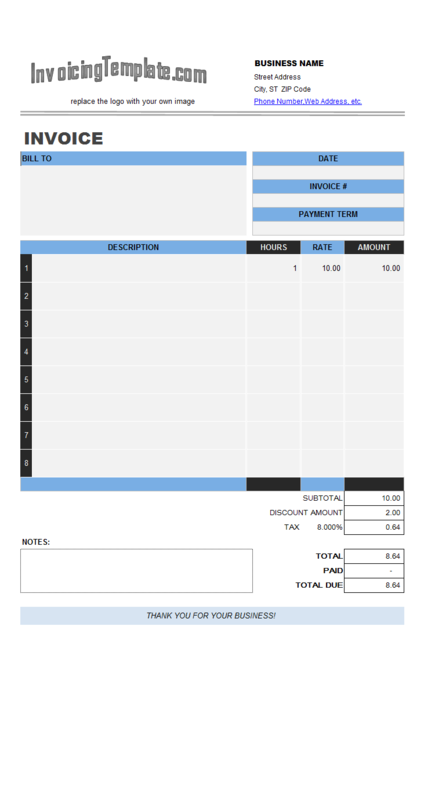 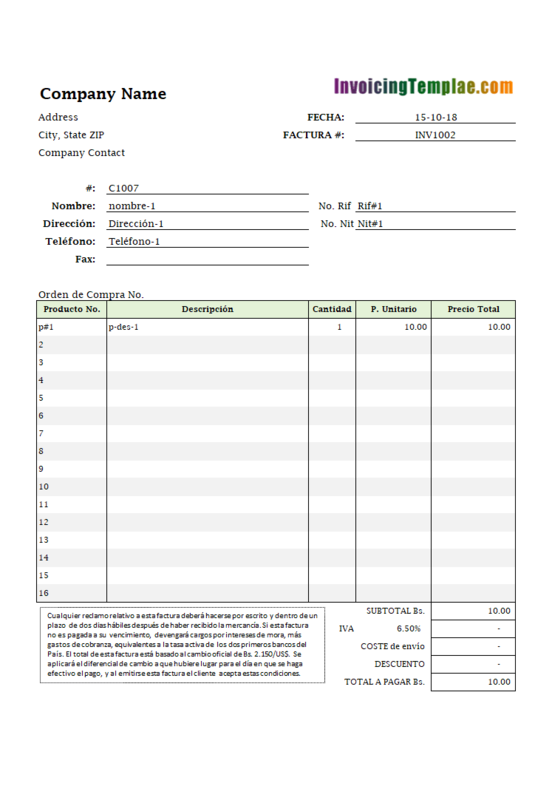 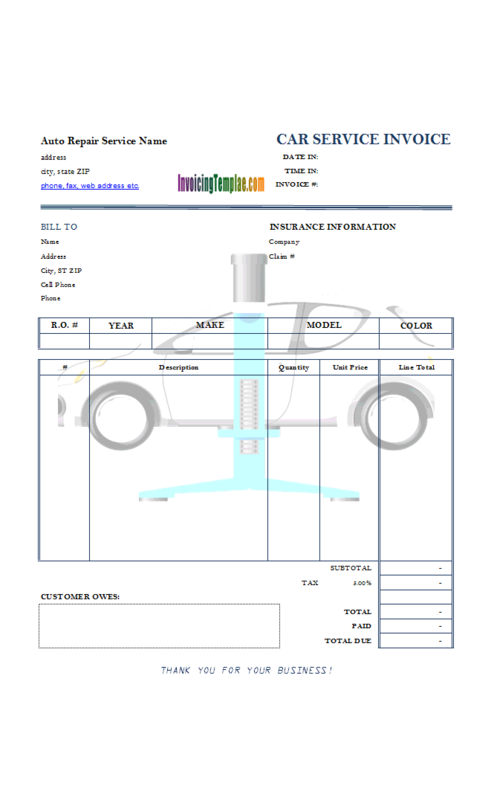 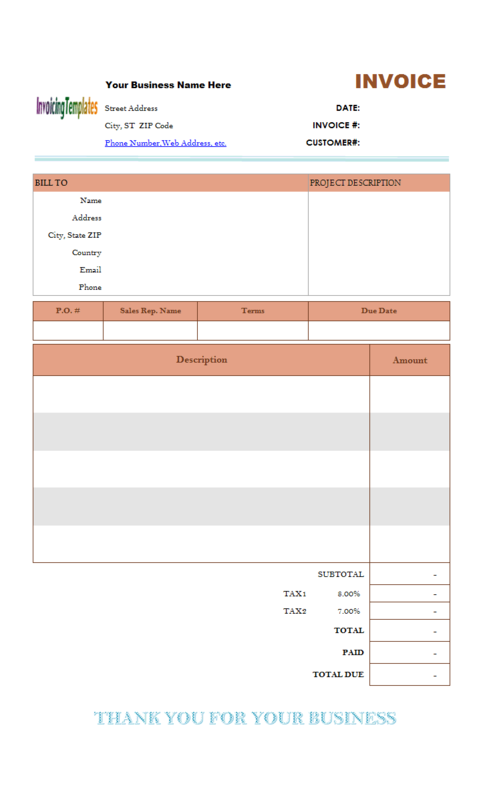 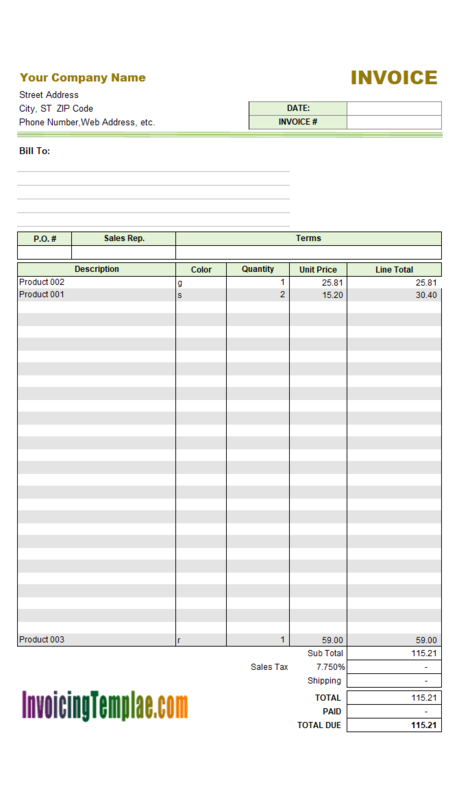 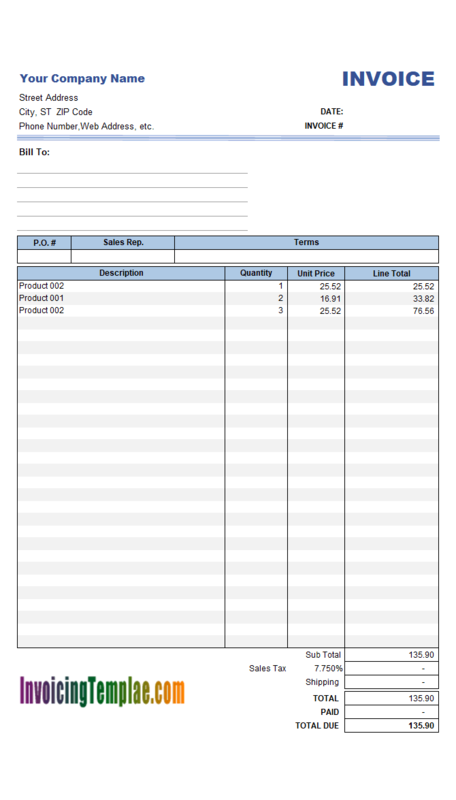 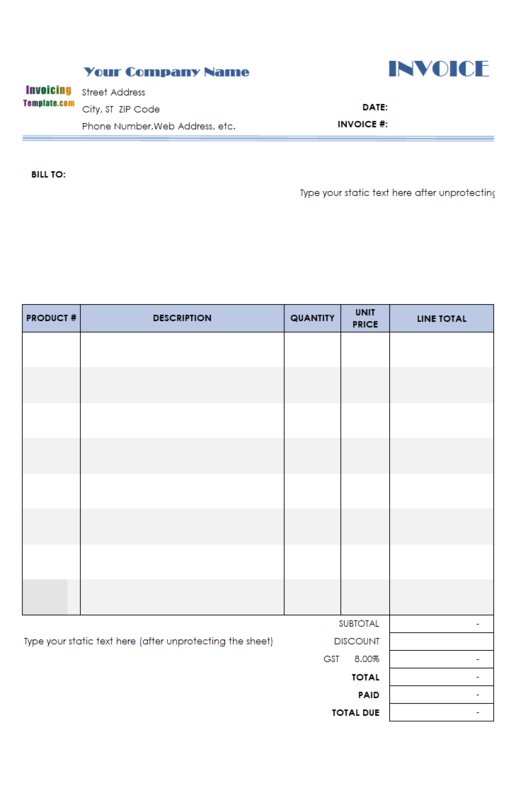 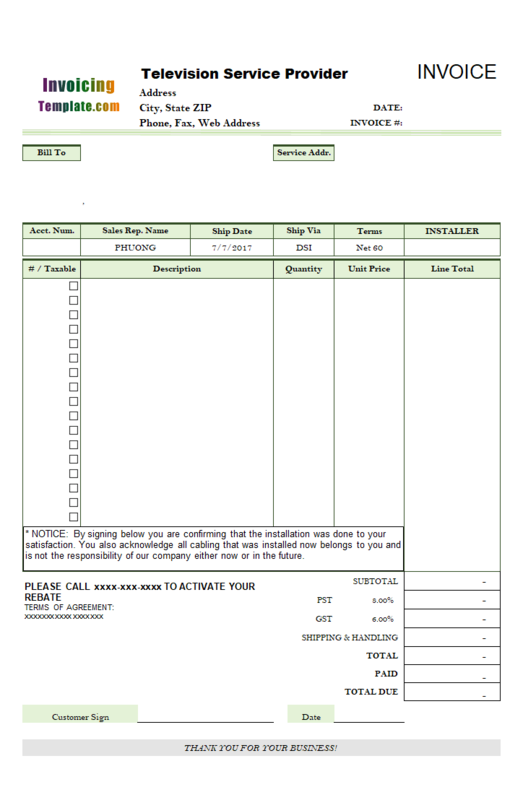 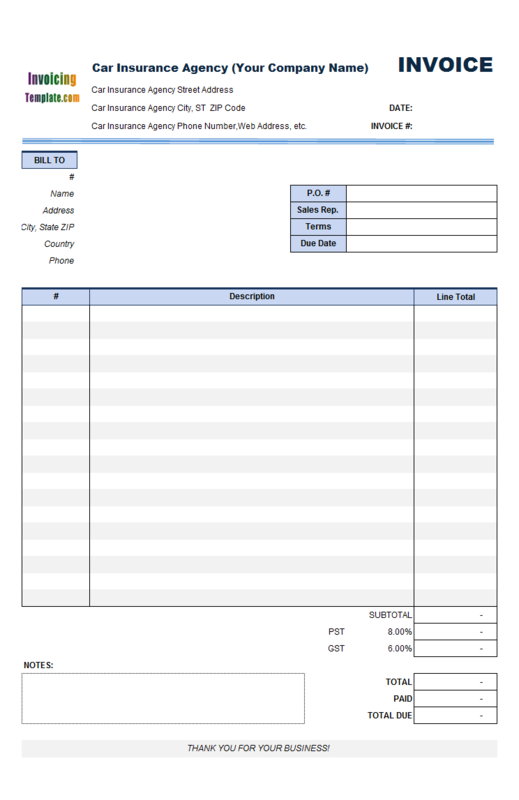 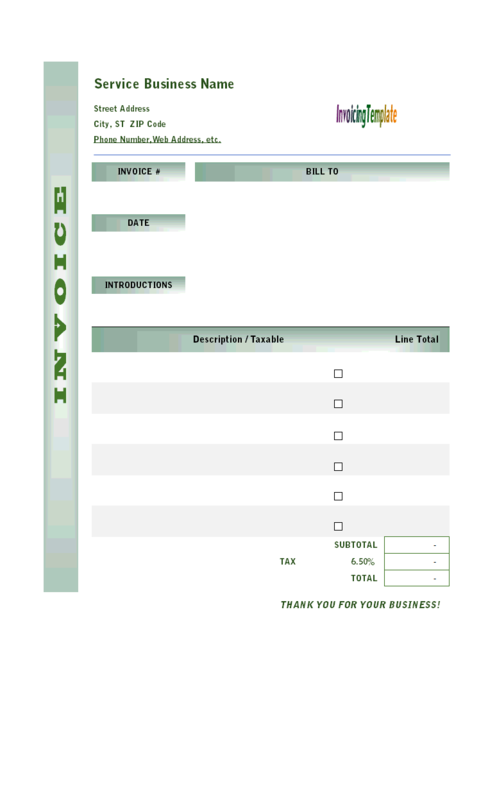 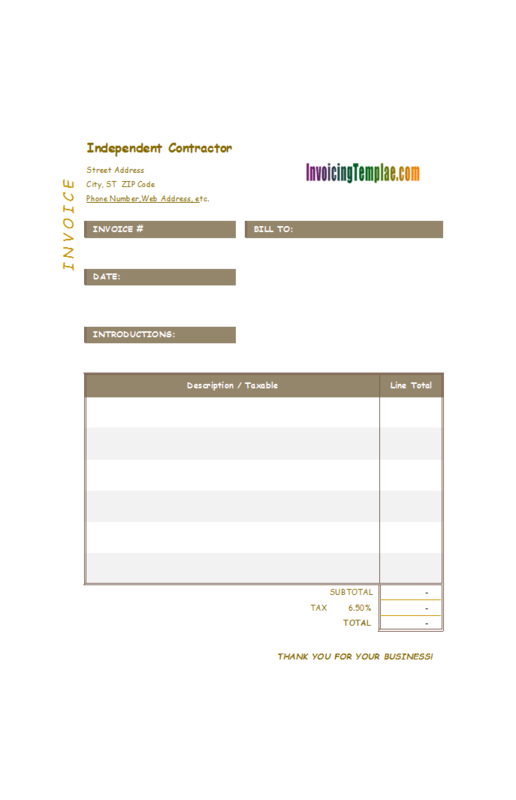 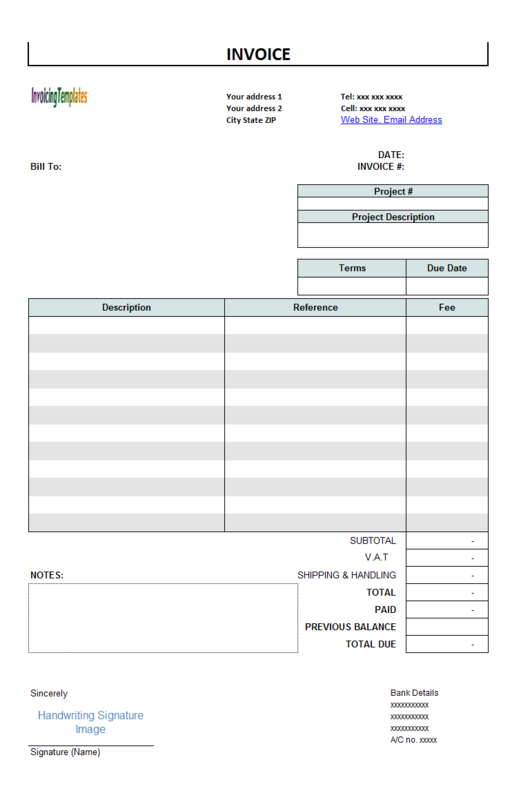 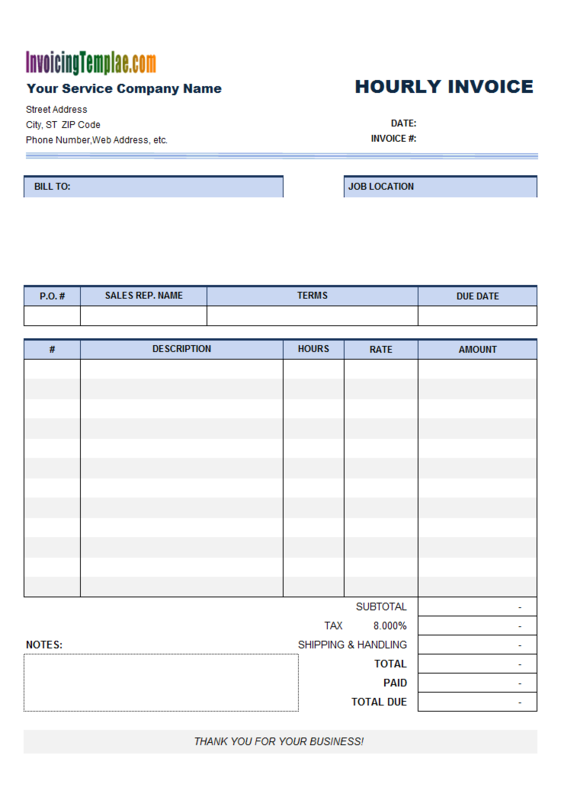 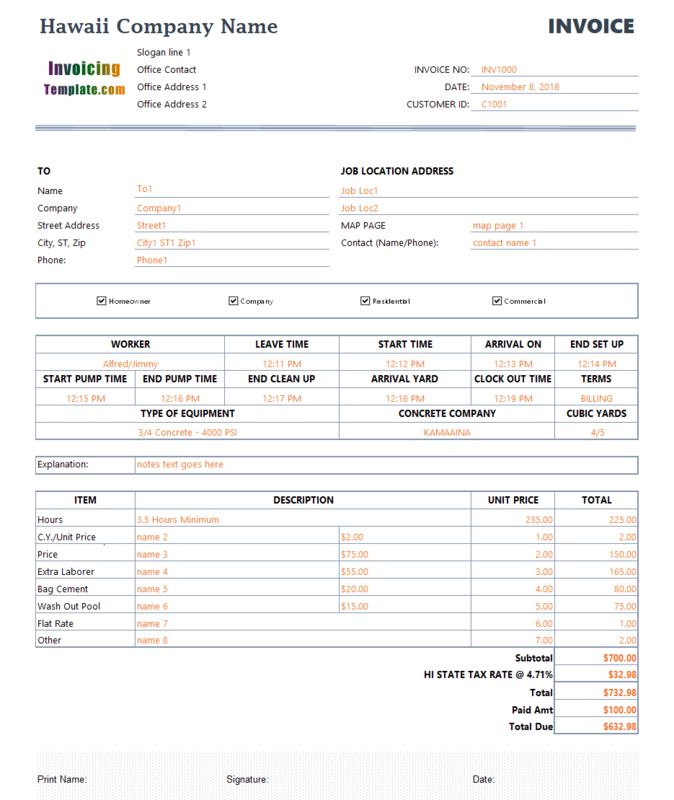 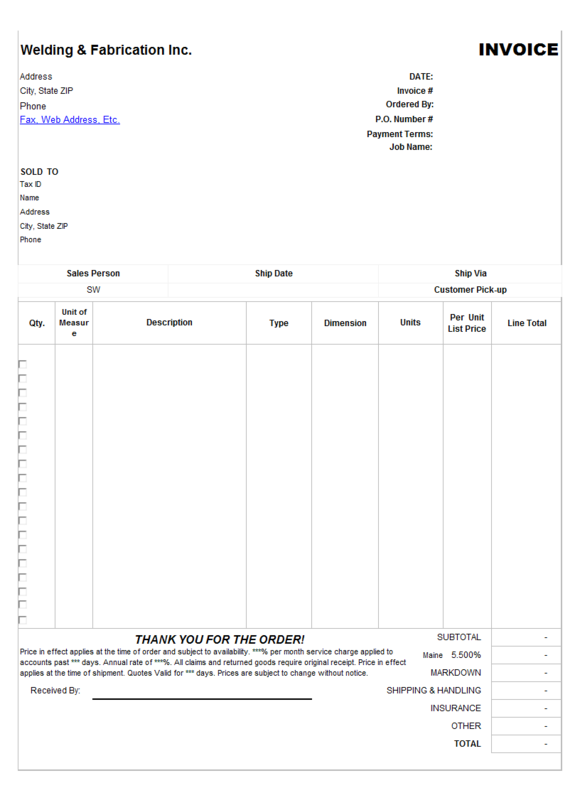 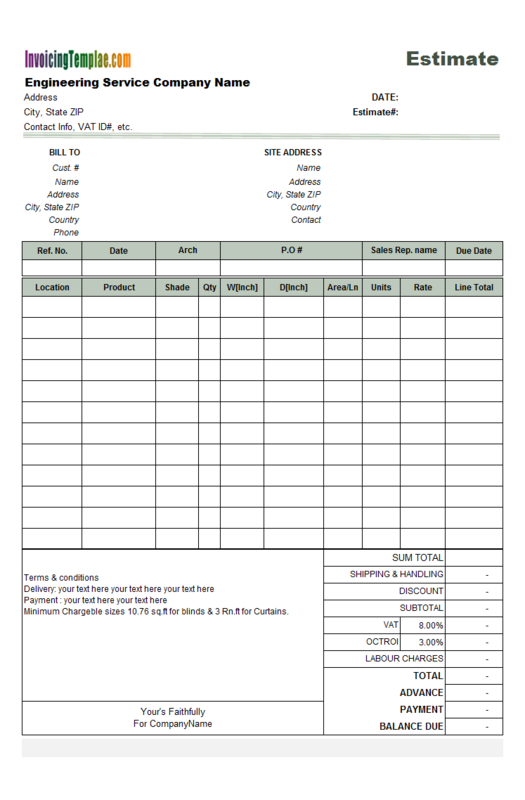 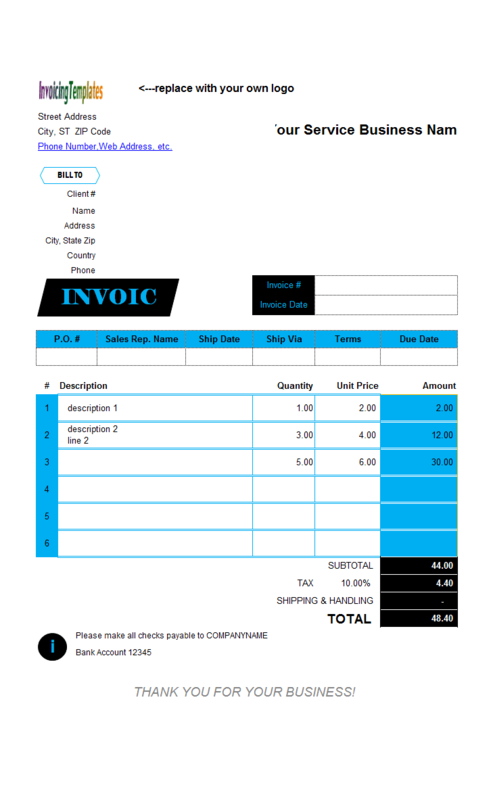 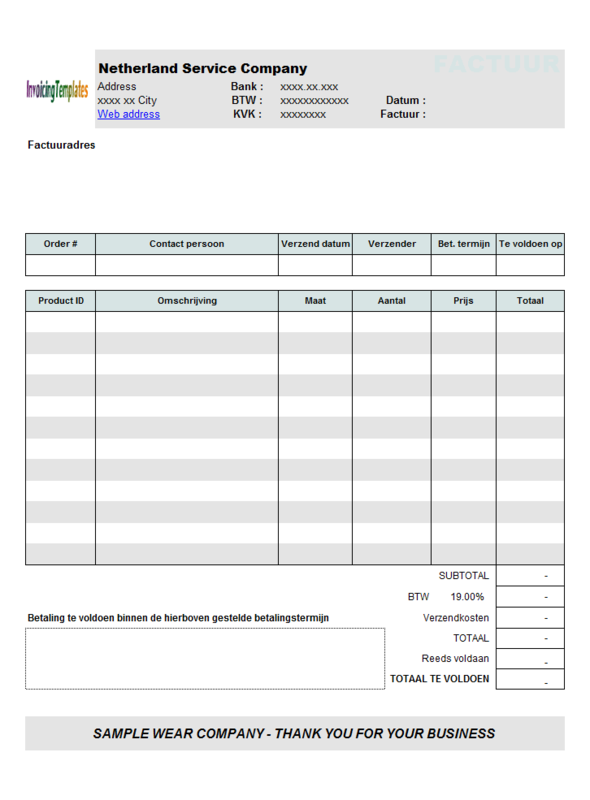 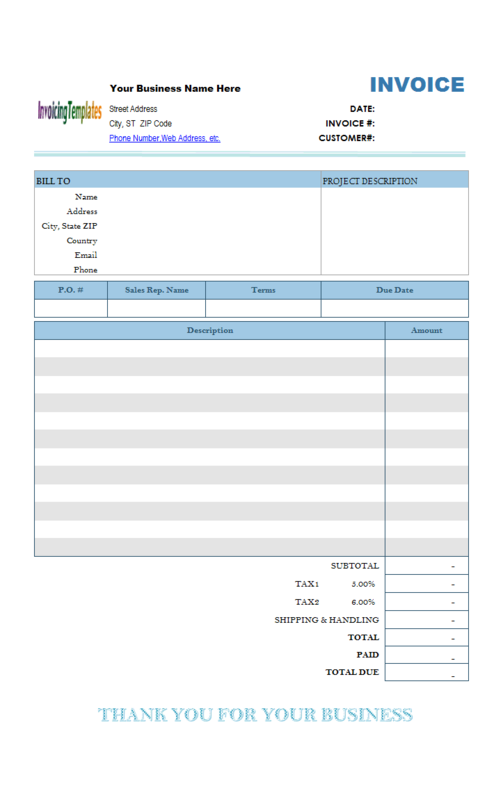 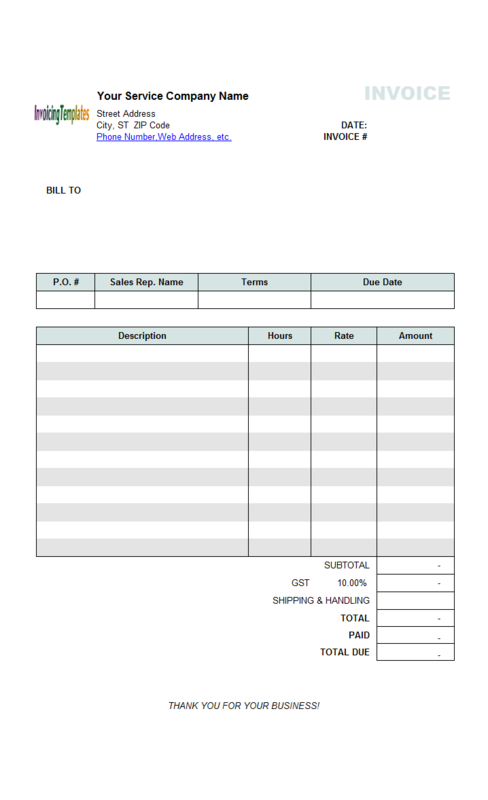 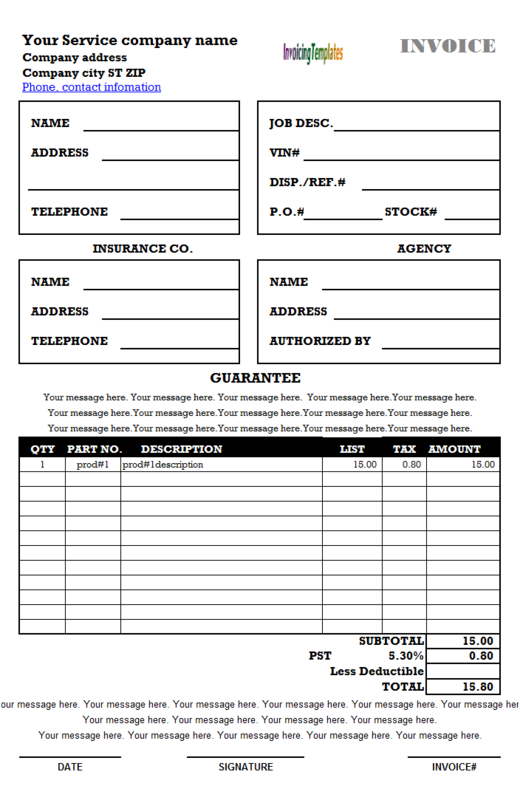 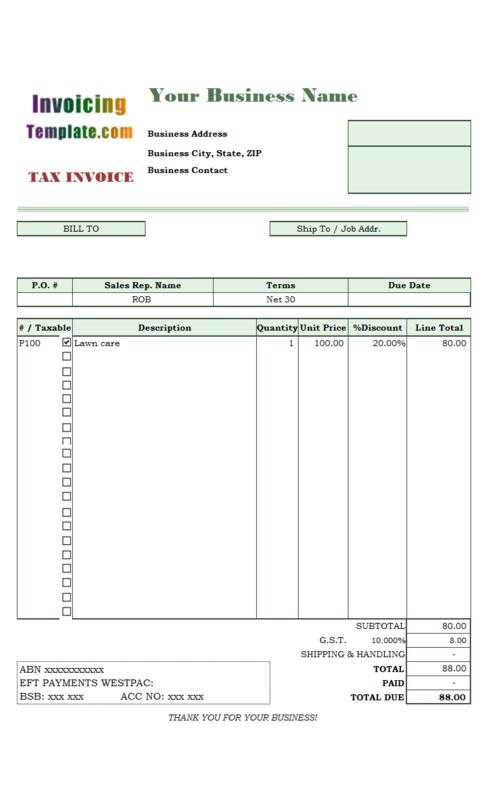 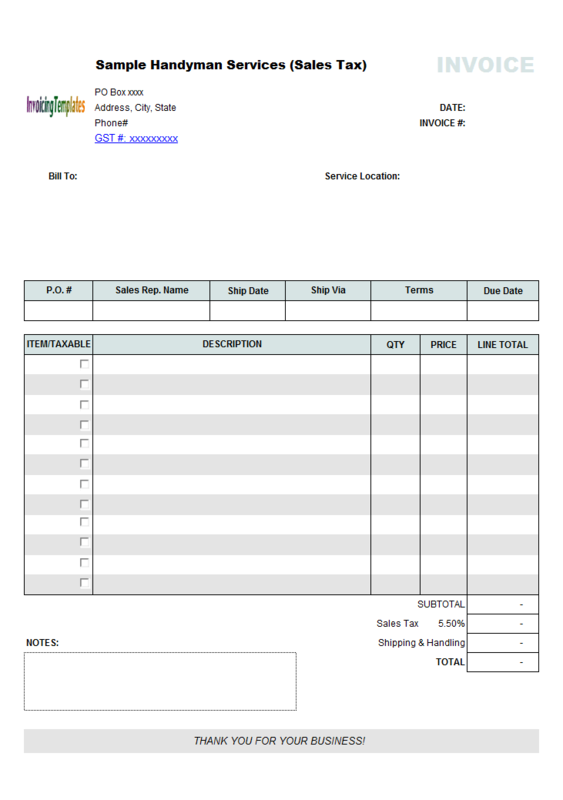 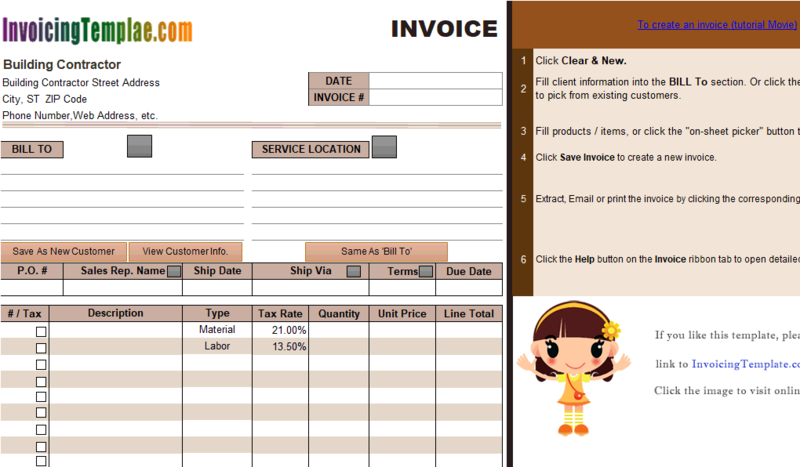 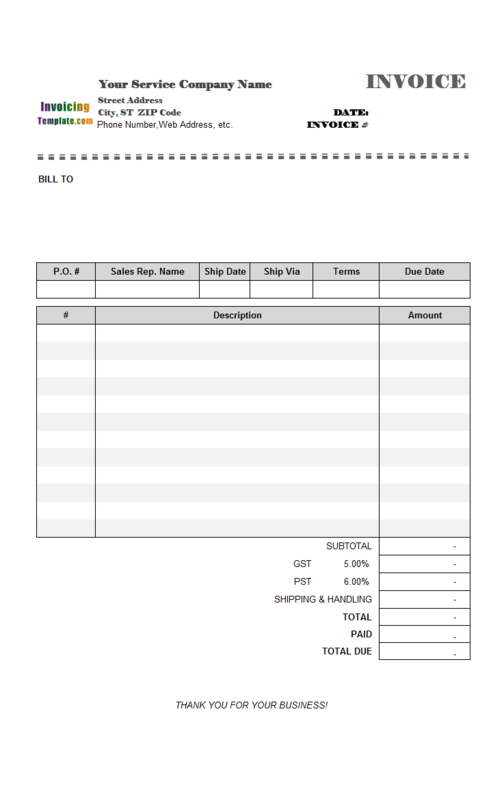 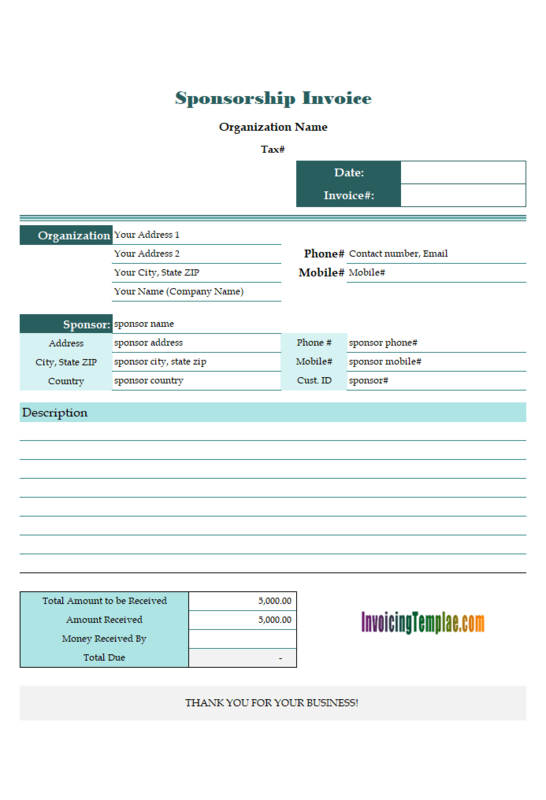 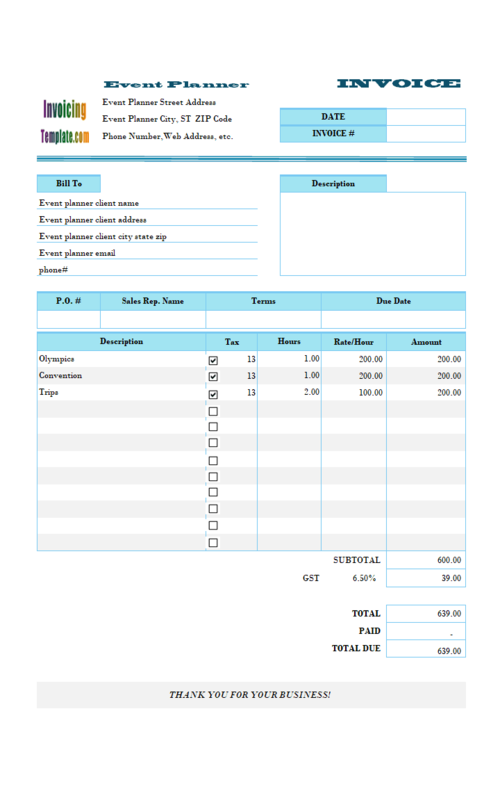 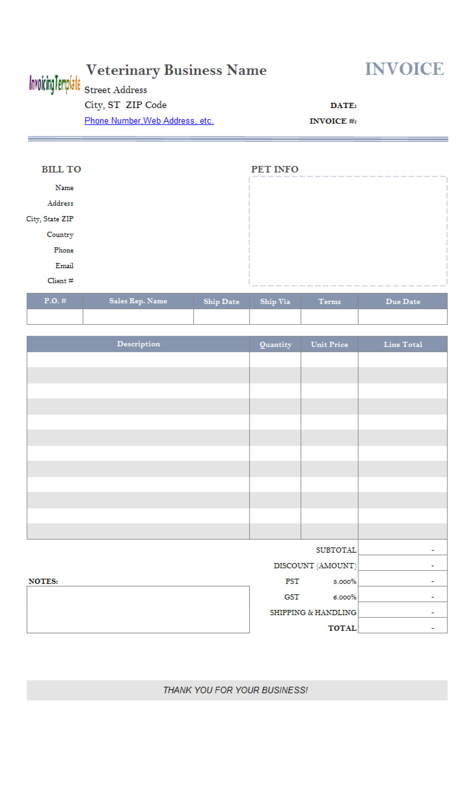 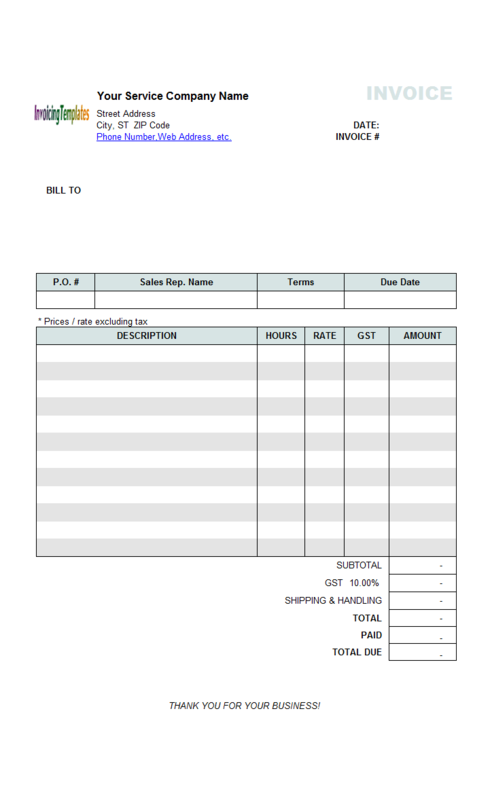 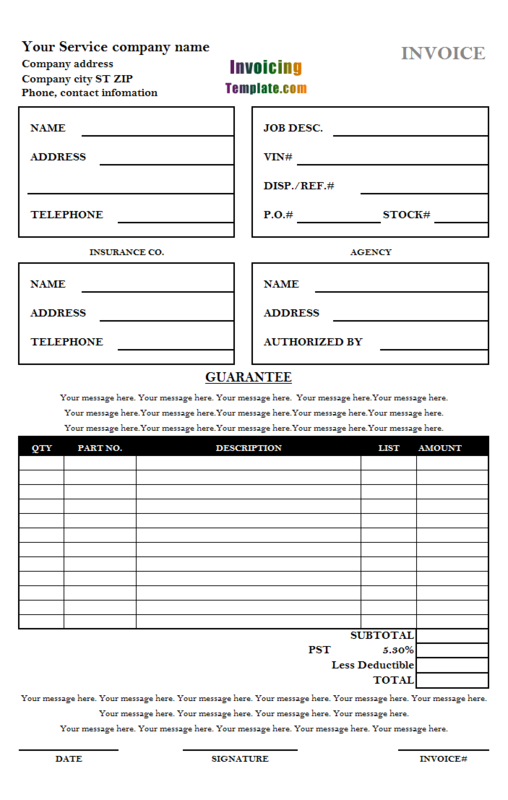 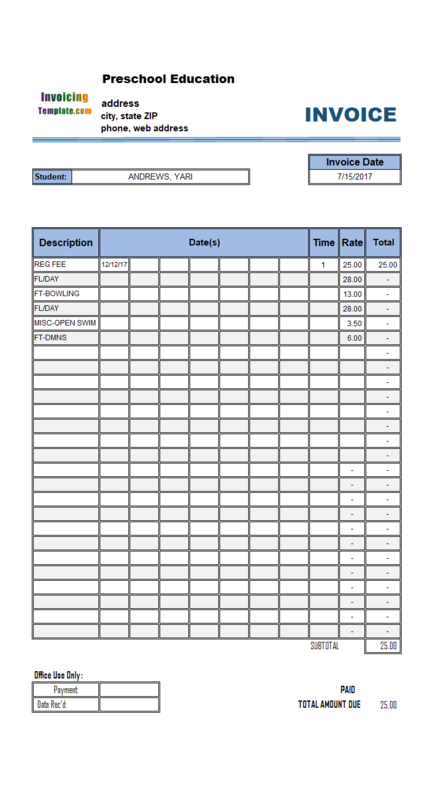 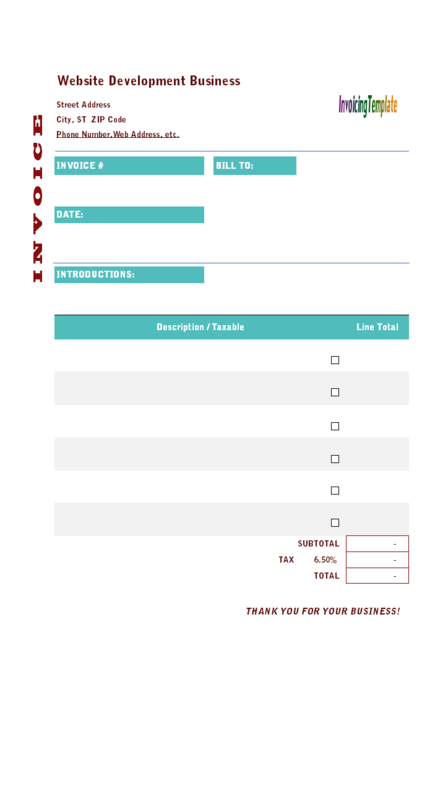 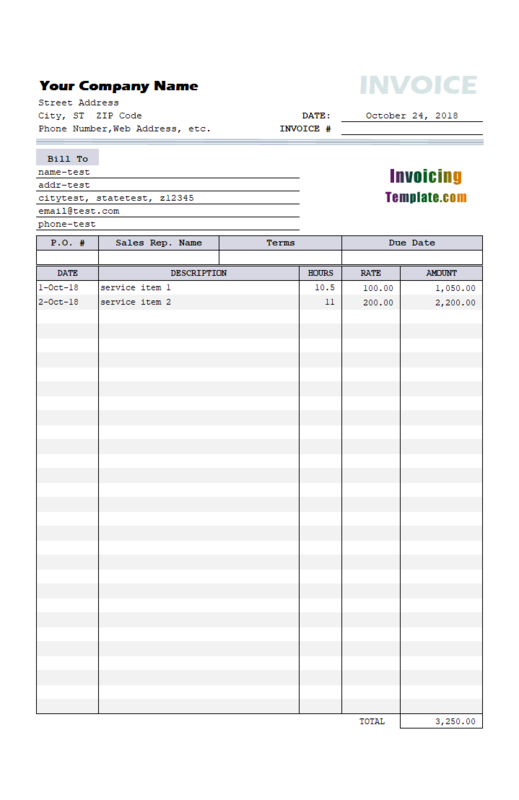 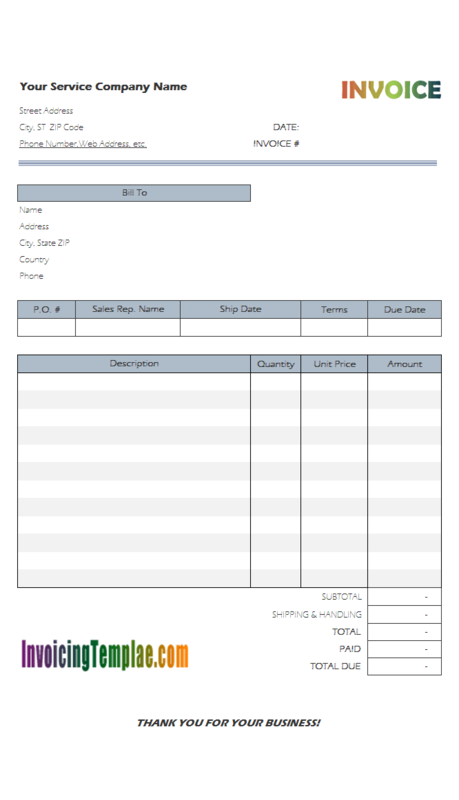 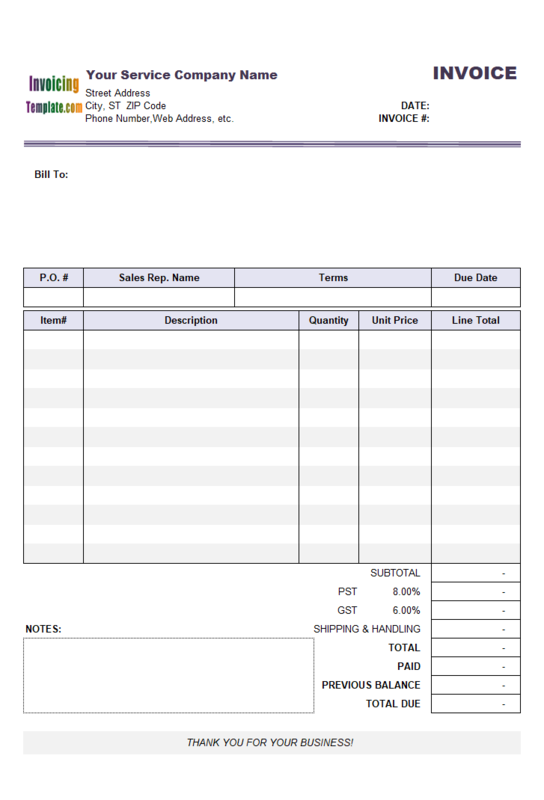 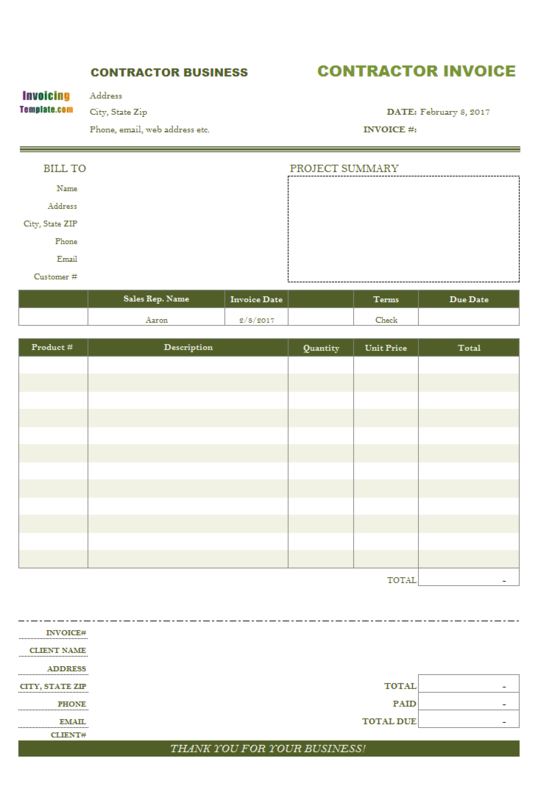 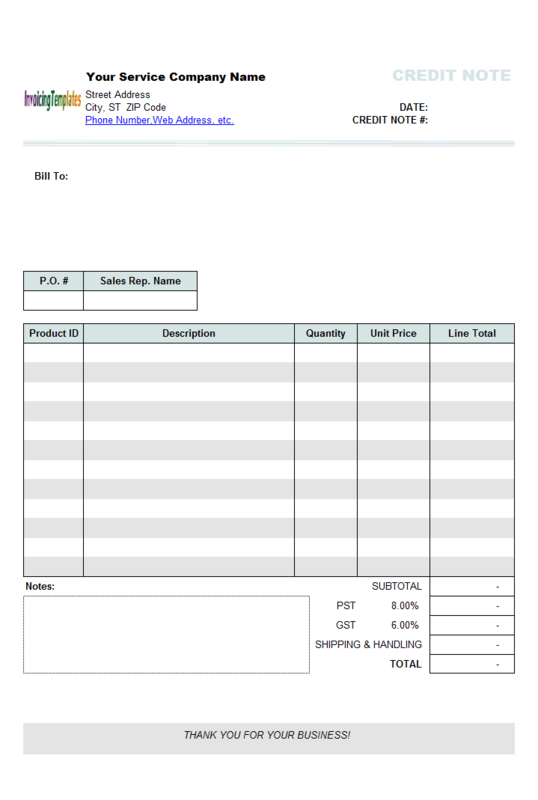 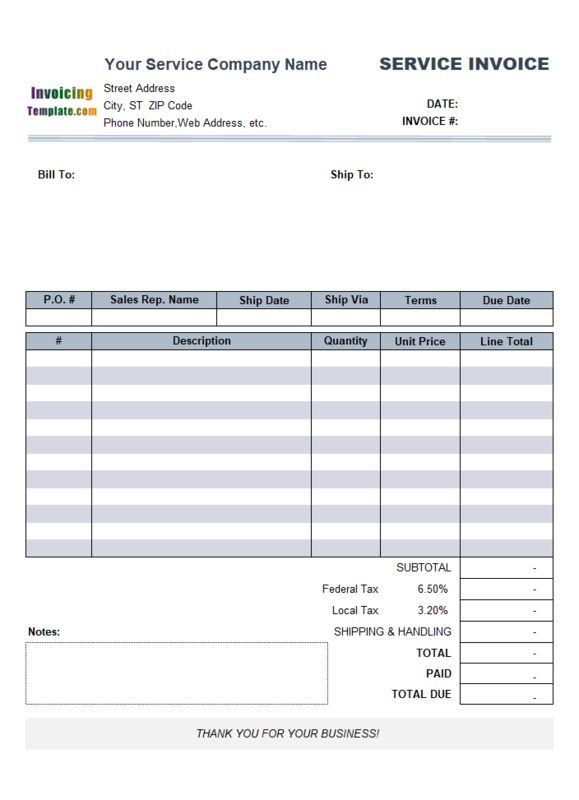 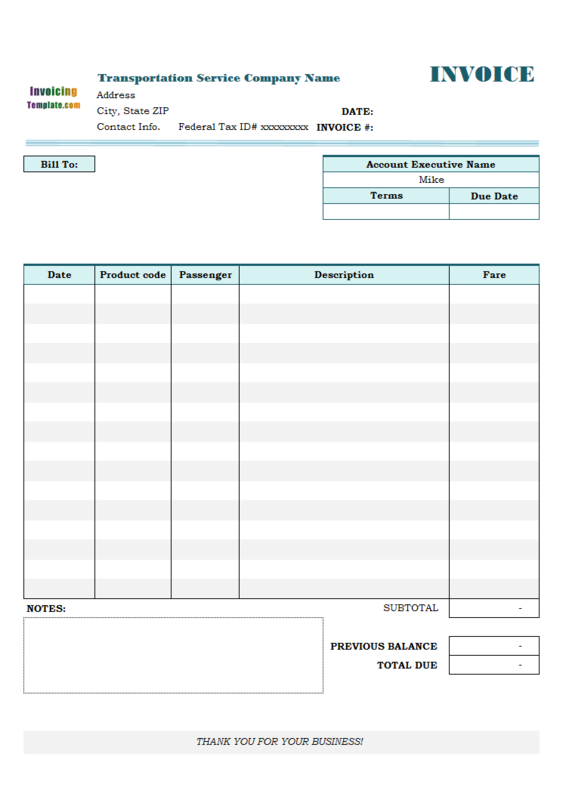 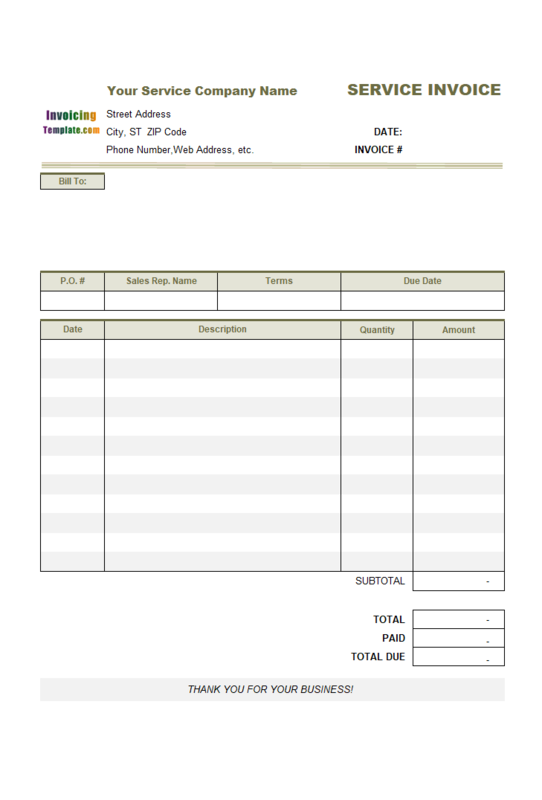 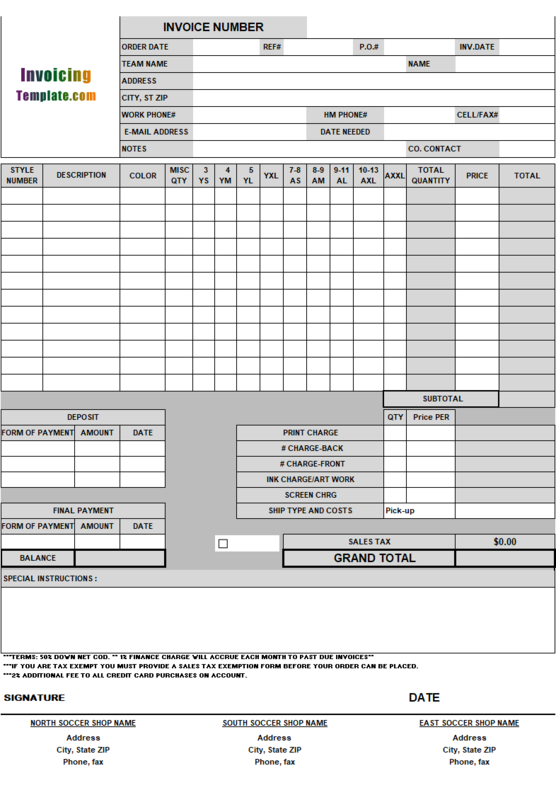 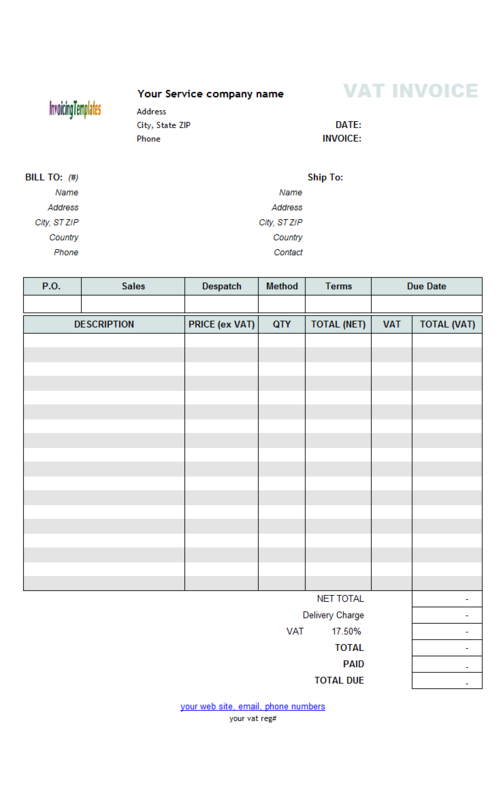 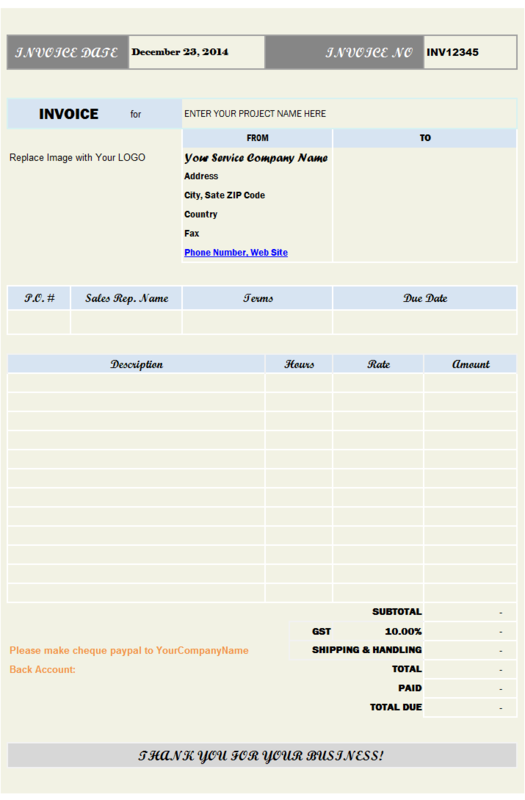 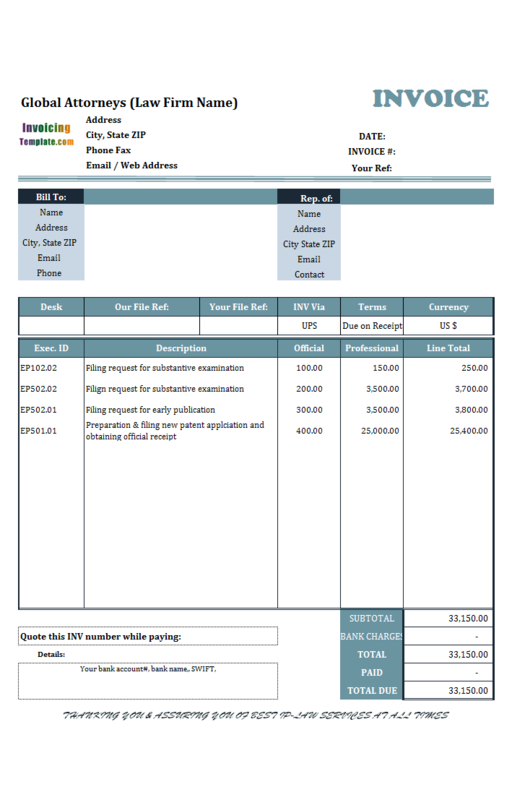 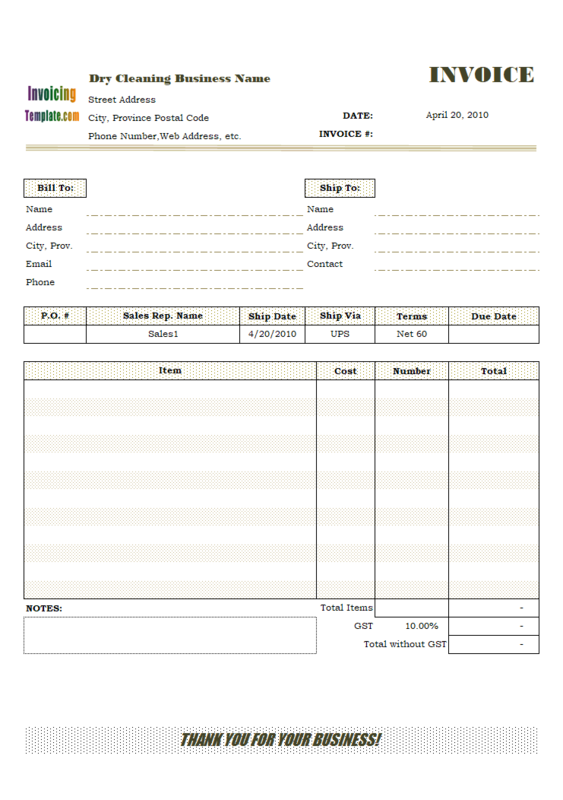 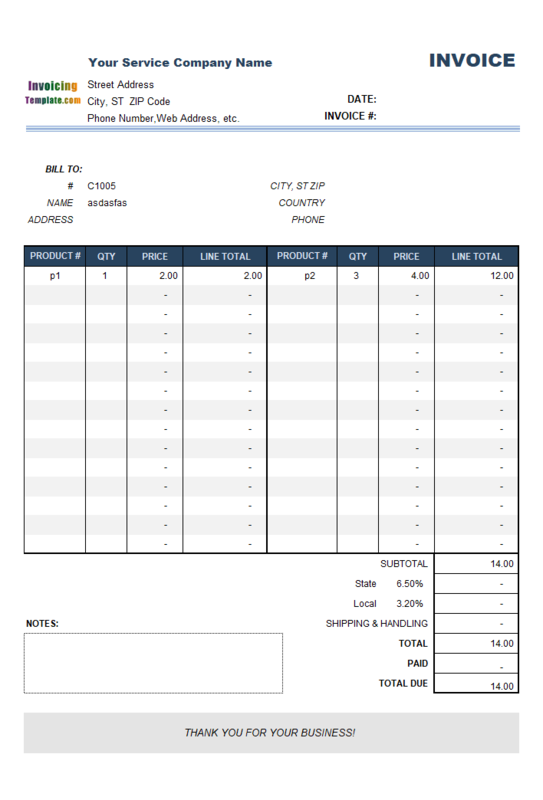 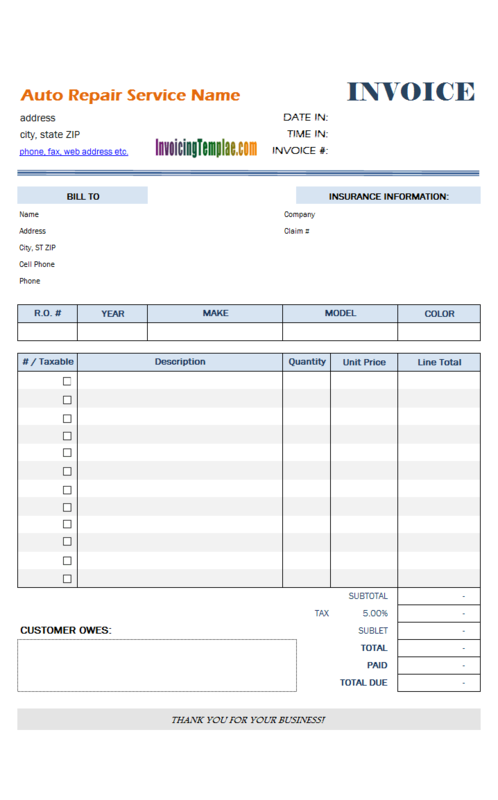 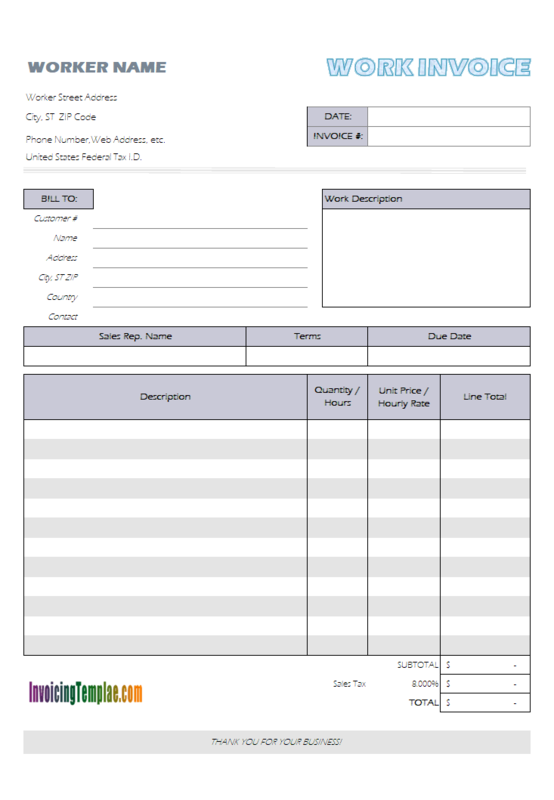 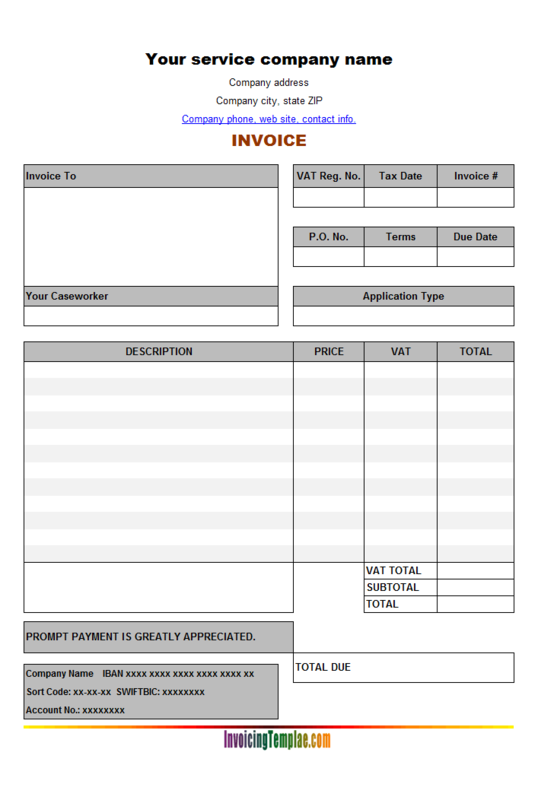 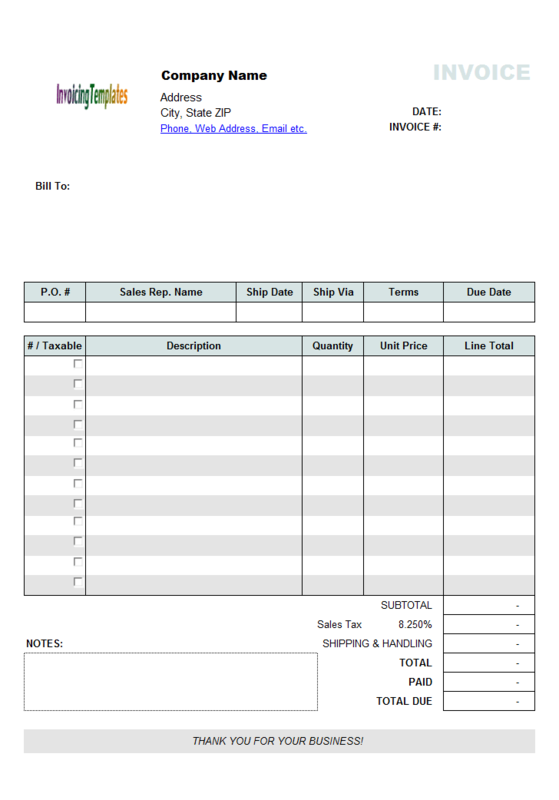 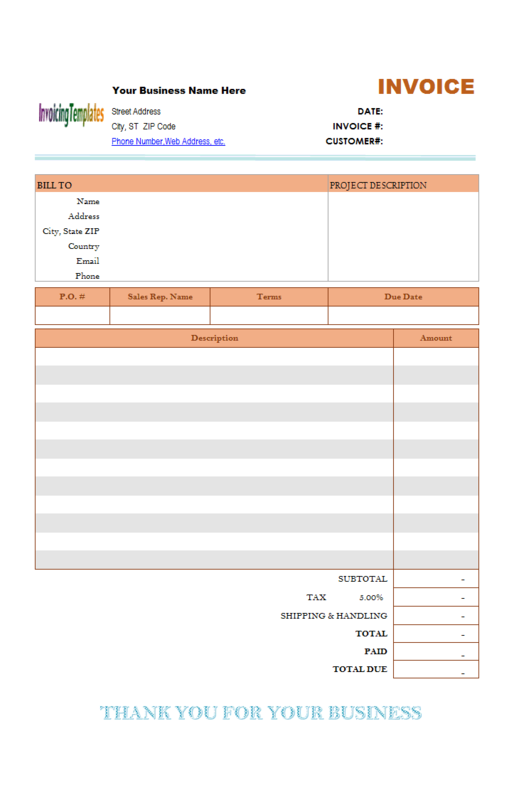 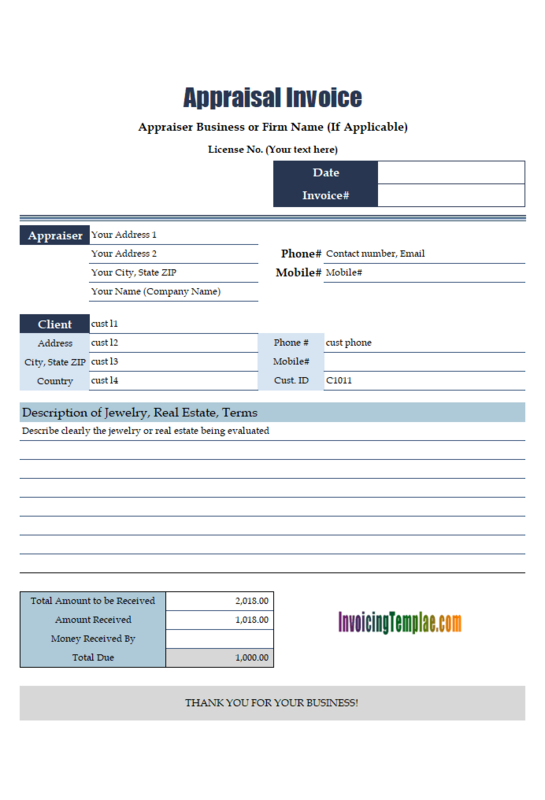 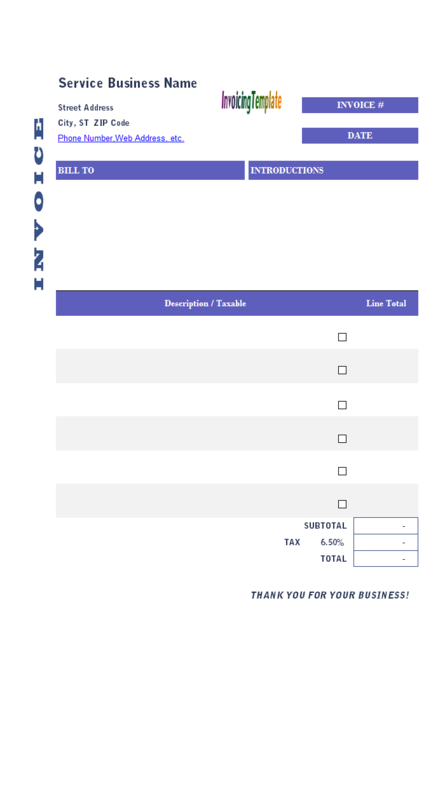 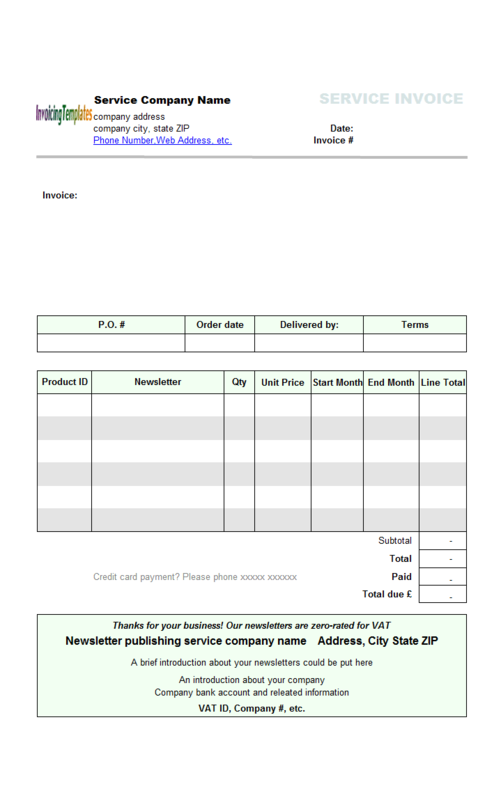 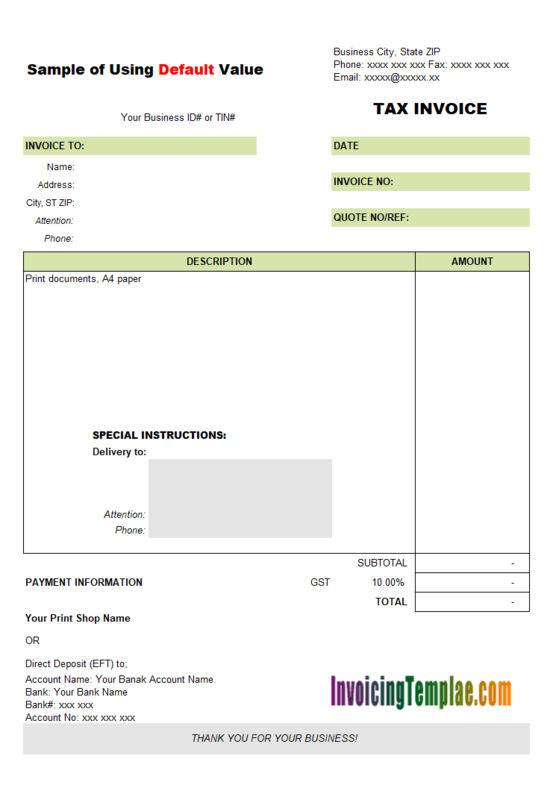 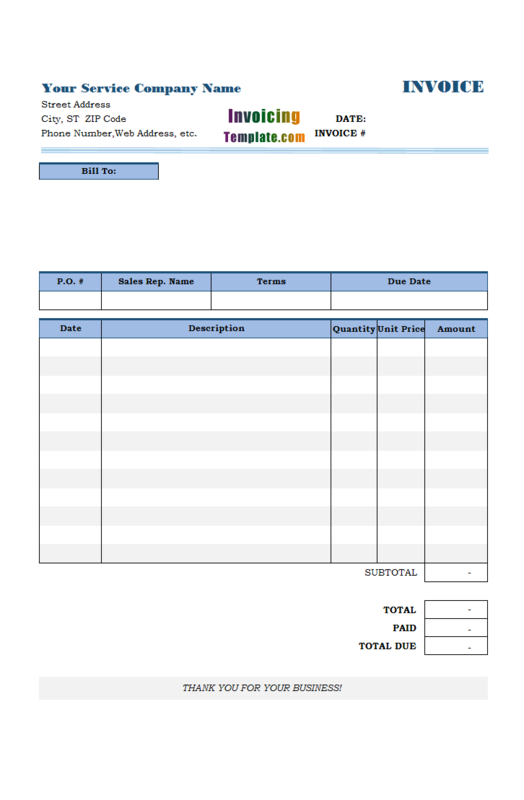 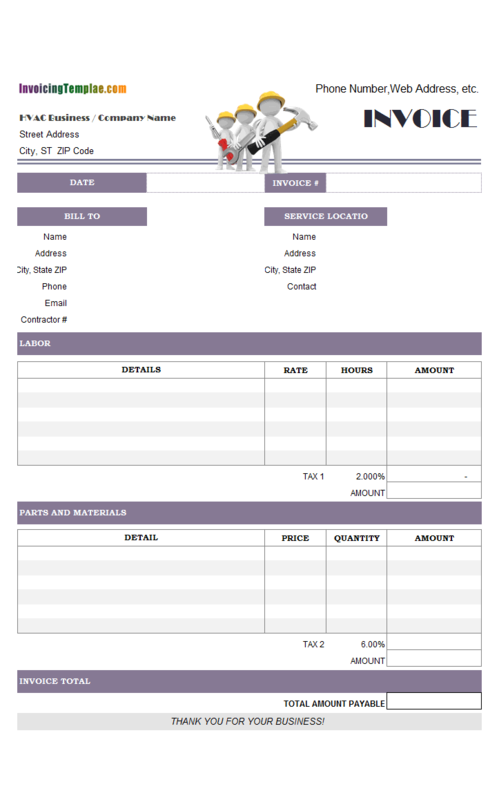 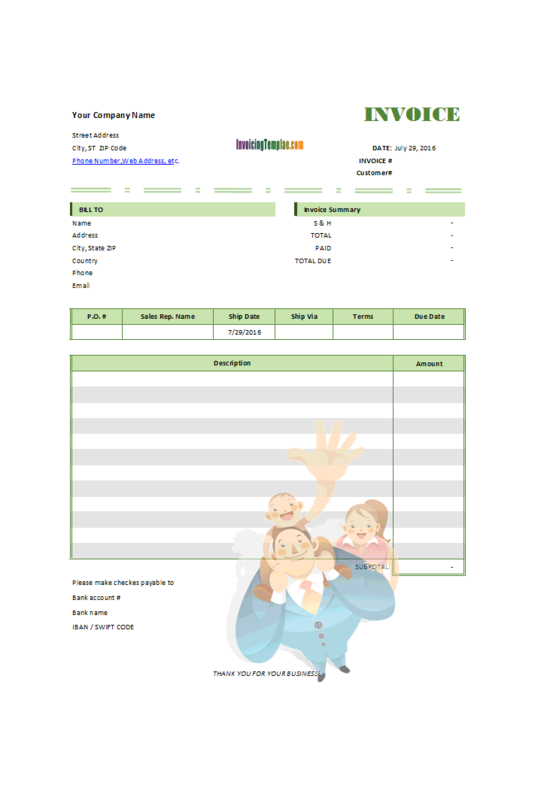 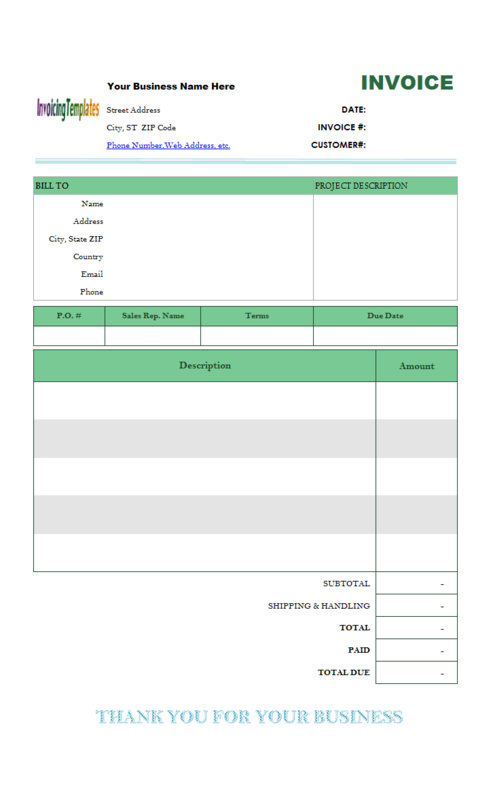 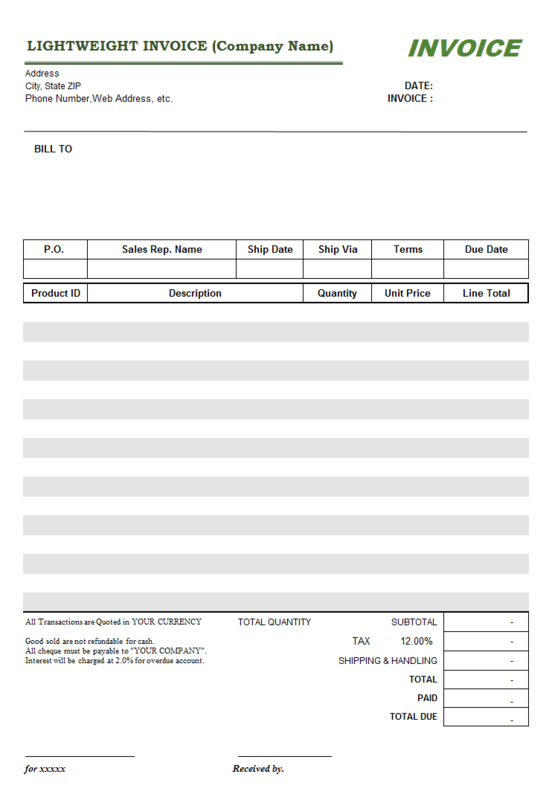 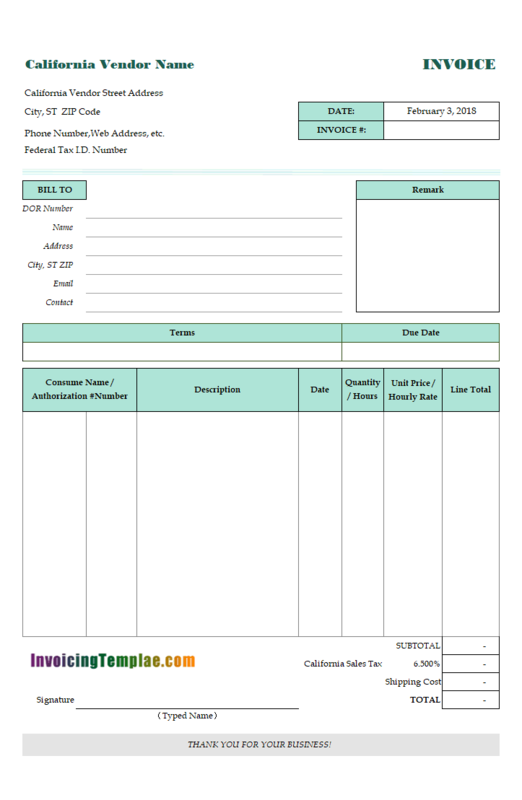 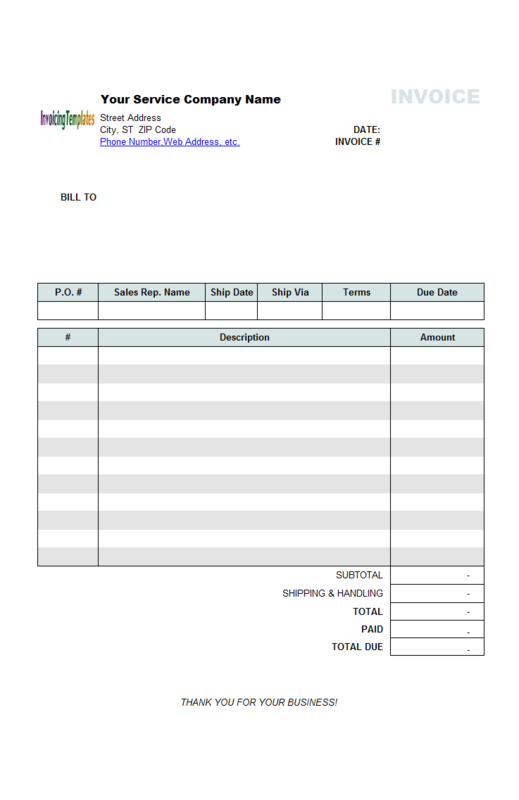 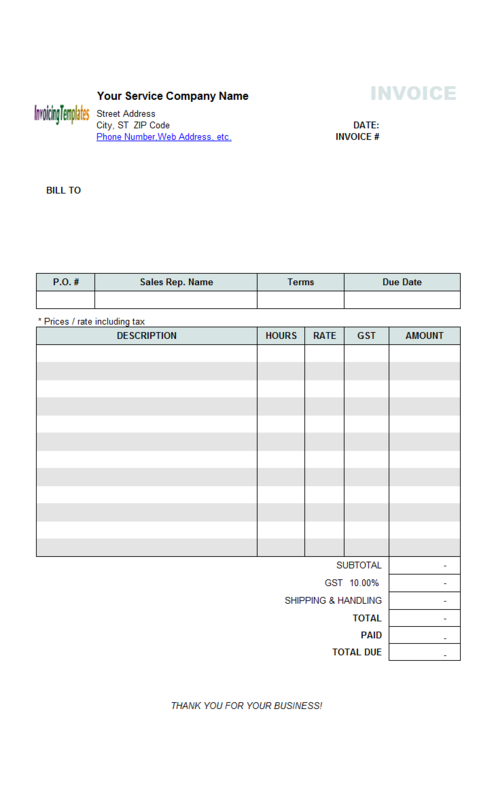 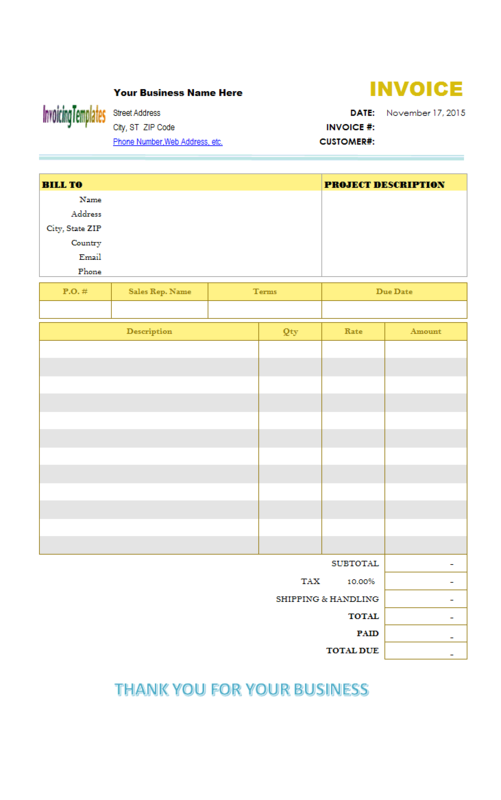 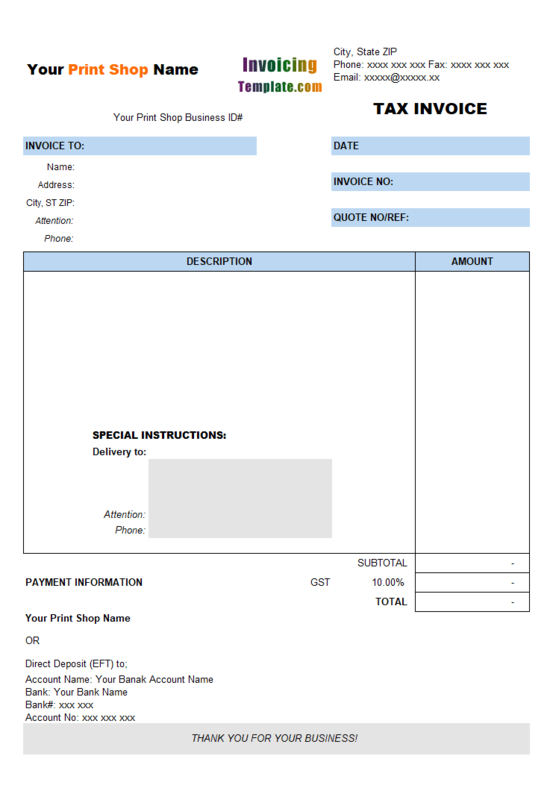 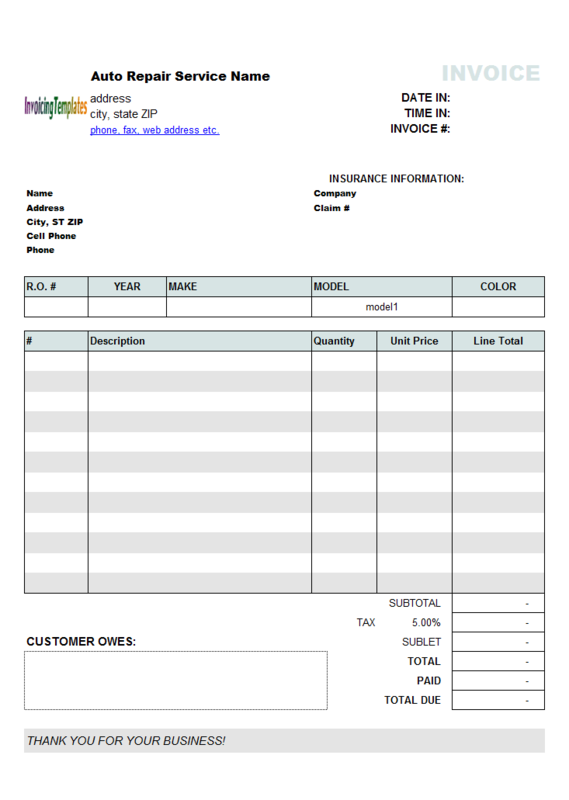 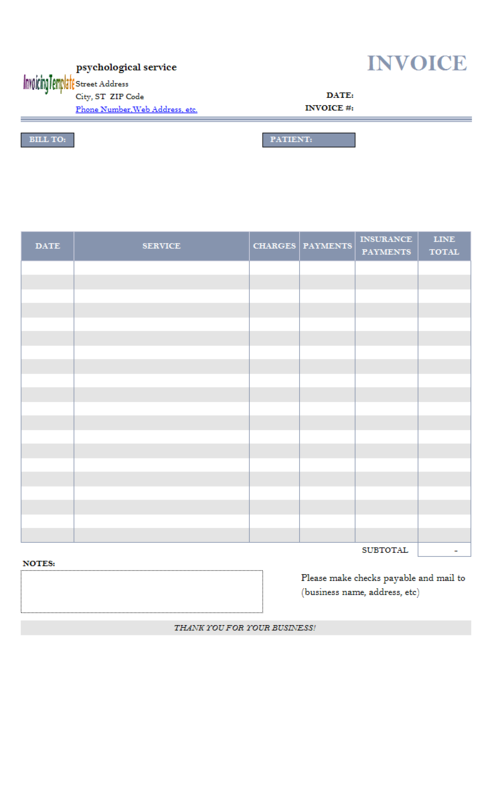 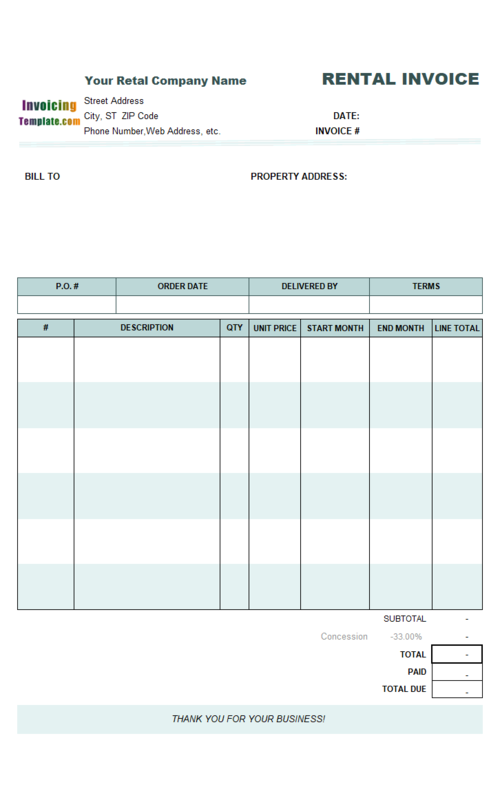 These printable sample invoicing templates include designs and layouts with non-tax, one-tax and two-tax. 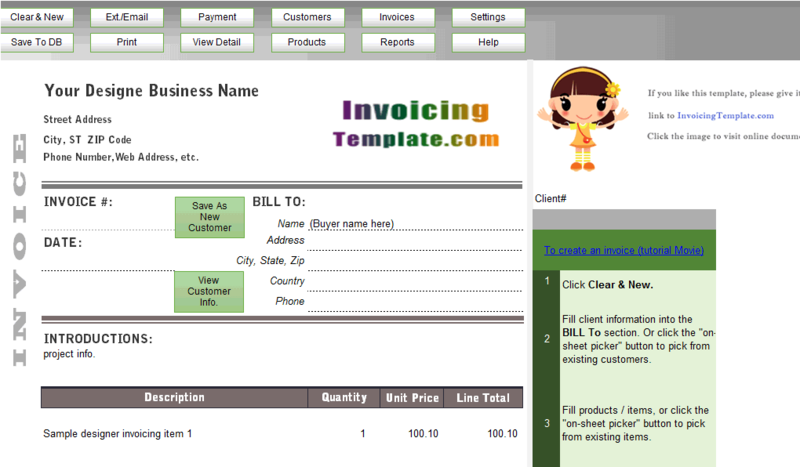 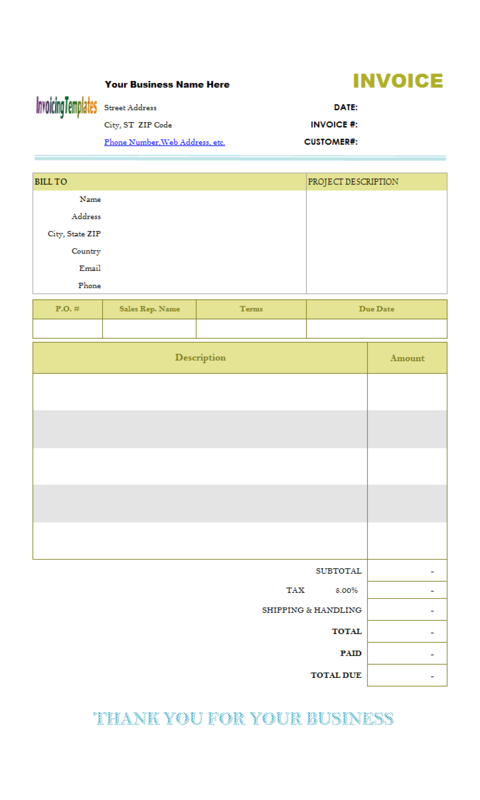 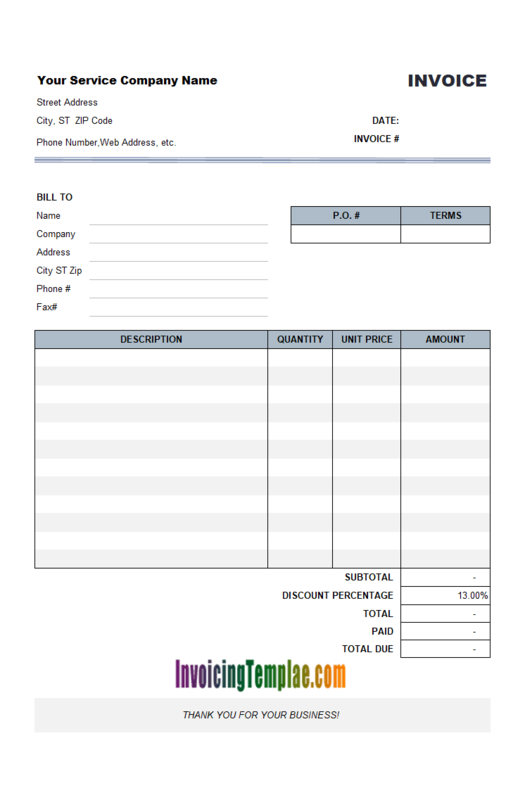 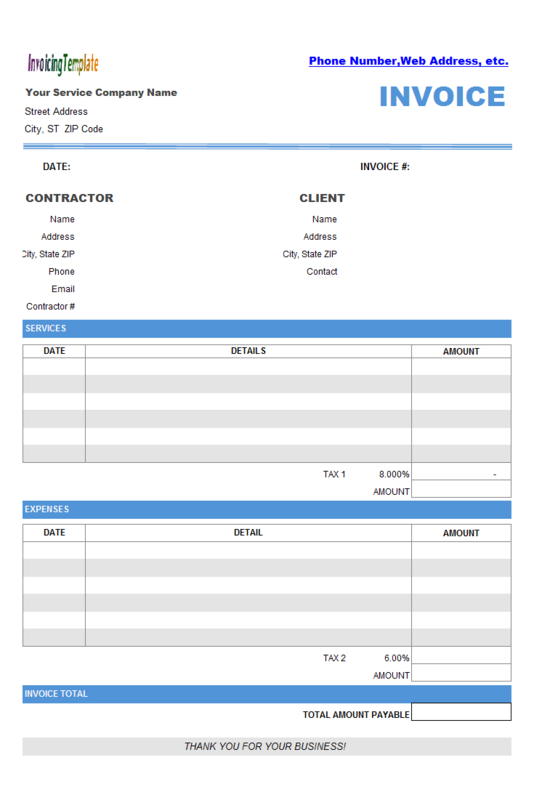 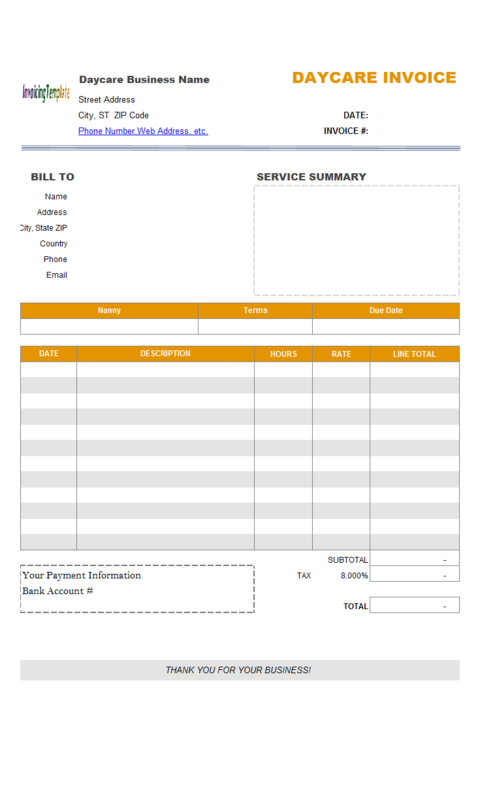 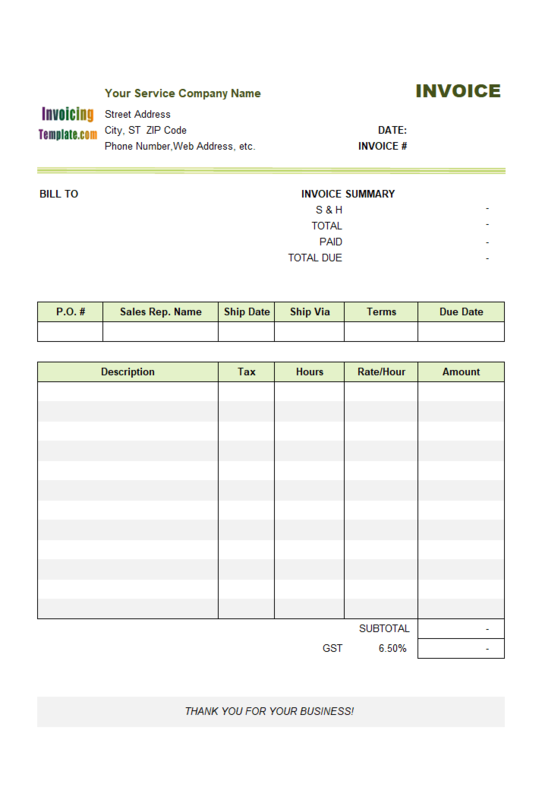 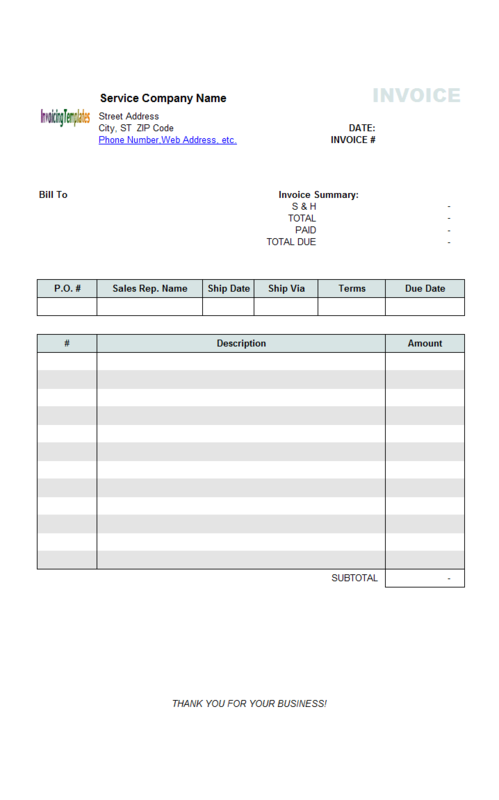 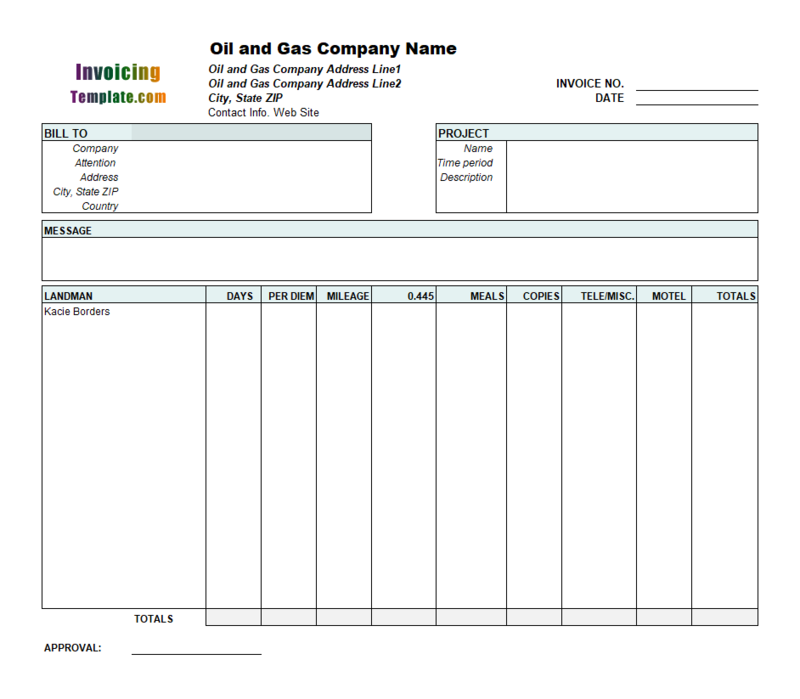 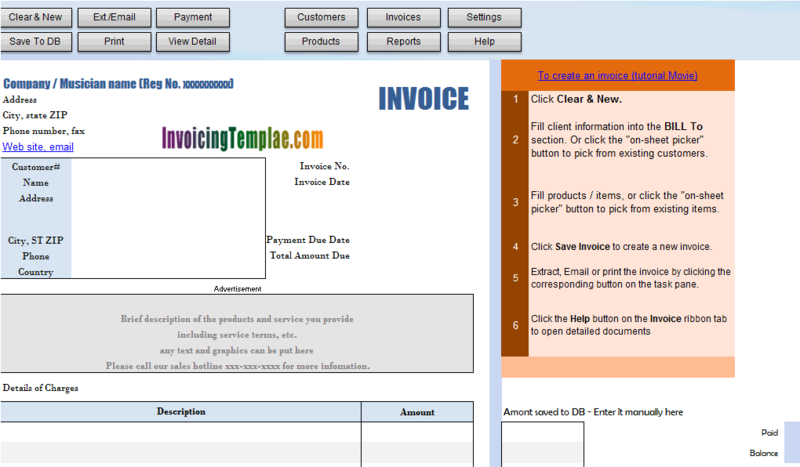 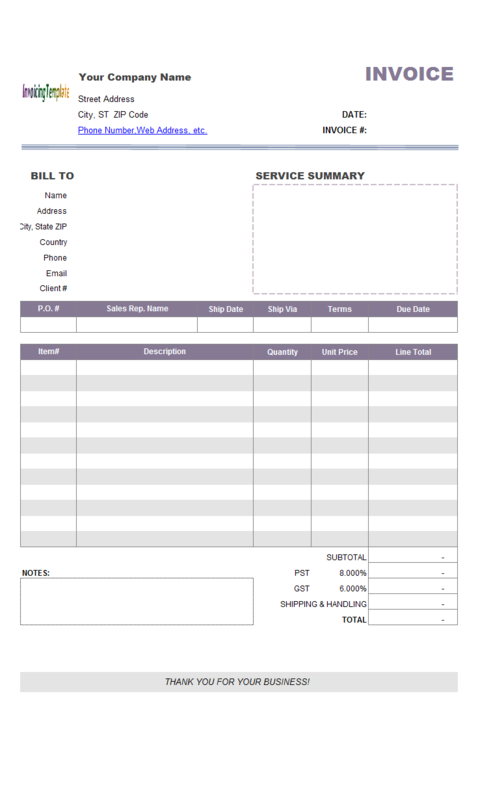 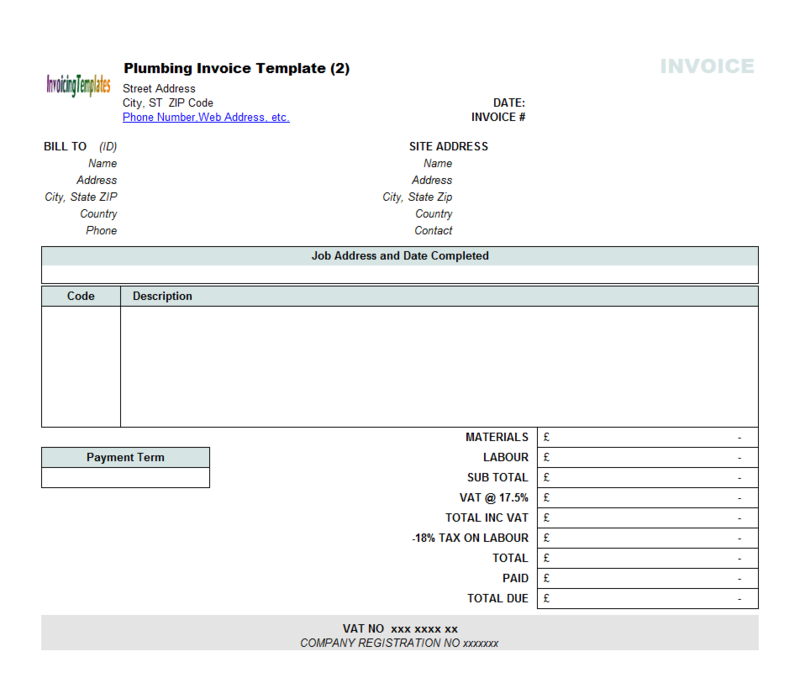 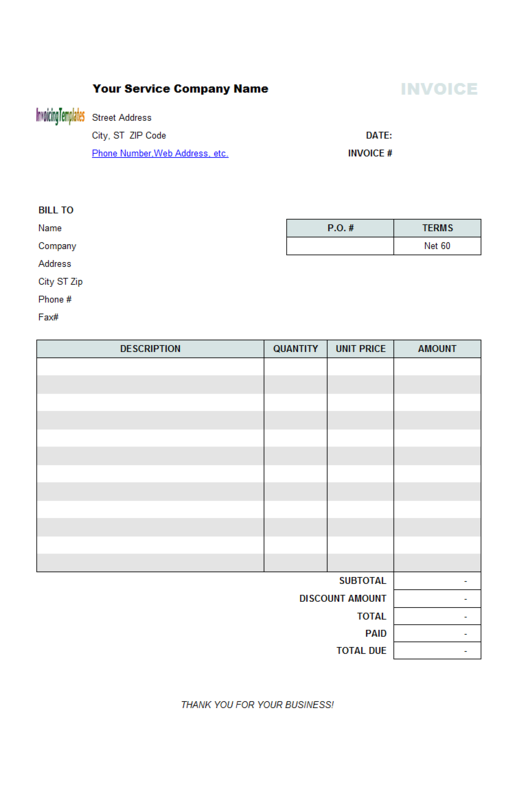 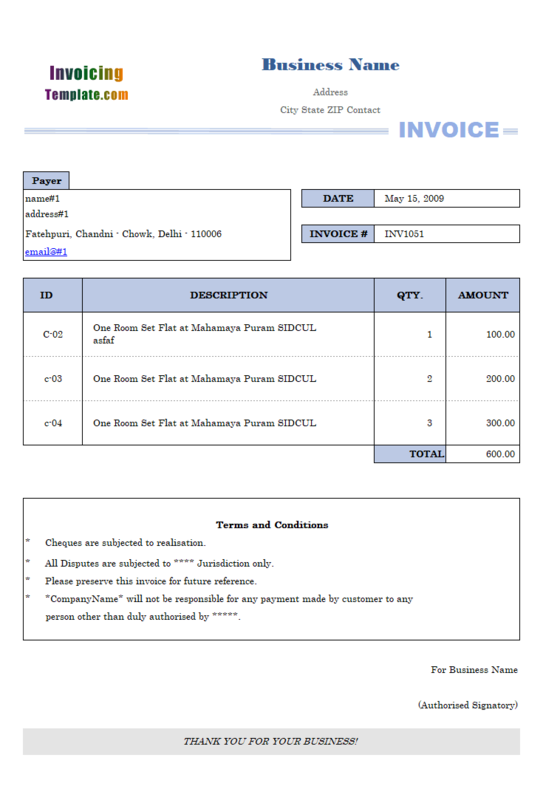 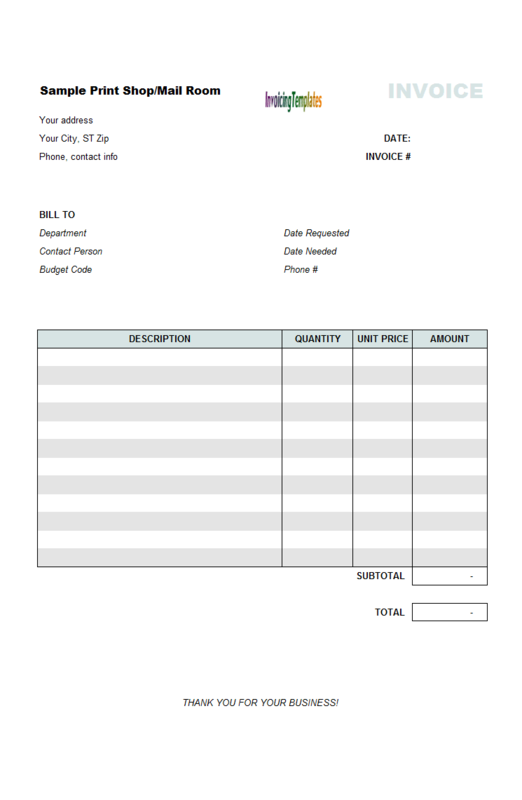 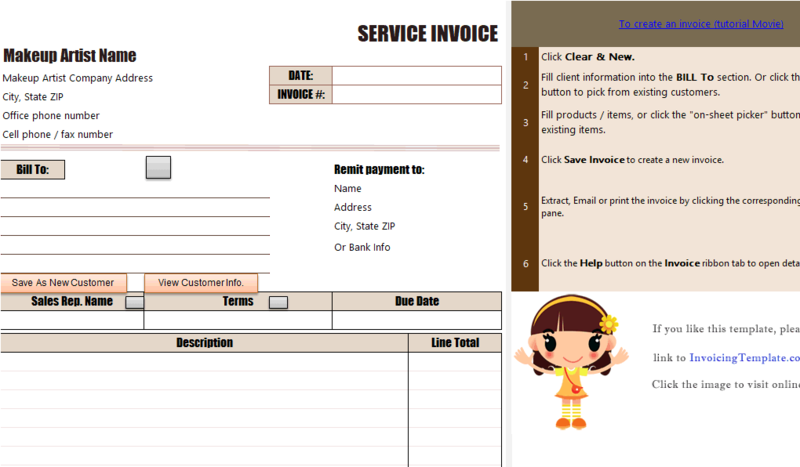 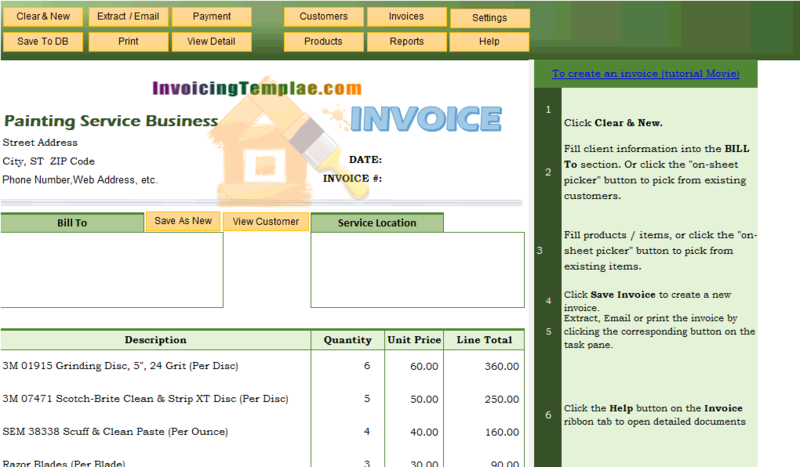 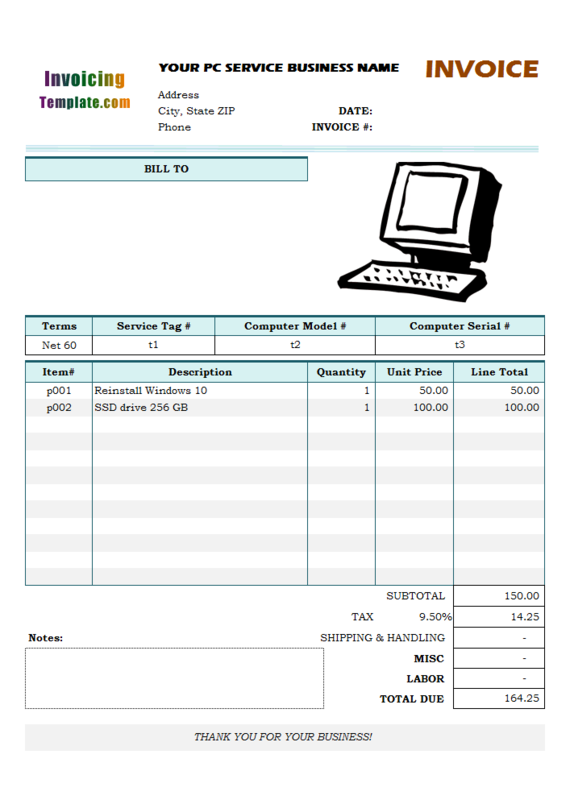 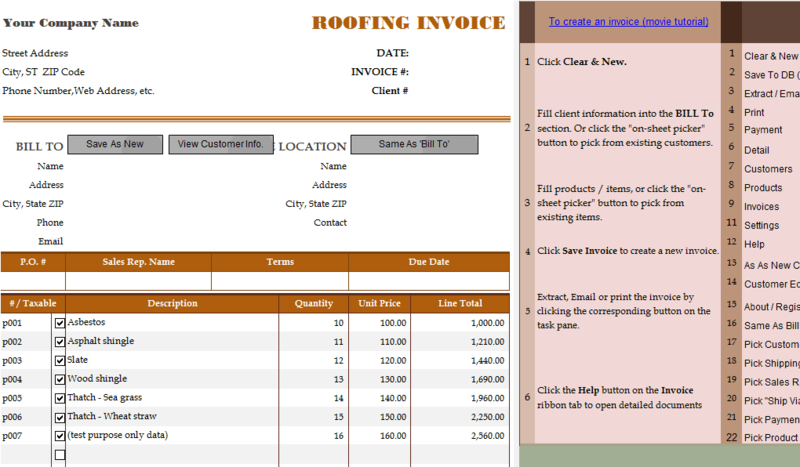 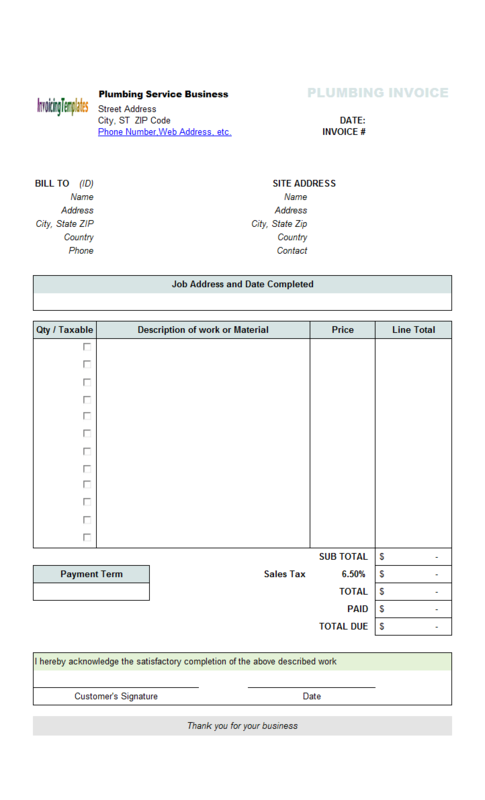 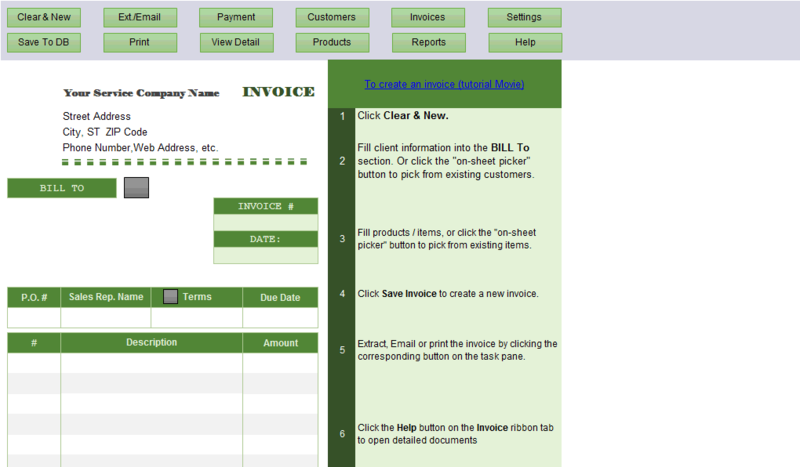 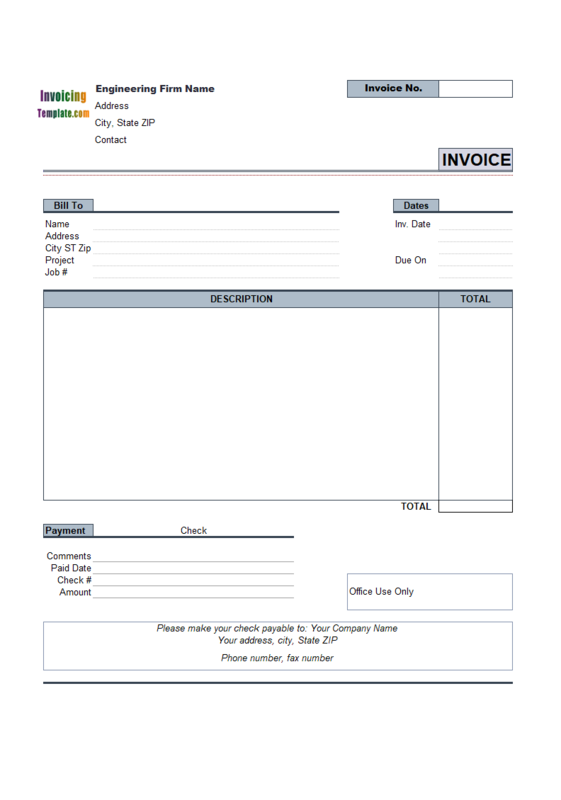 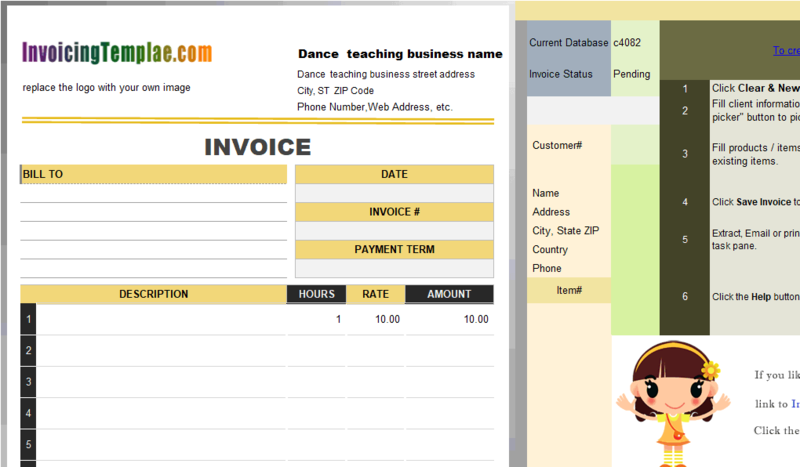 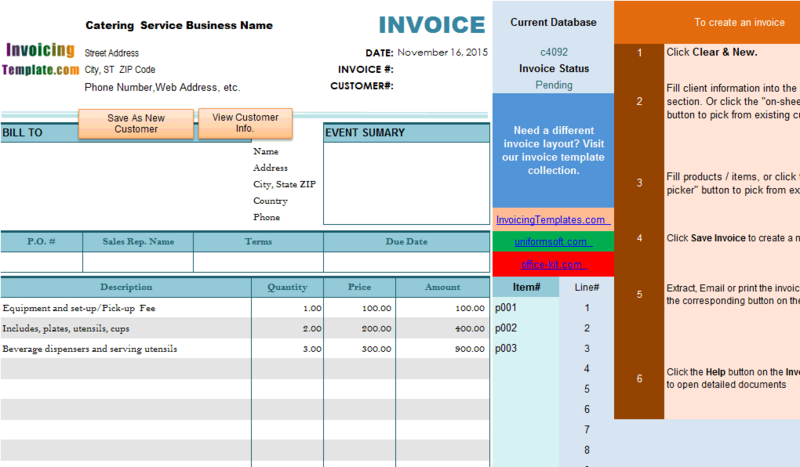 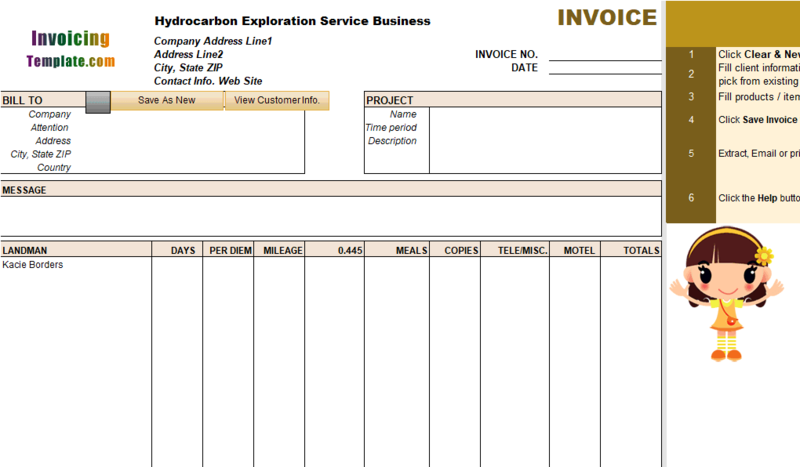 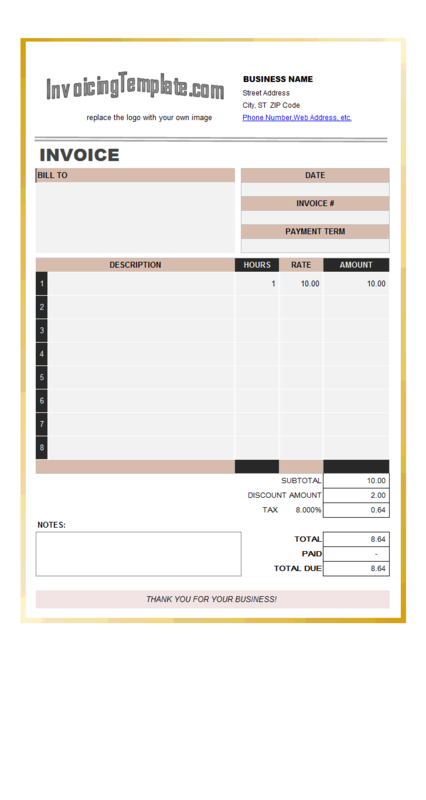 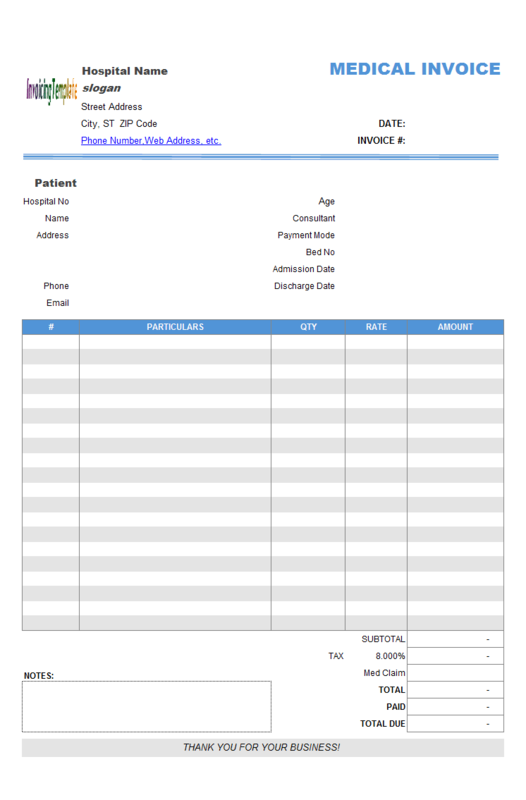 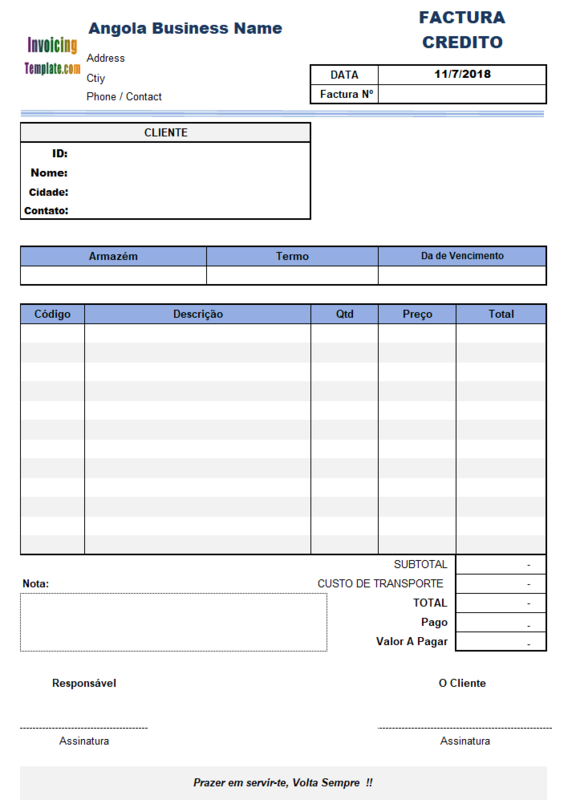 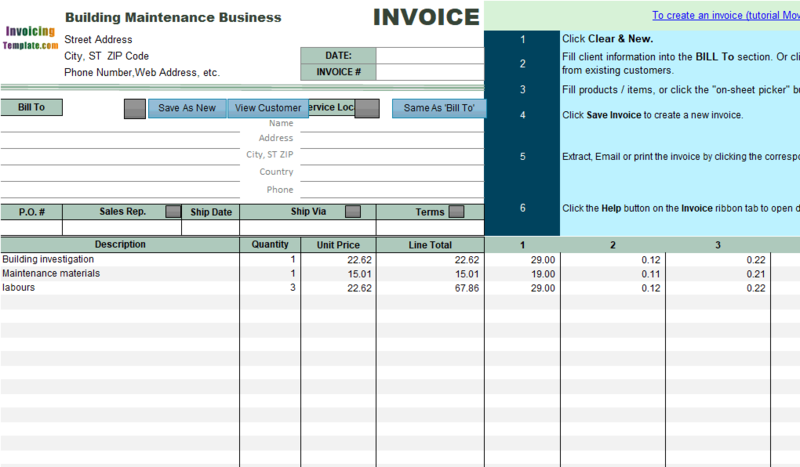 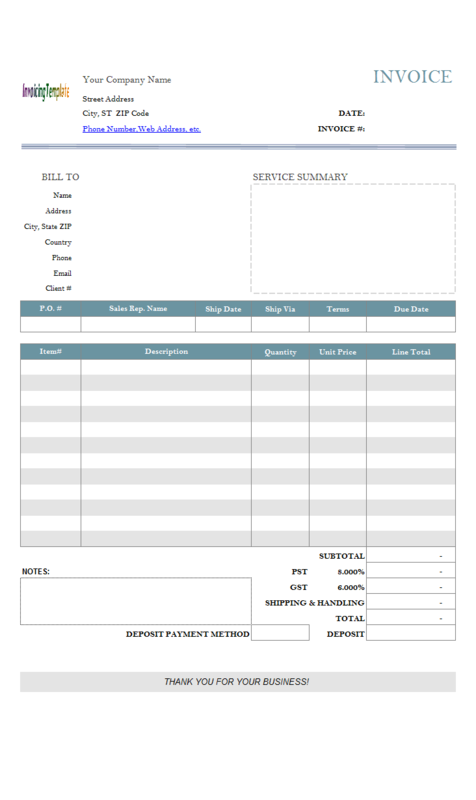 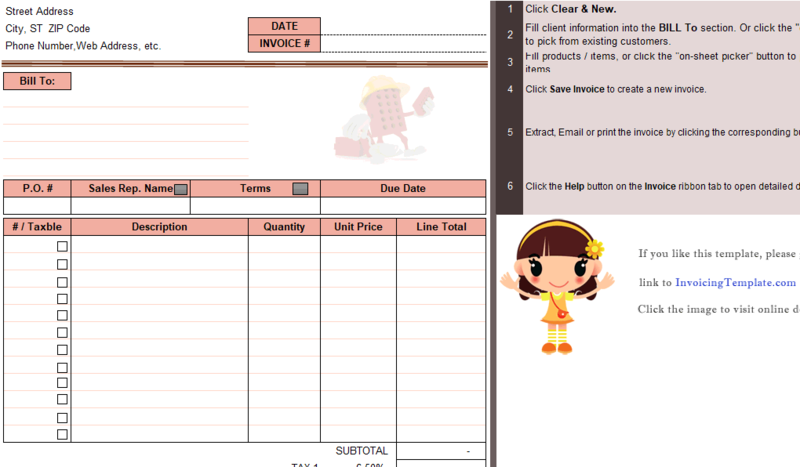 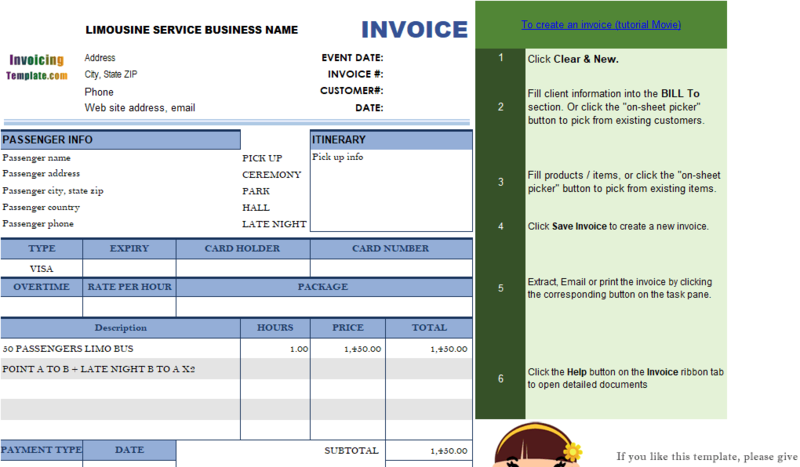 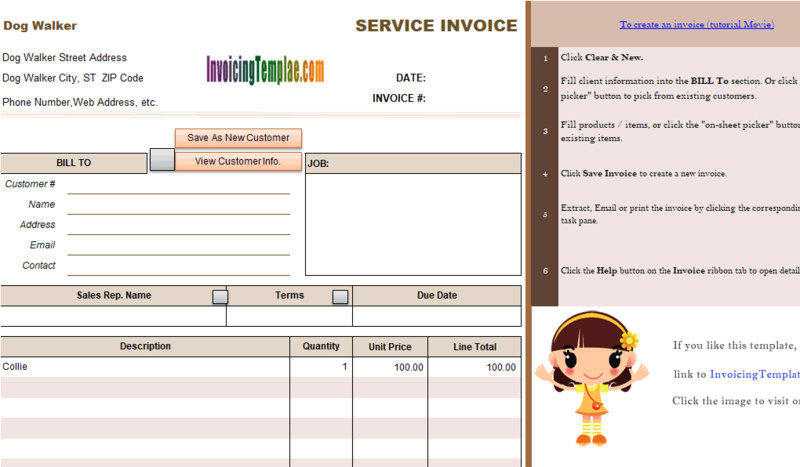 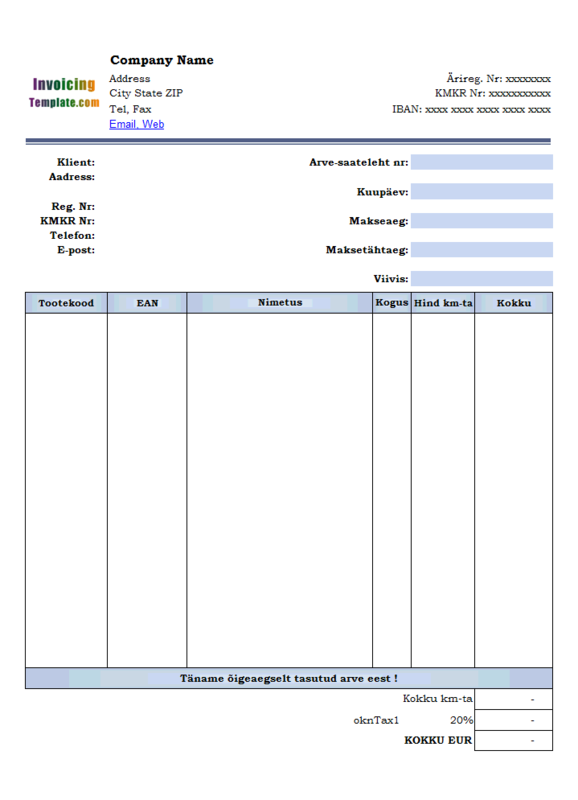 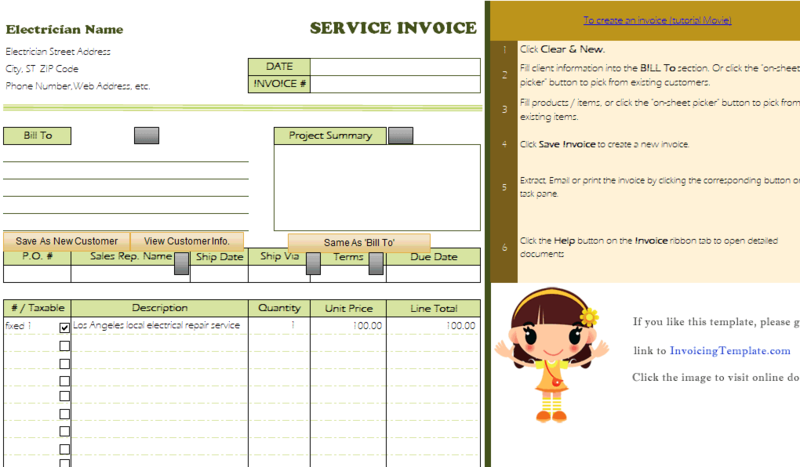 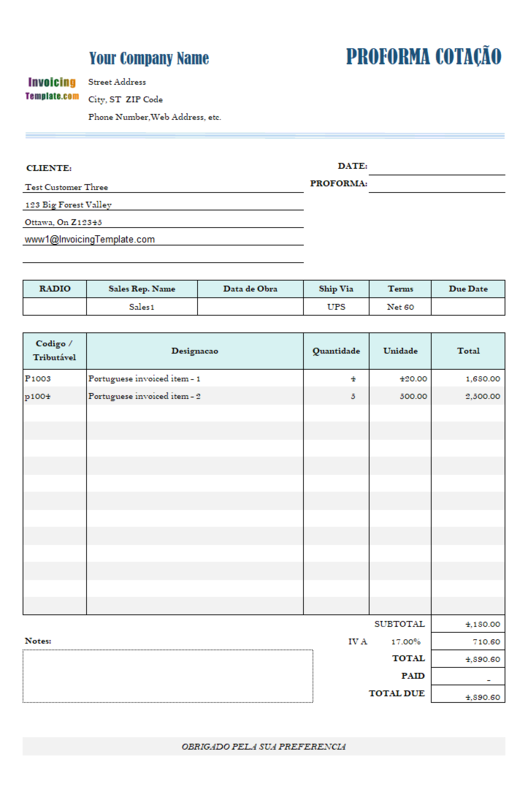 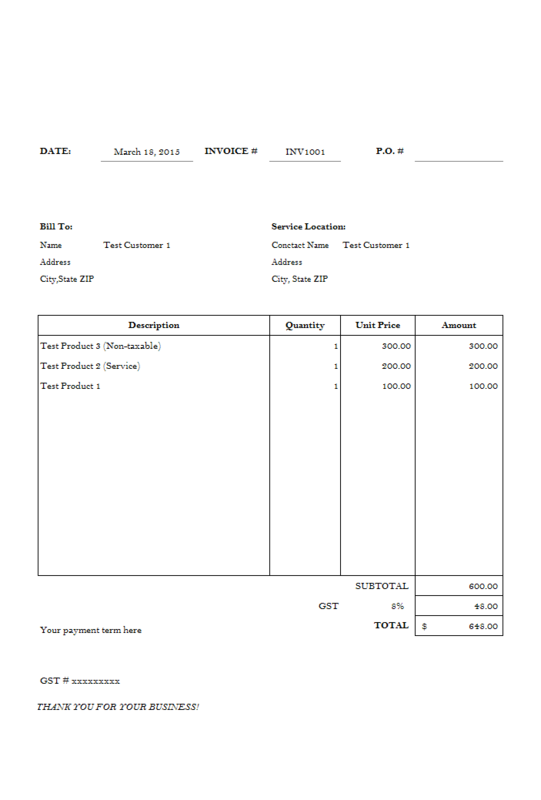 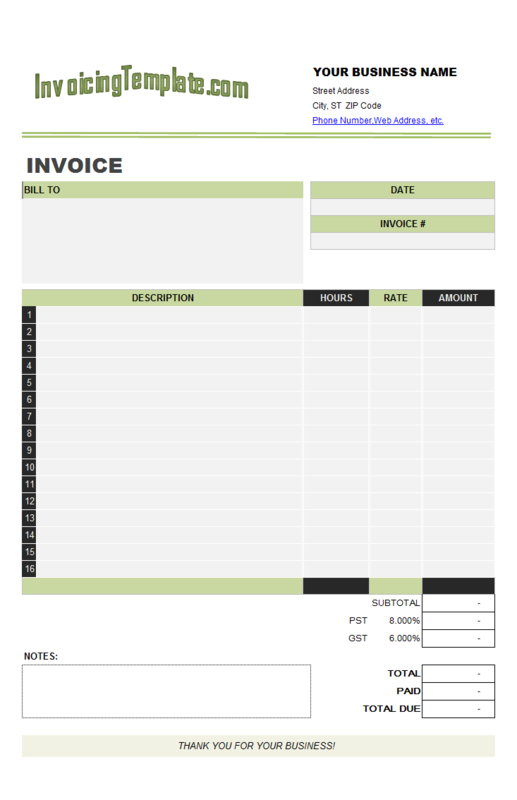 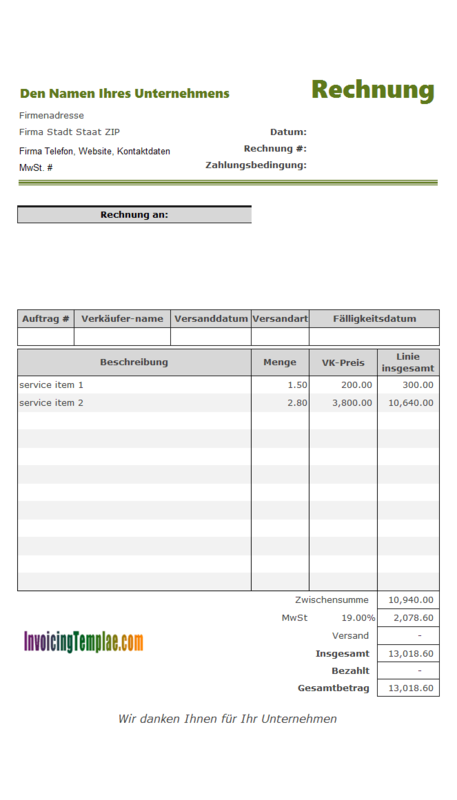 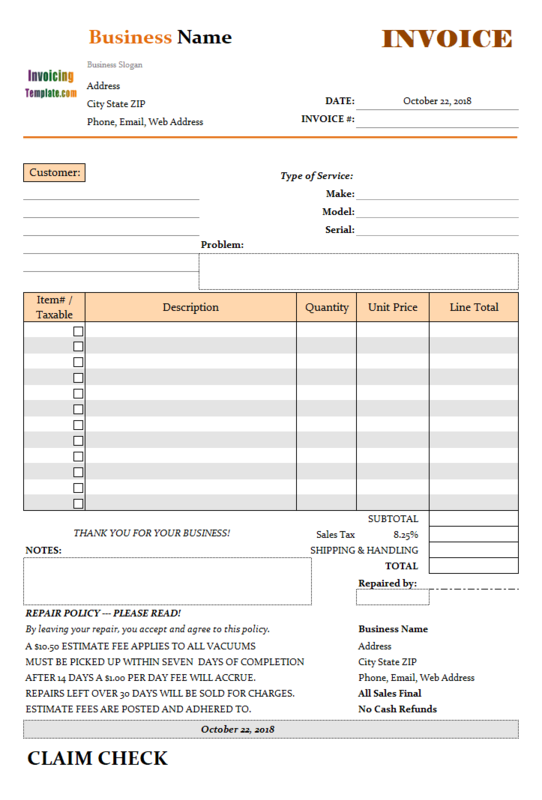 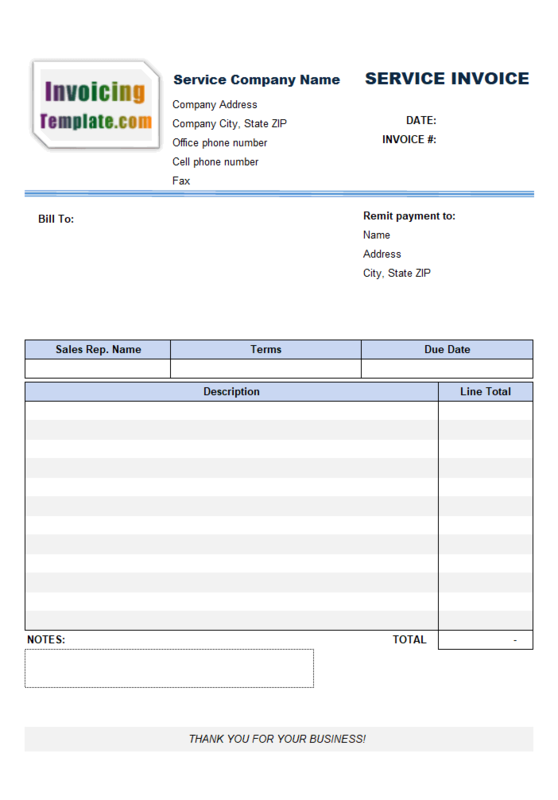 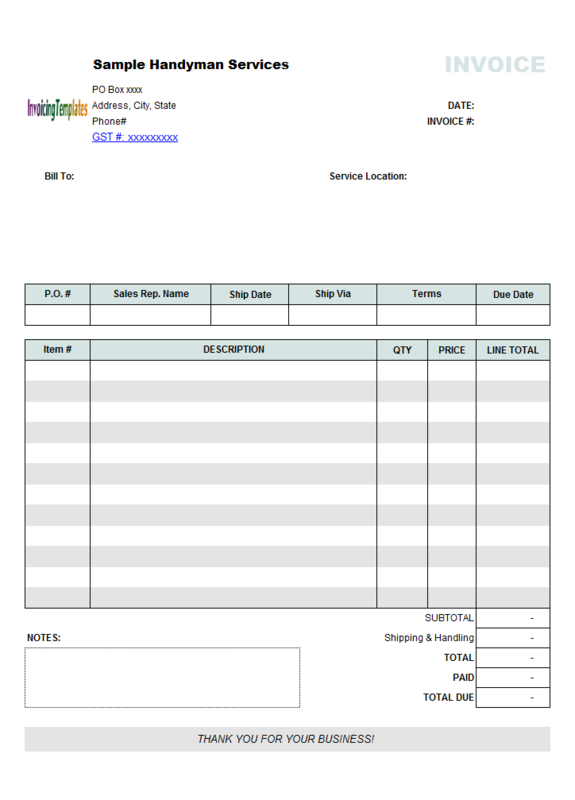 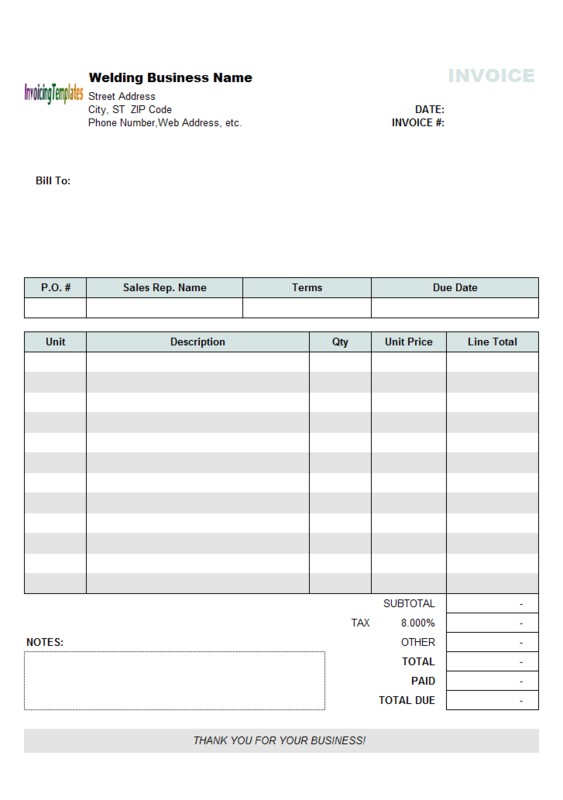 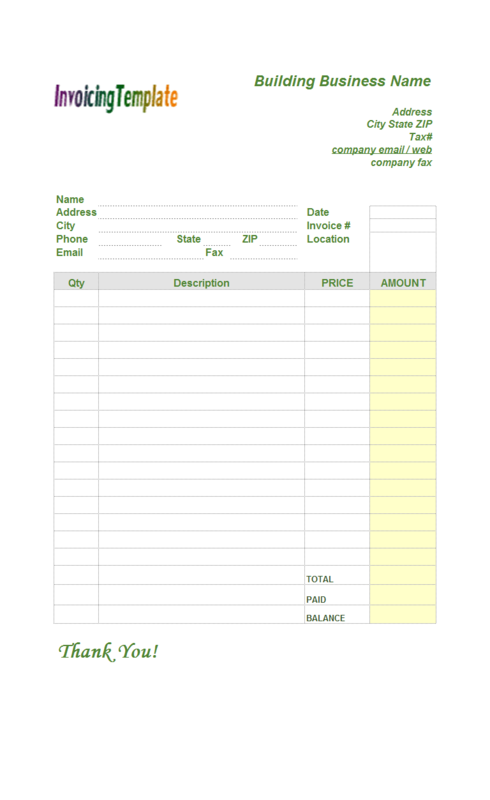 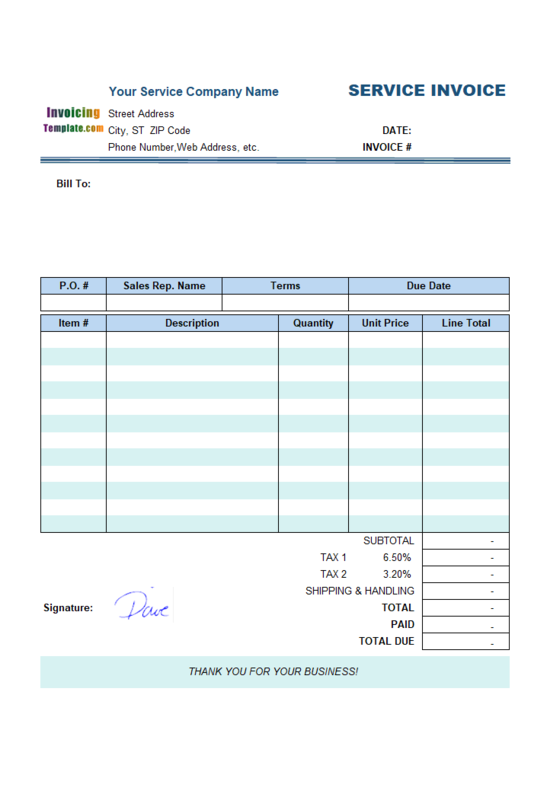 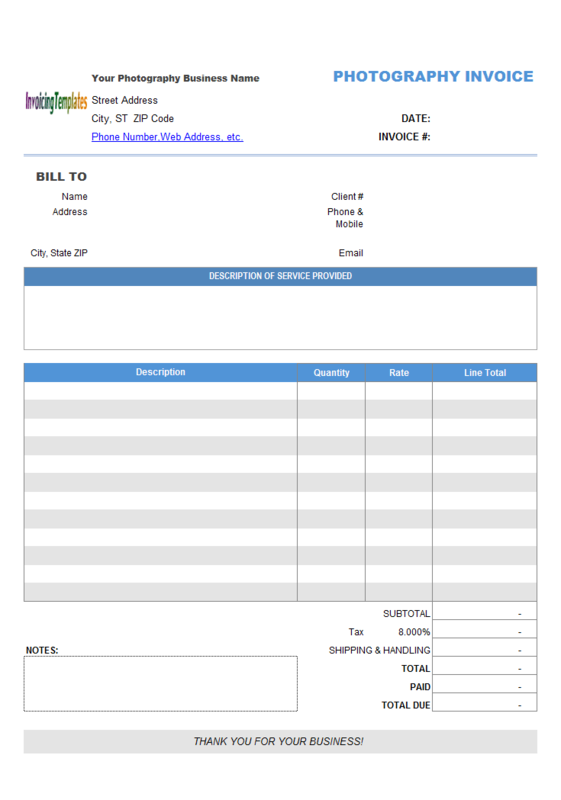 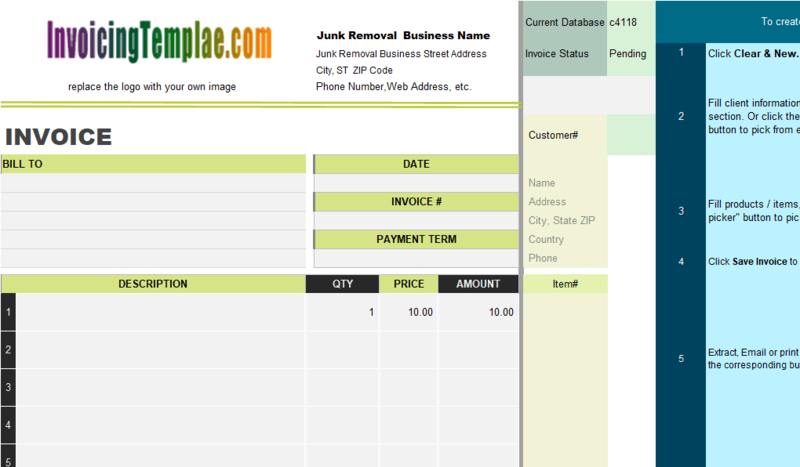 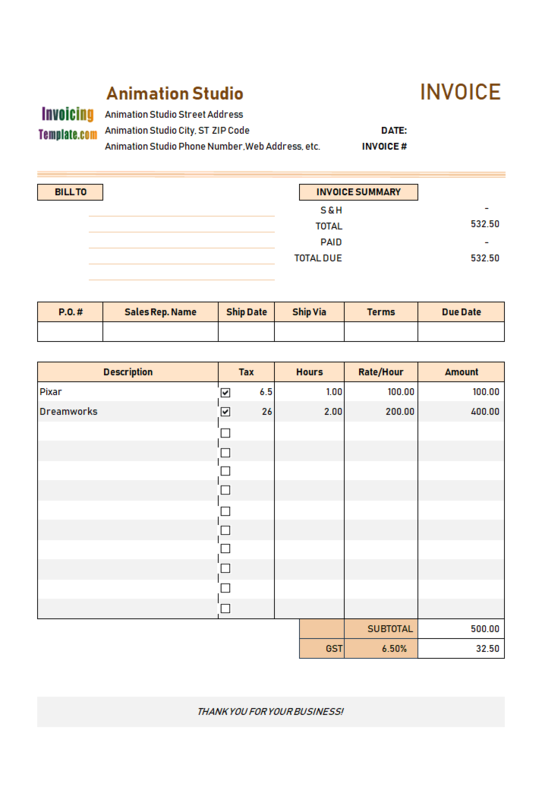 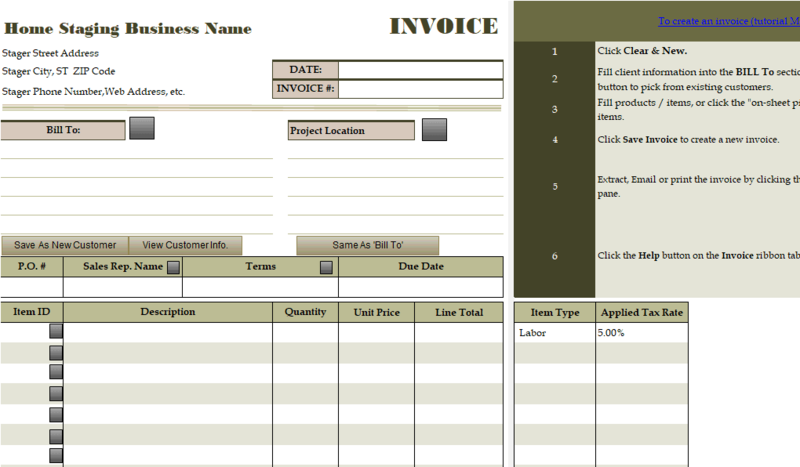 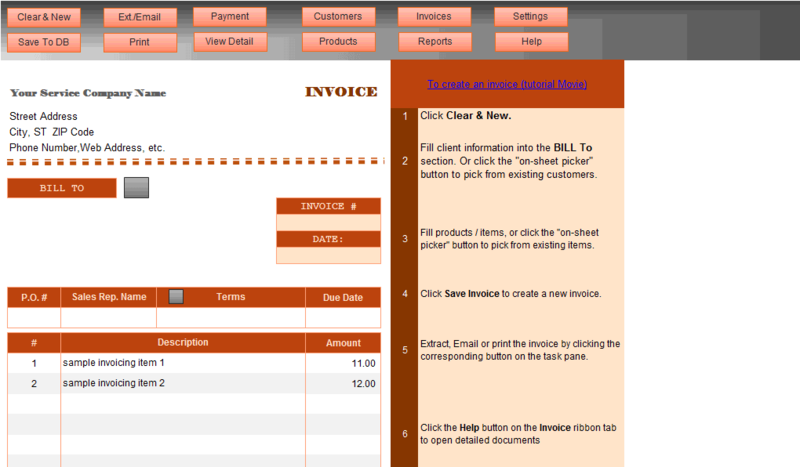 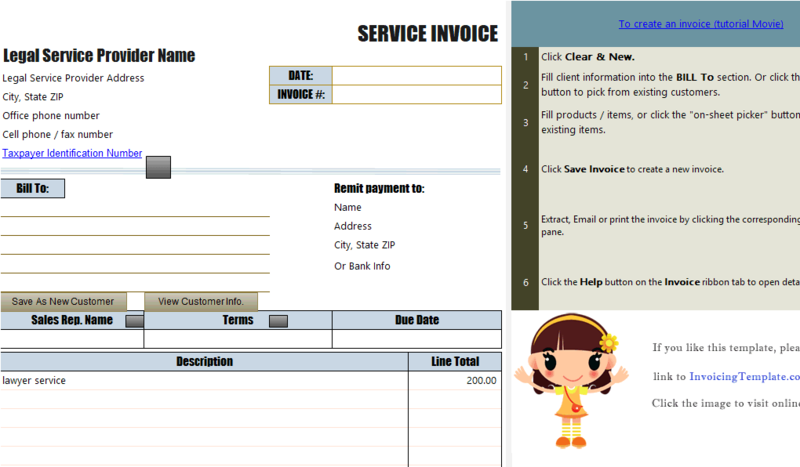 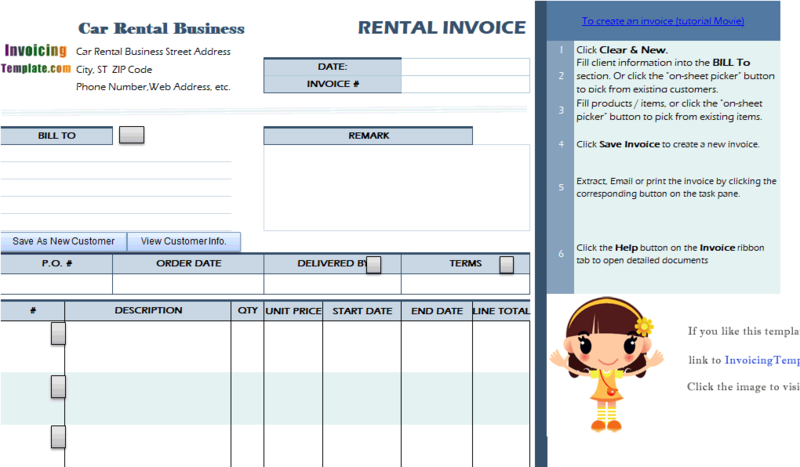 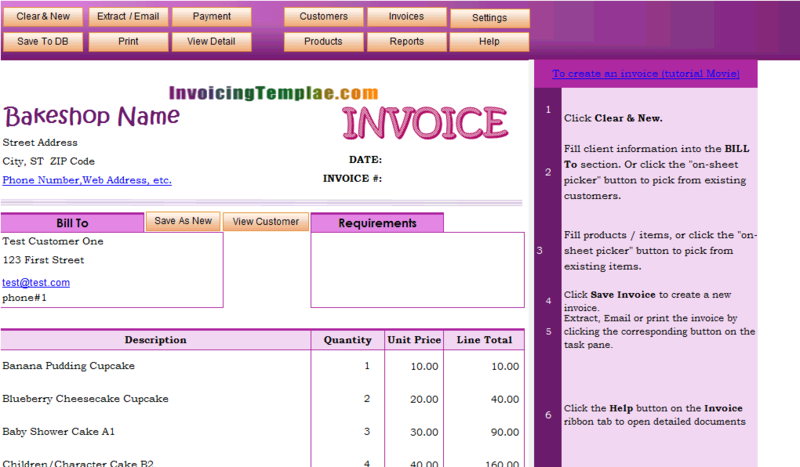 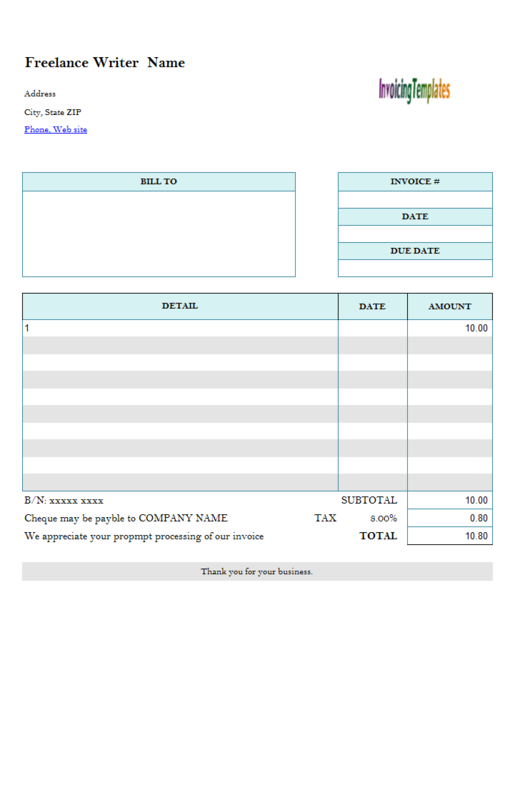 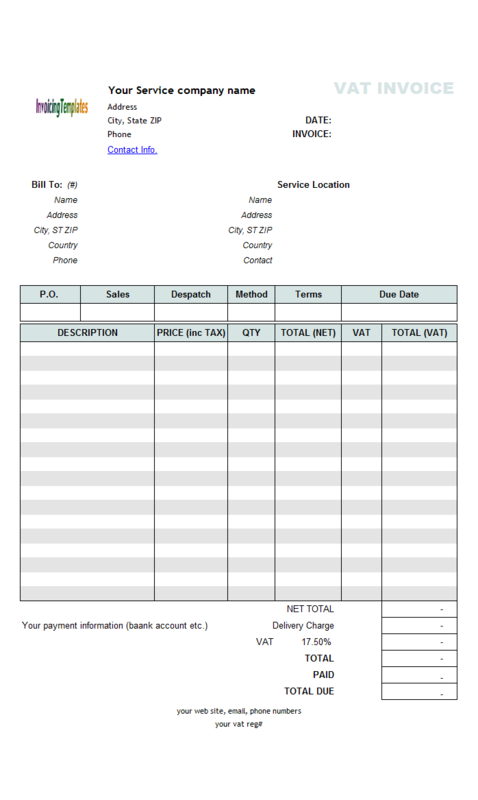 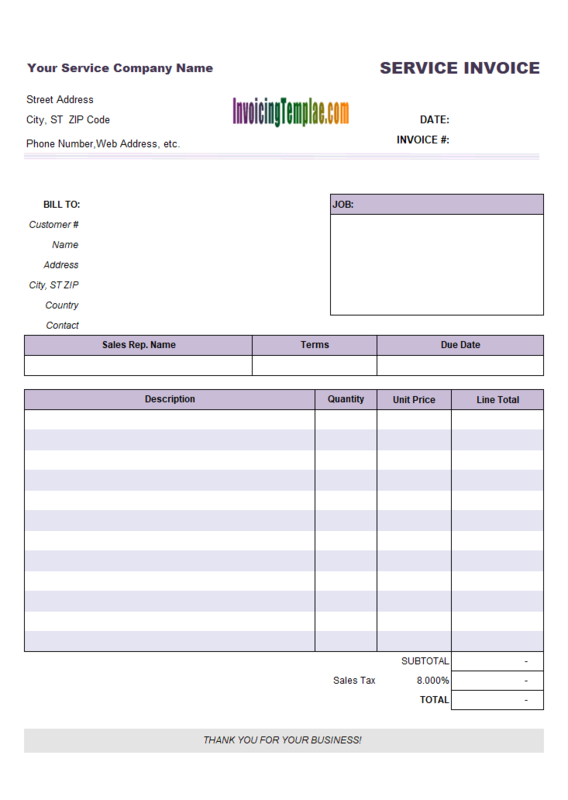 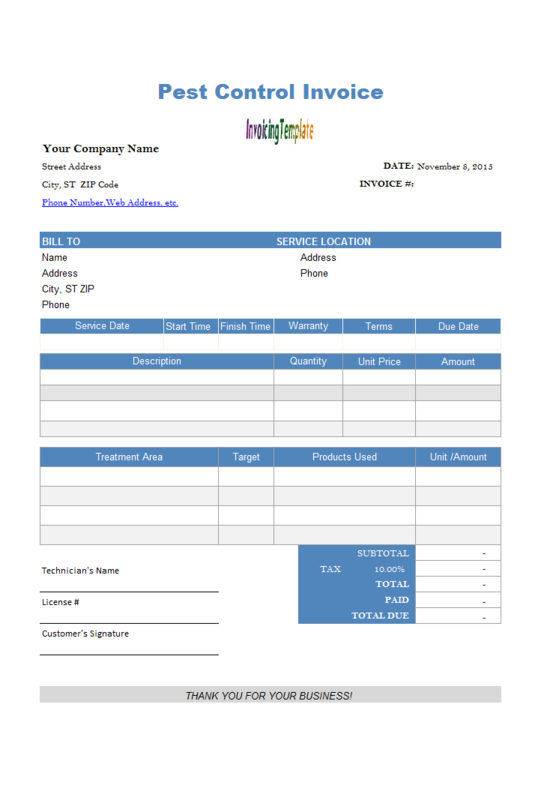 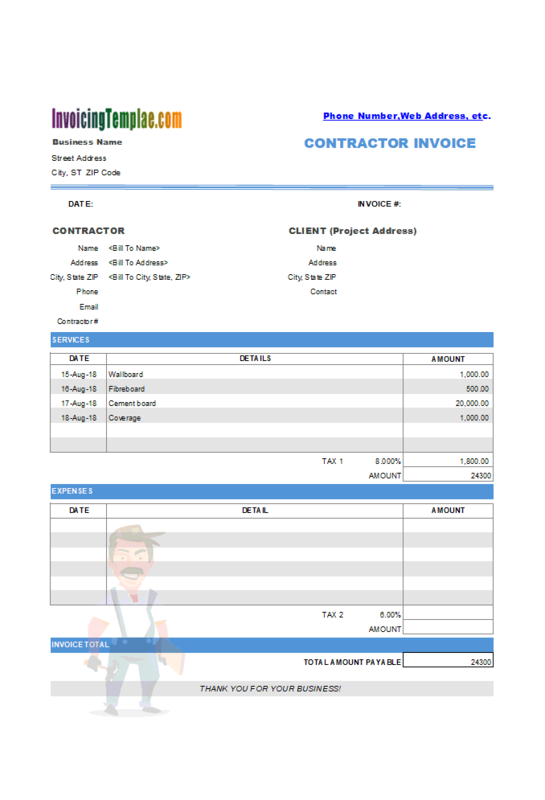 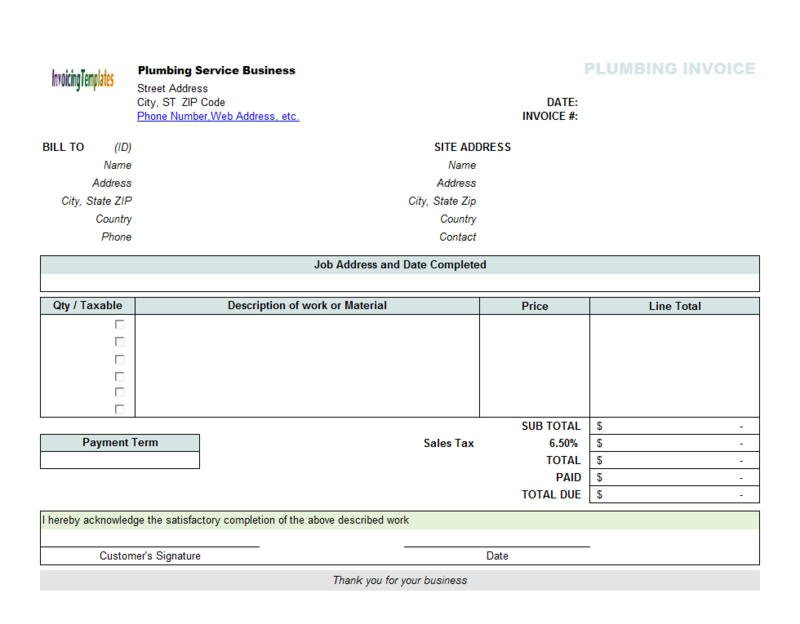 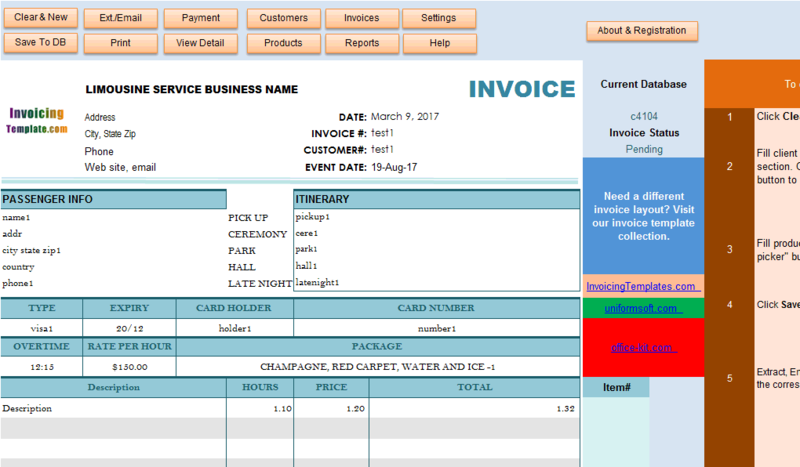 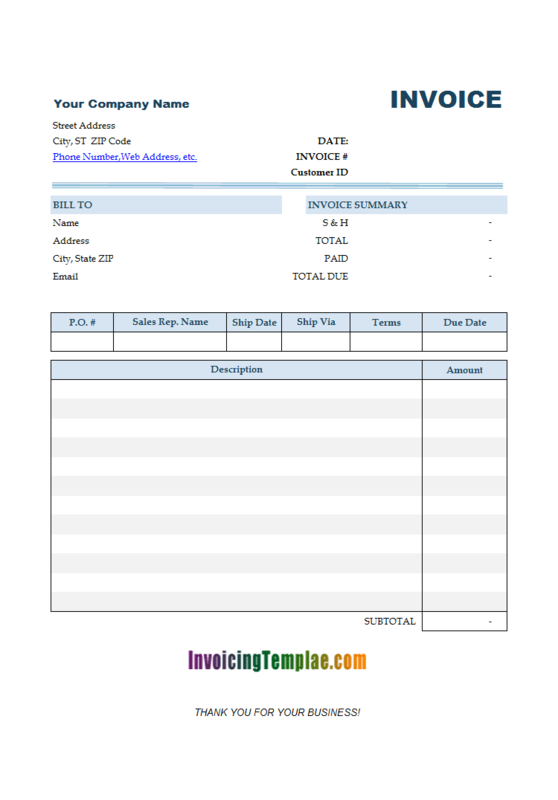 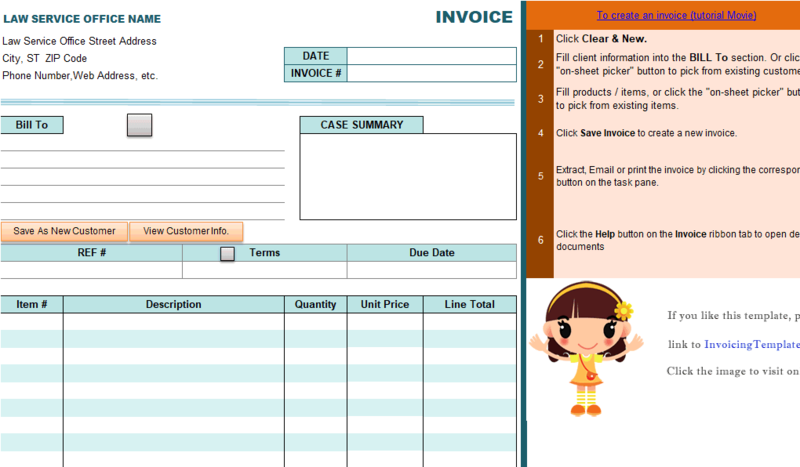 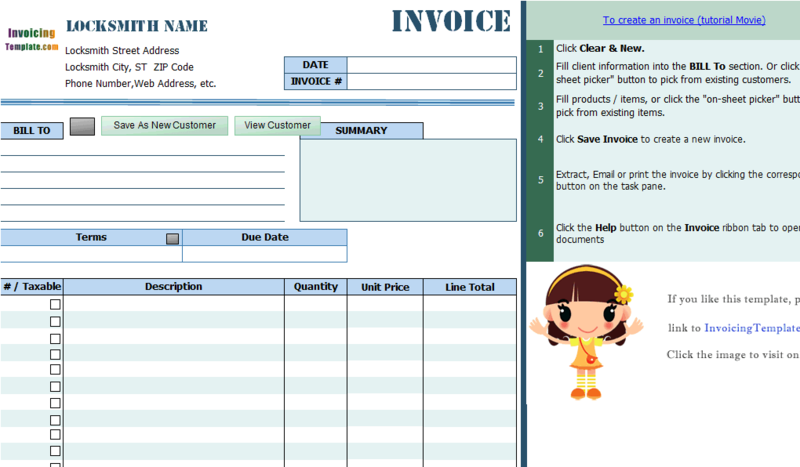 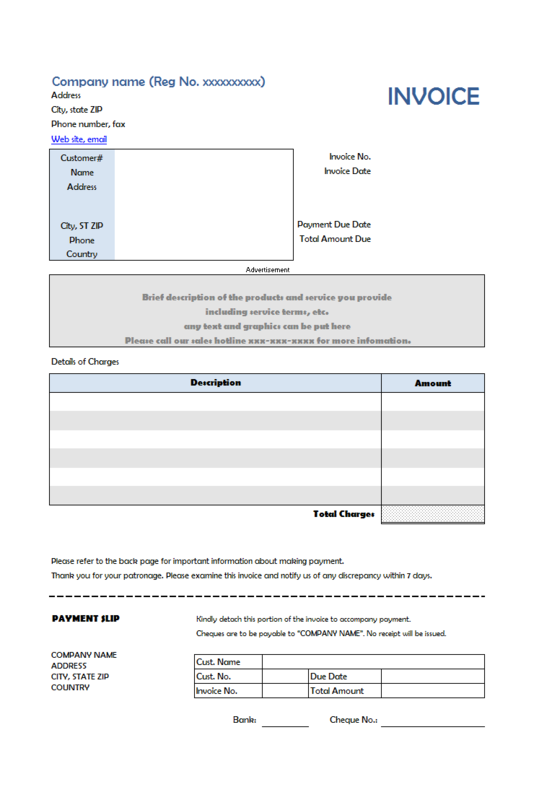 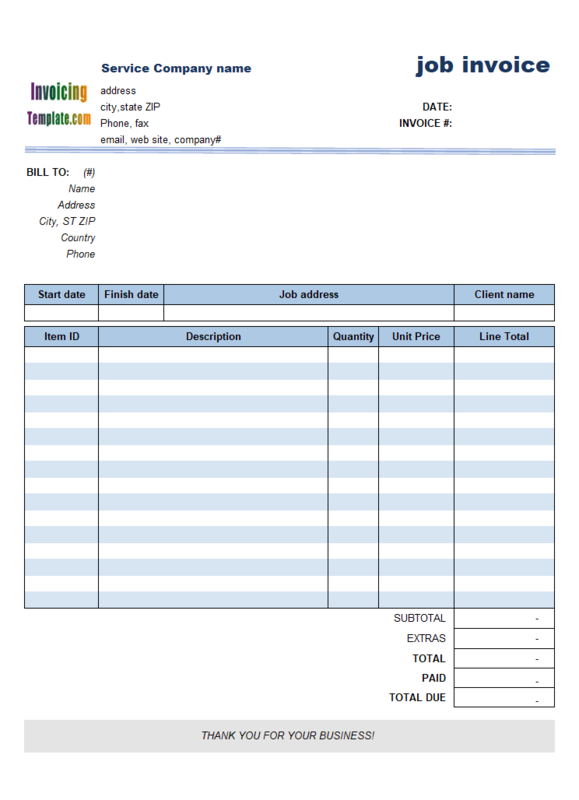 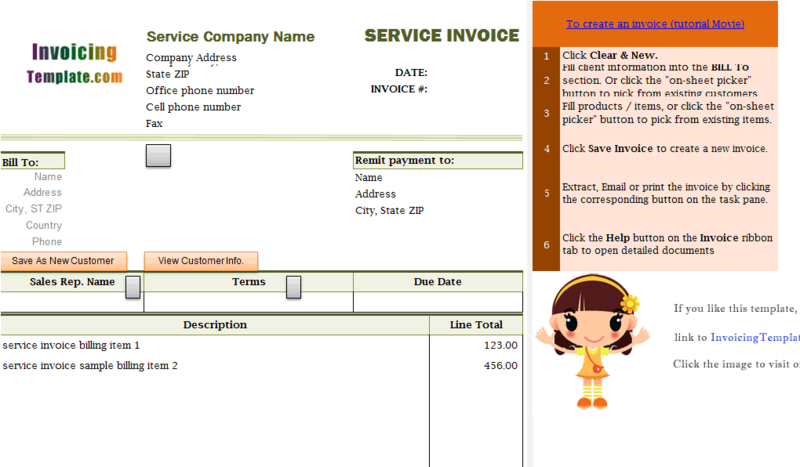 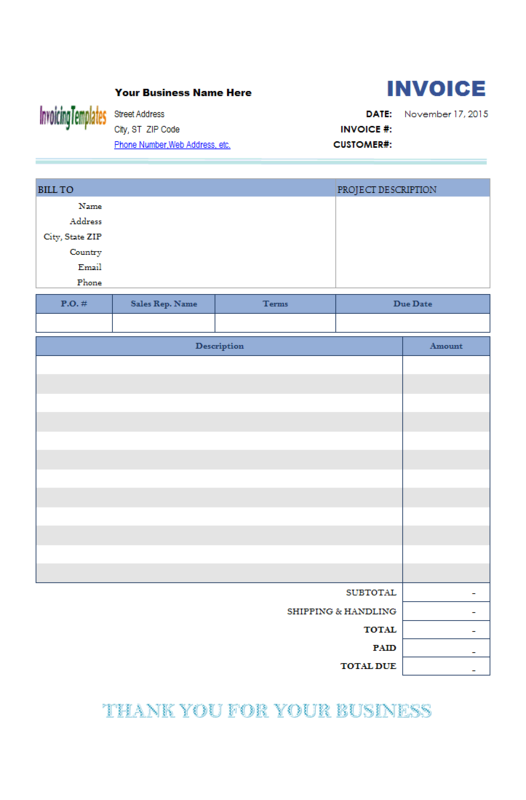 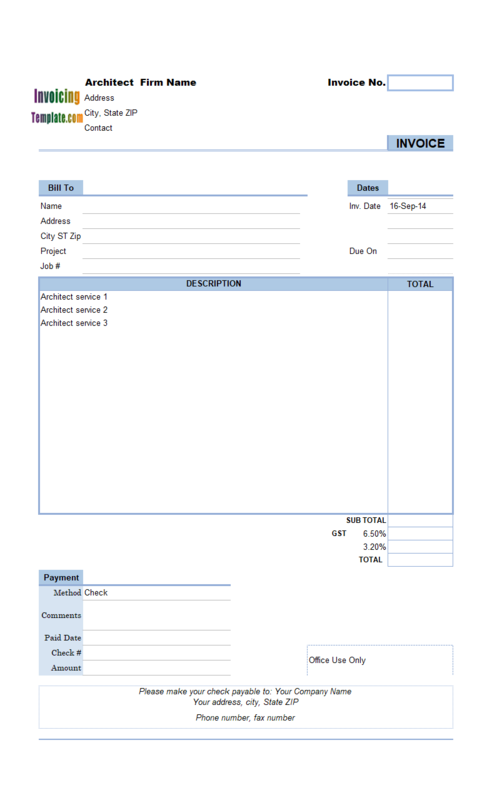 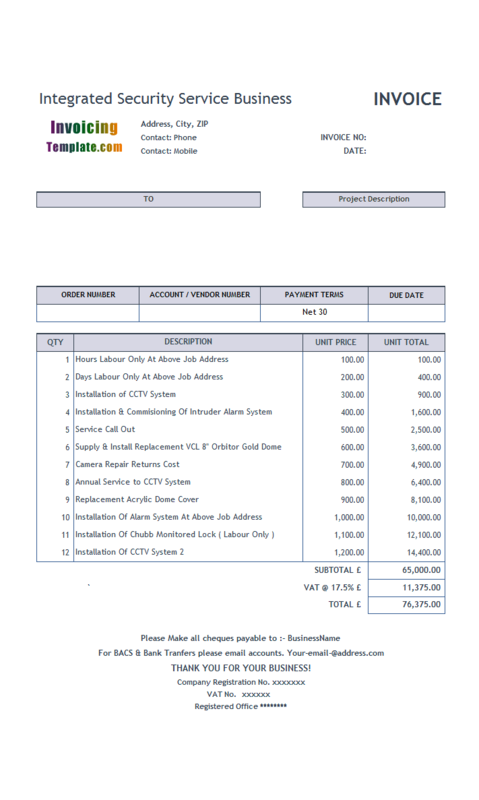 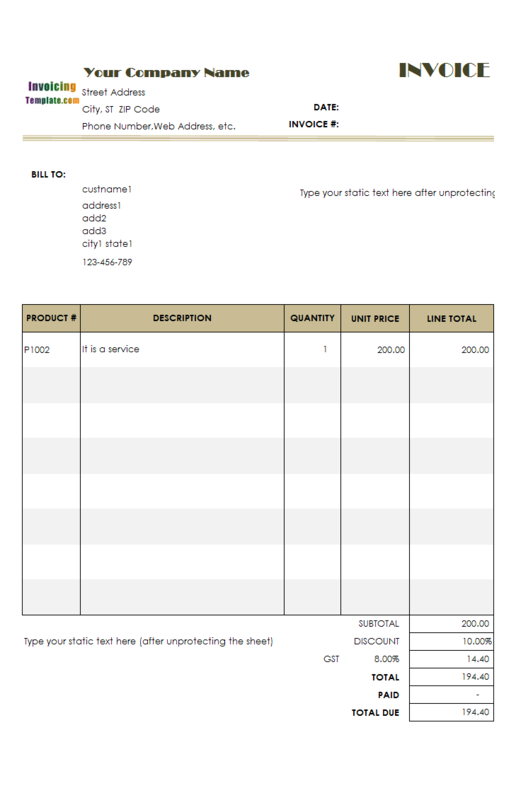 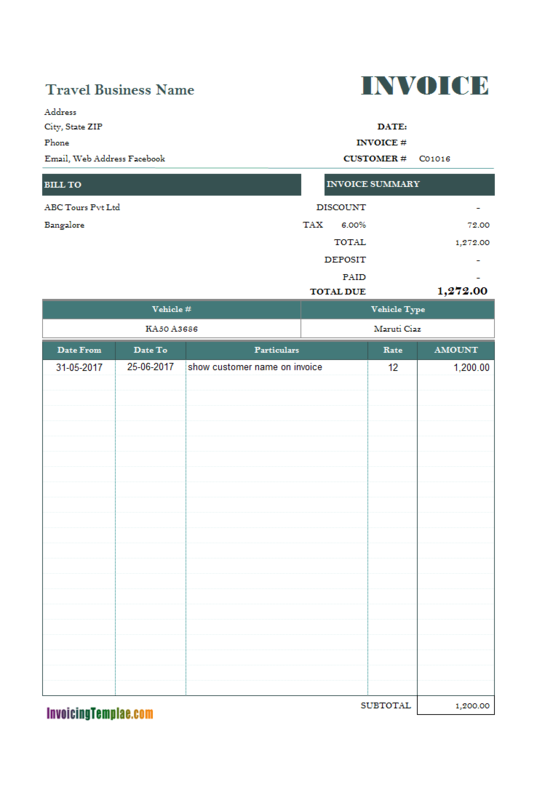 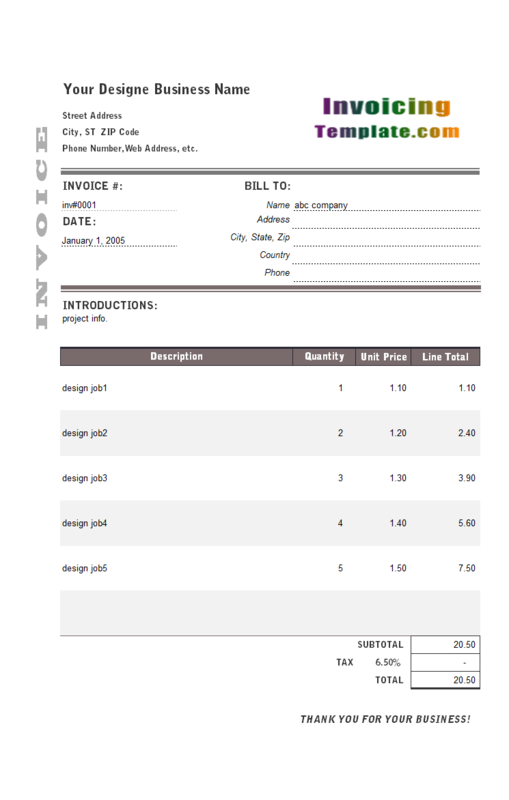 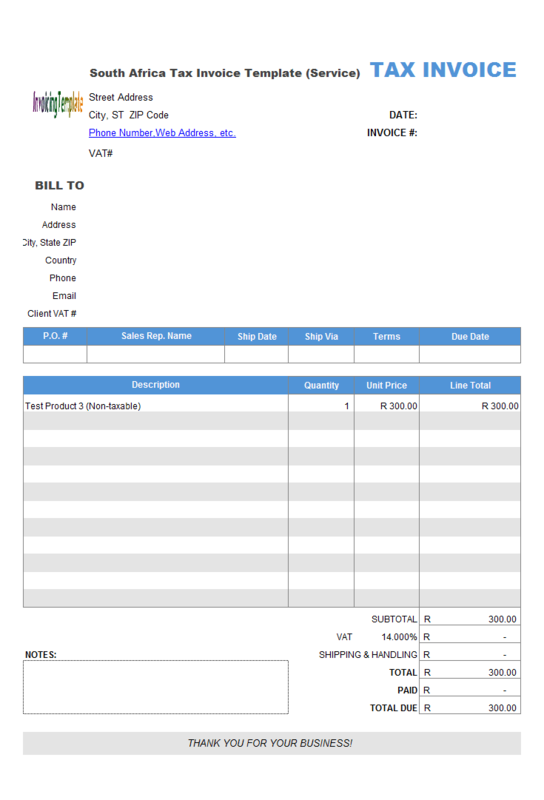 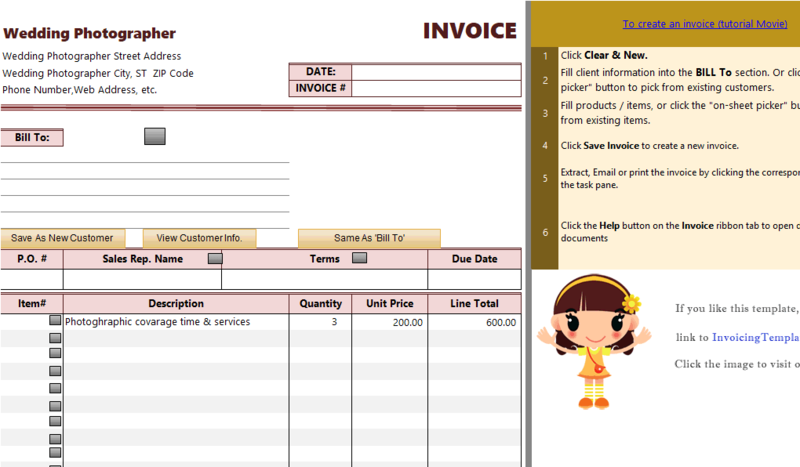 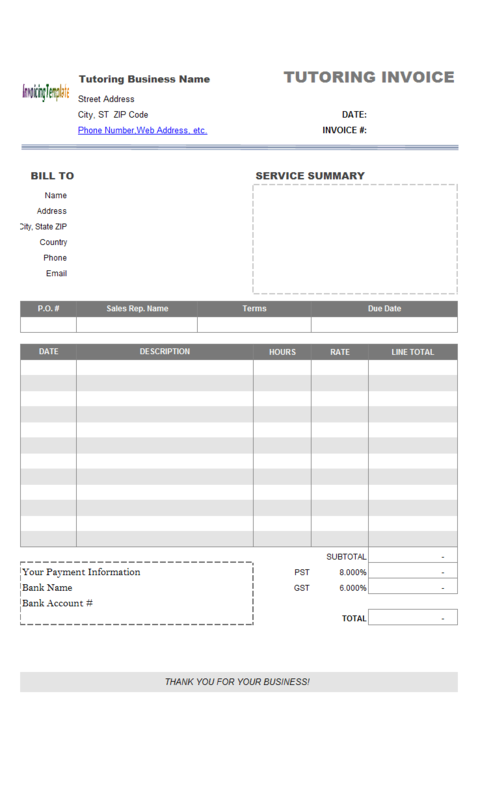 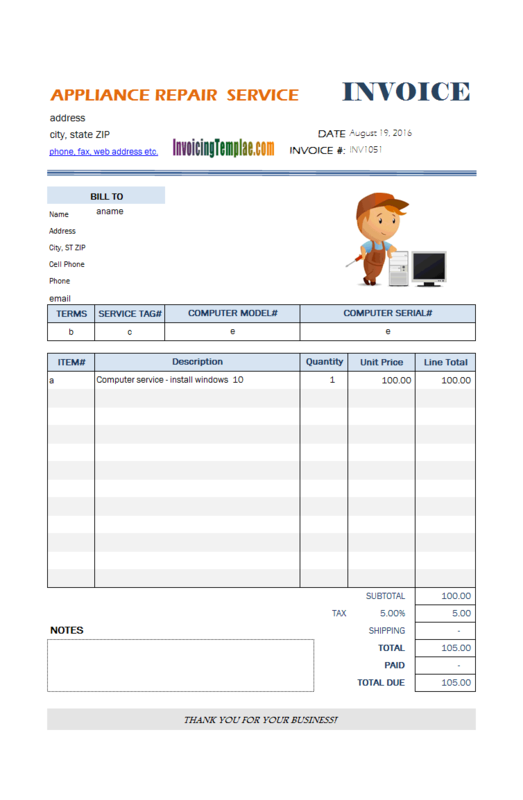 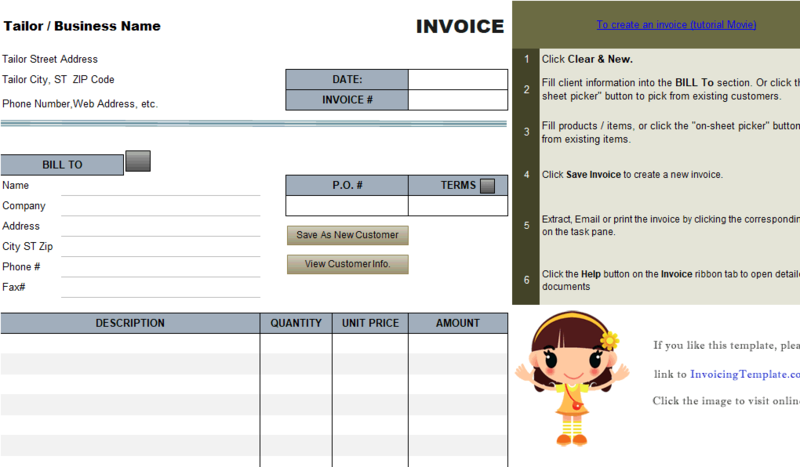 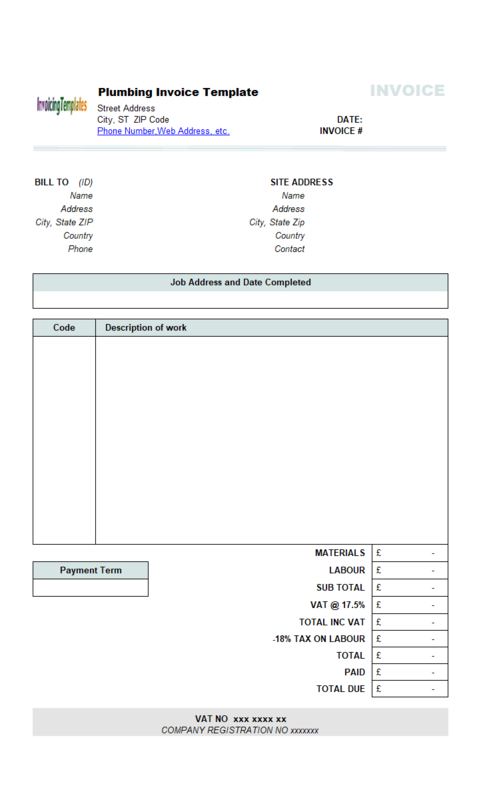 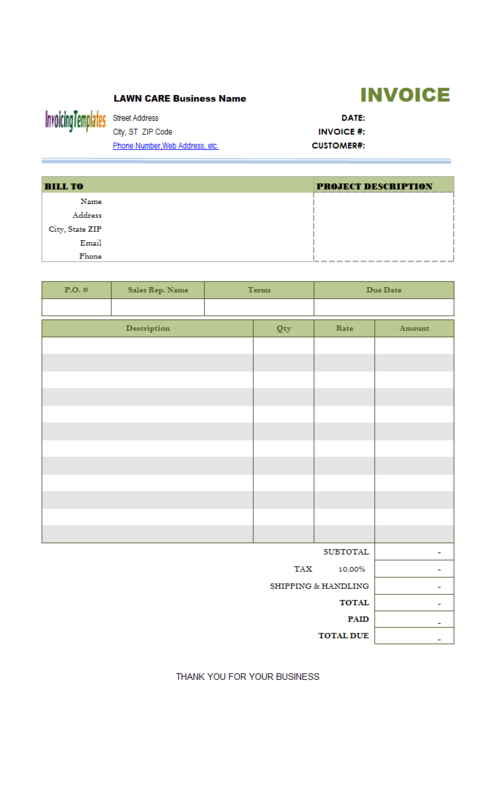 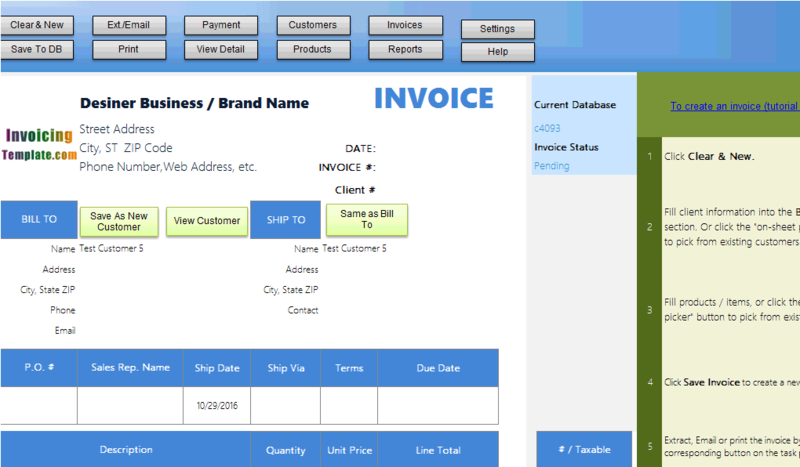 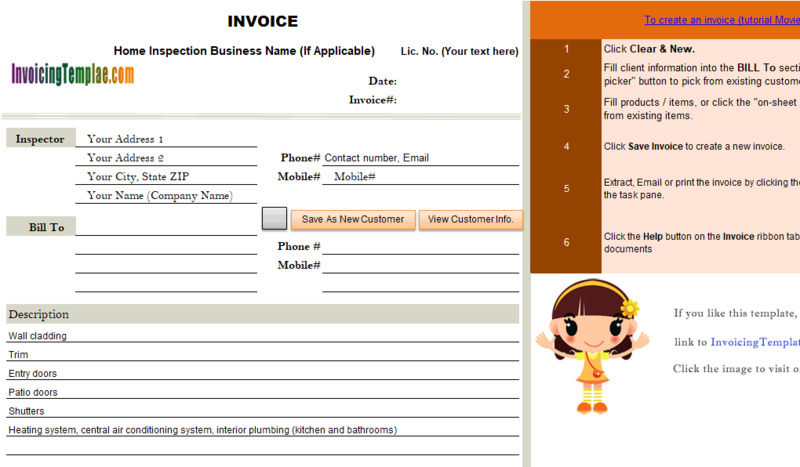 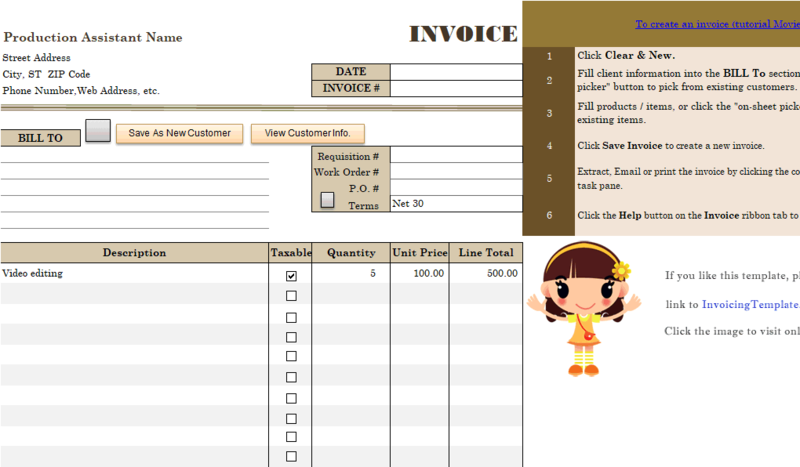 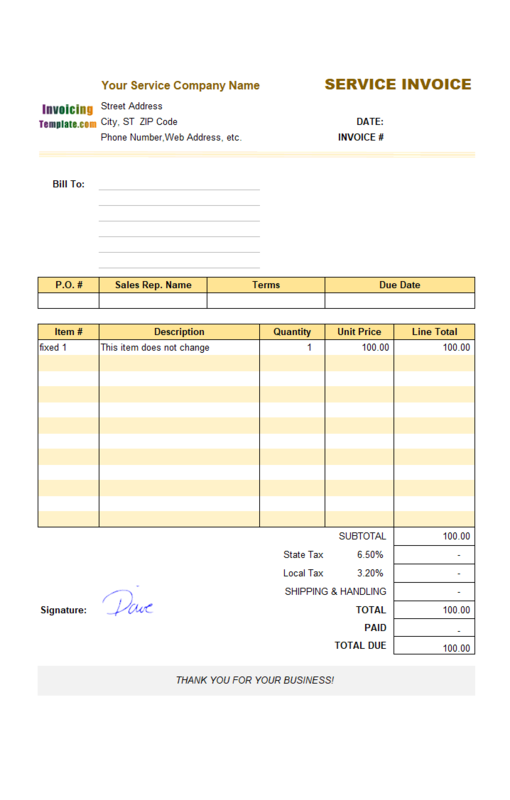 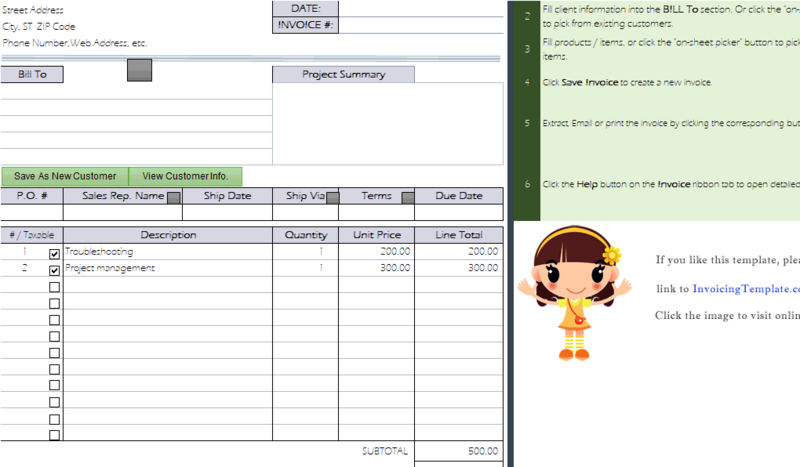 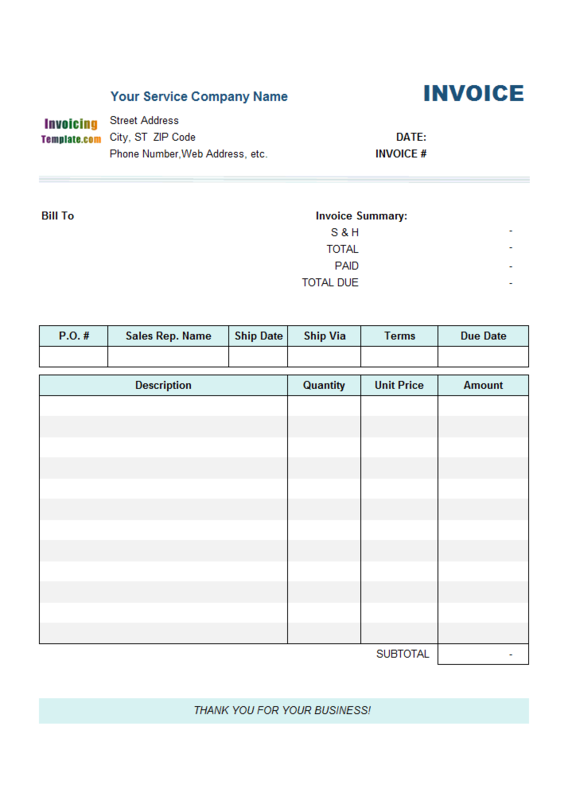 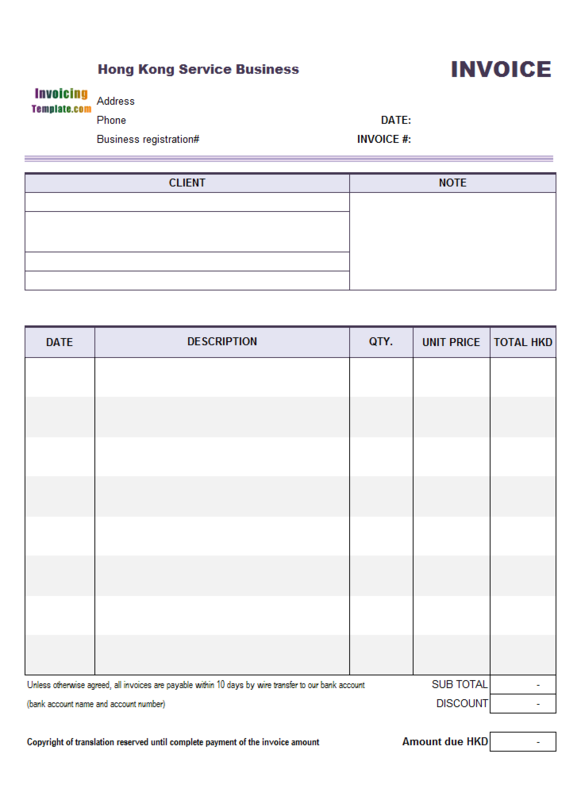 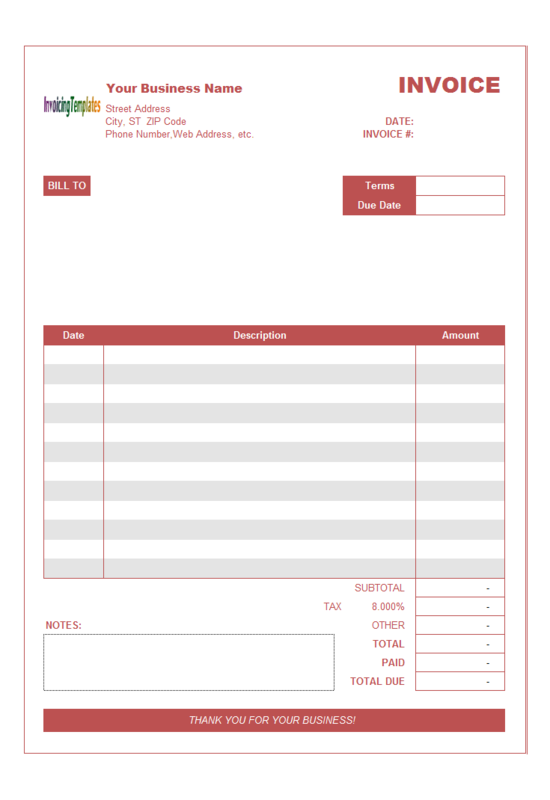 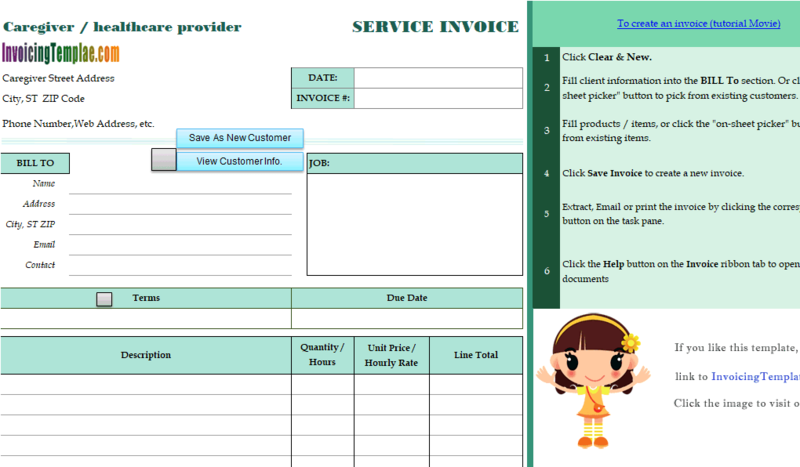 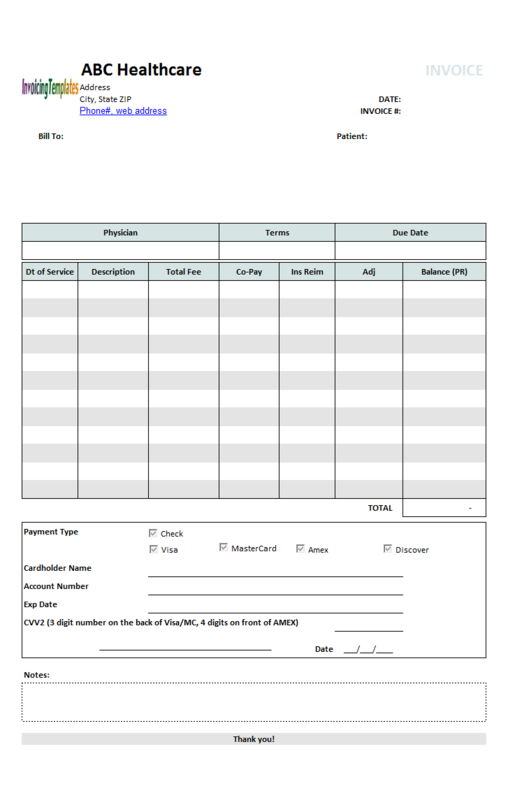 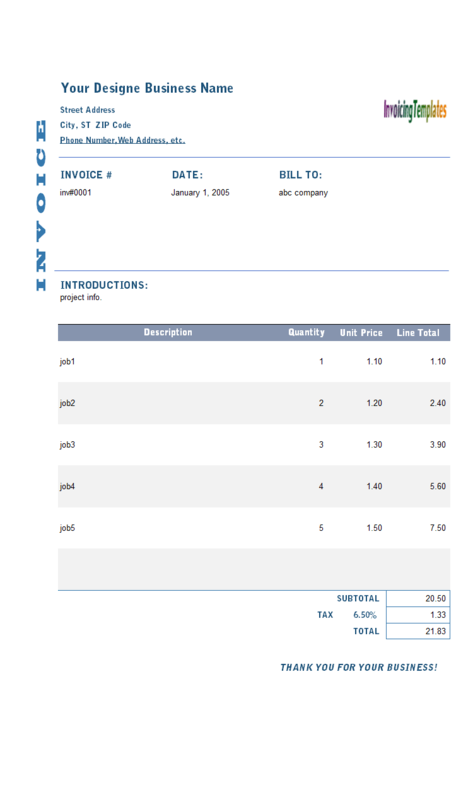 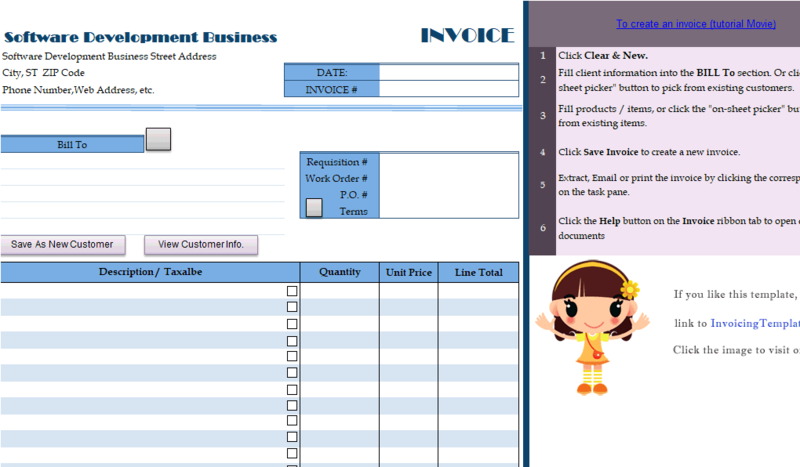 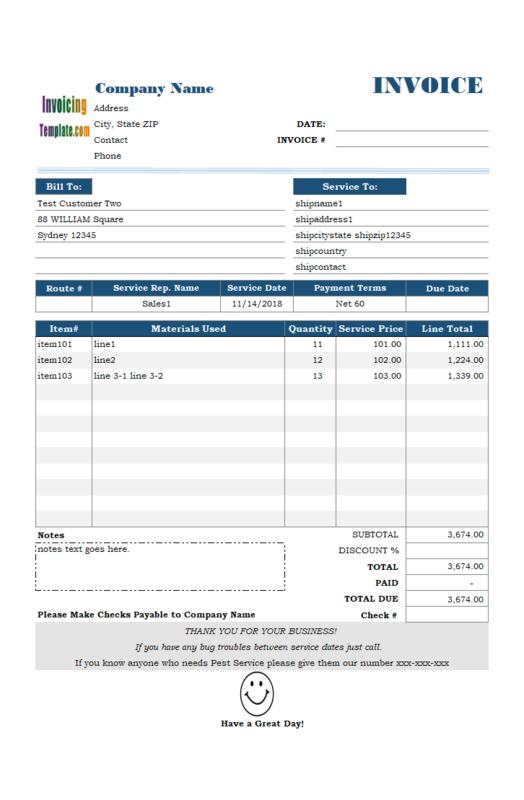 Create professional service invoices with easy by simply download our blank templates for services!